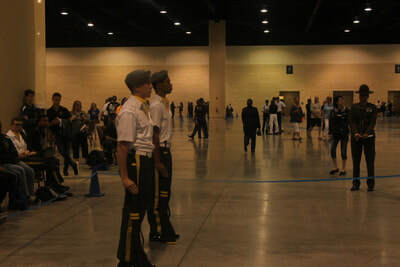 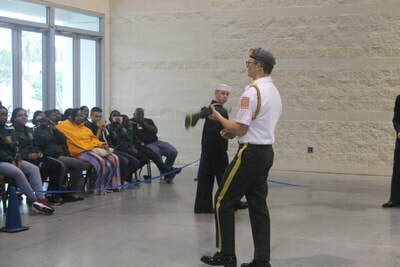 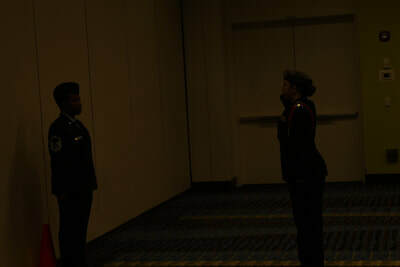 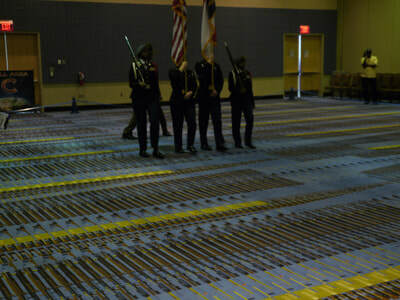 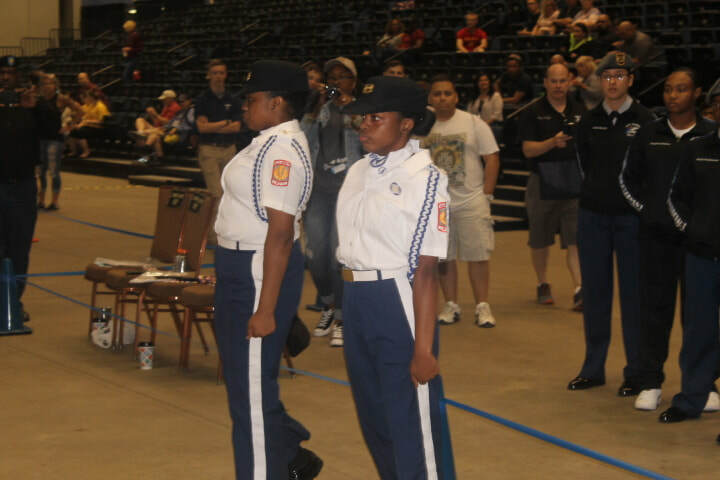 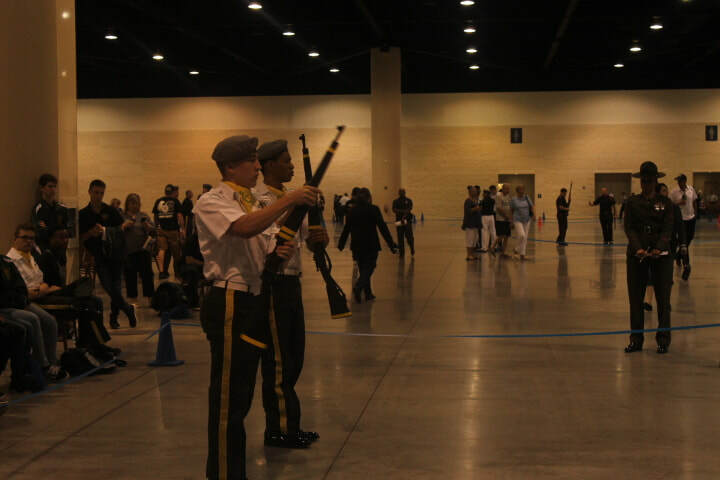 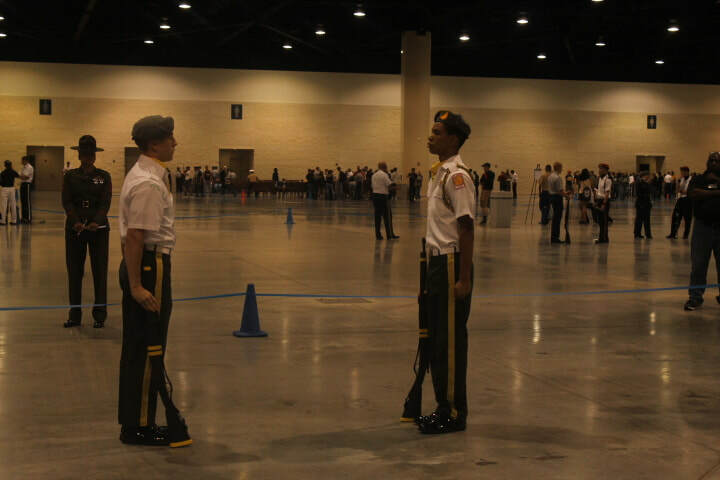 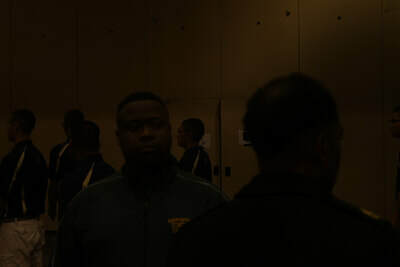 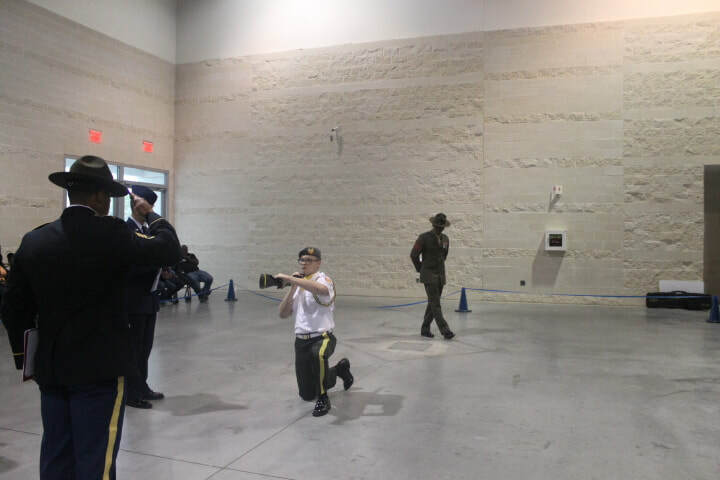 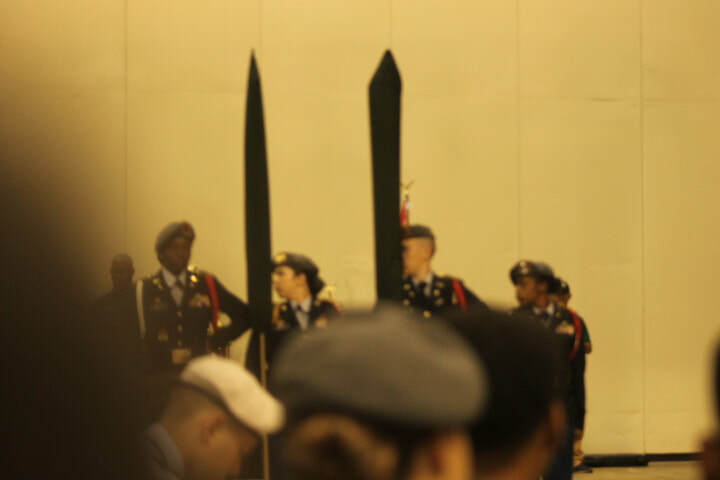 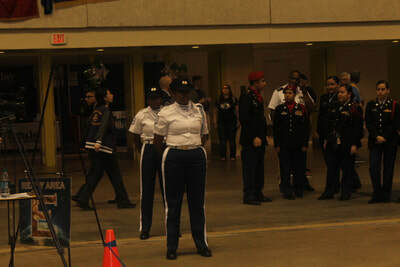 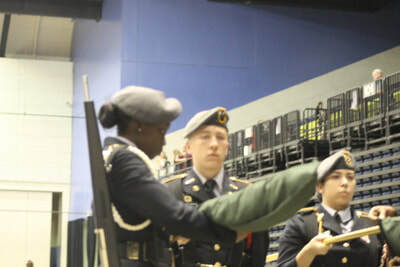 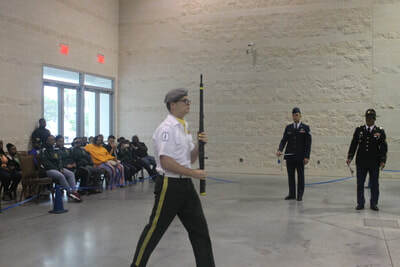 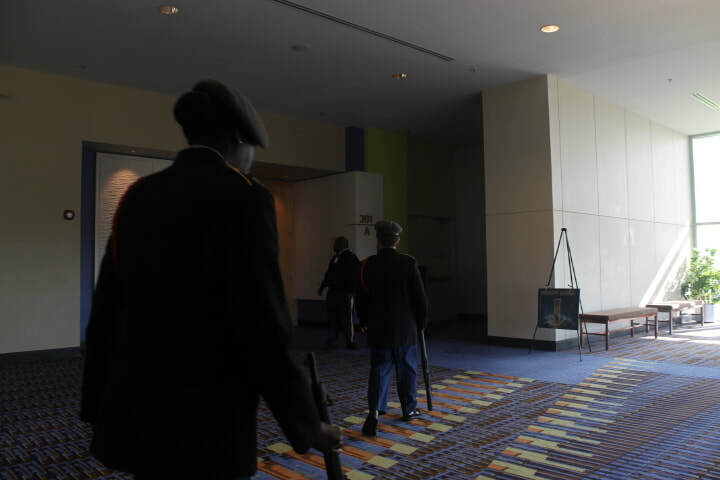 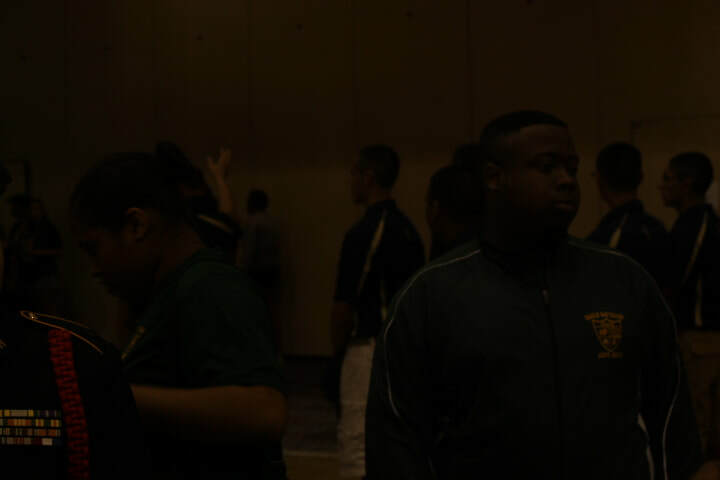 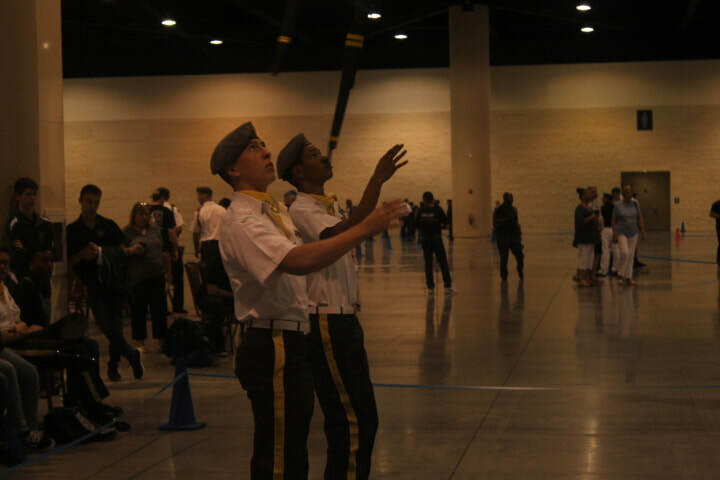 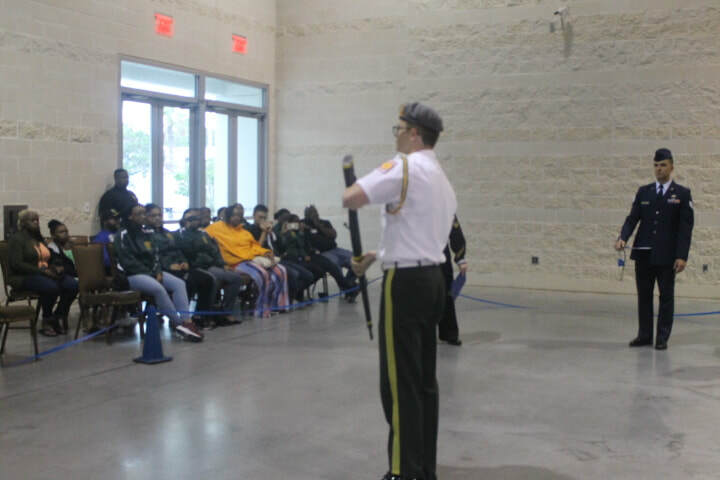 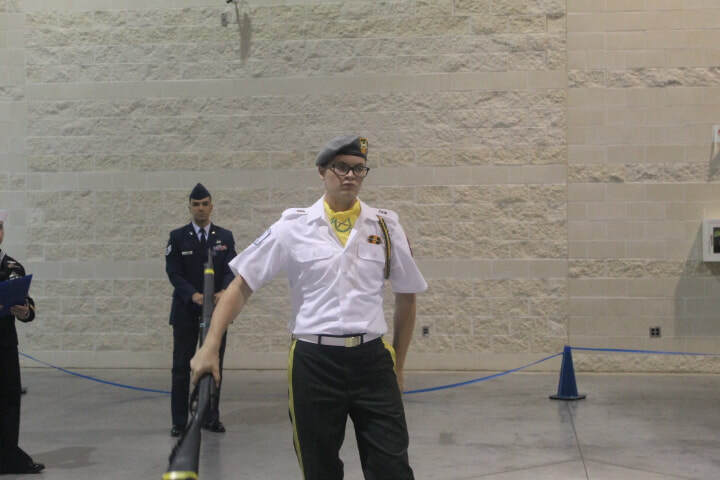 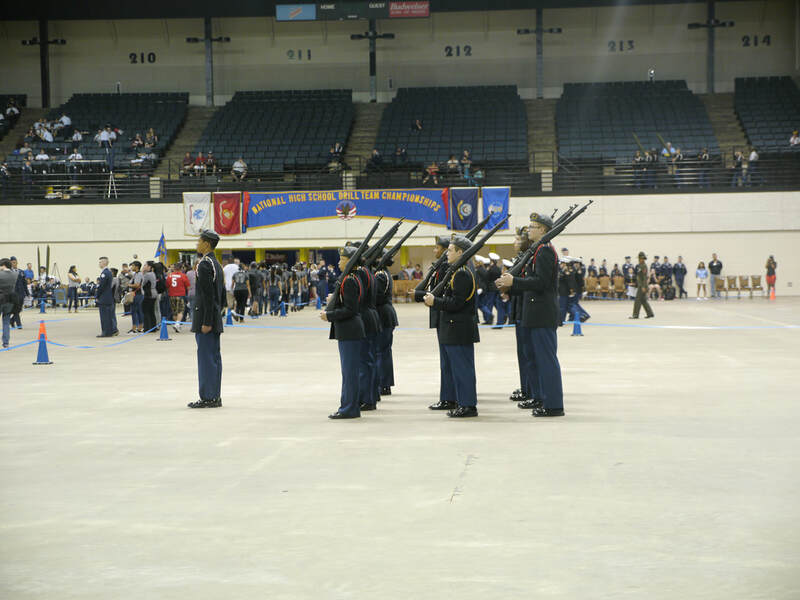 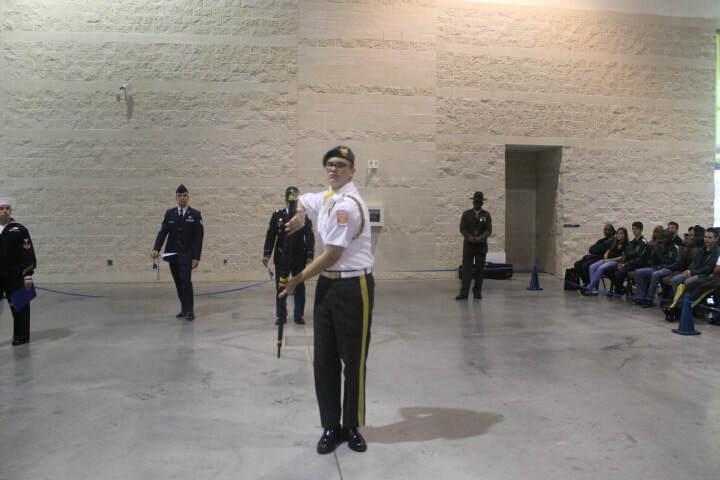 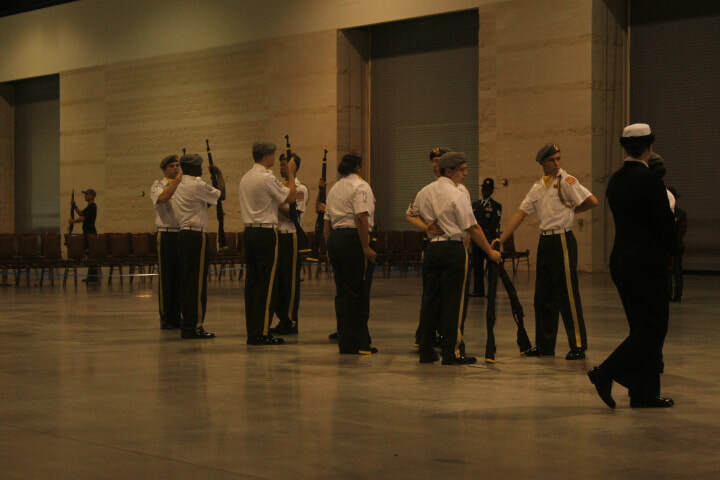 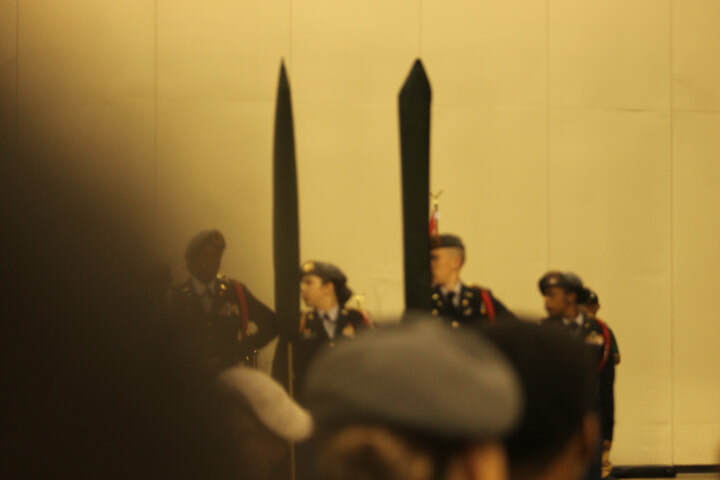 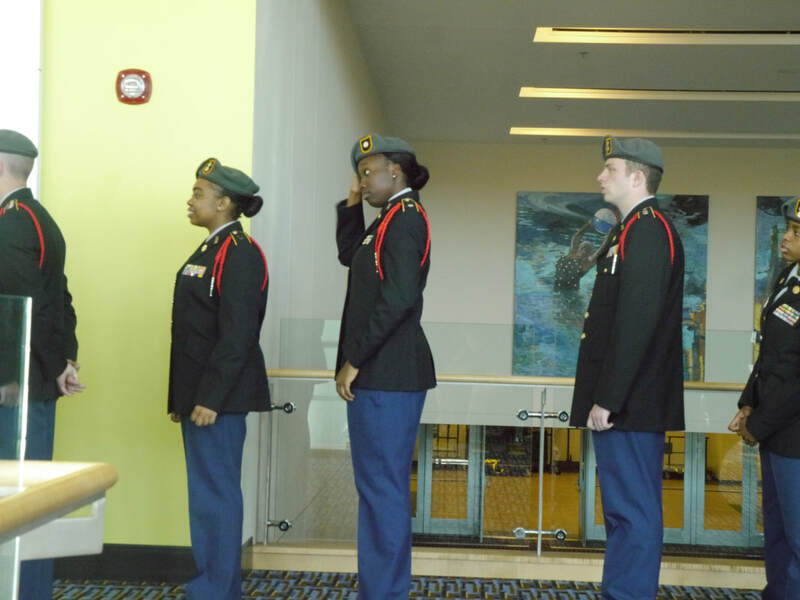 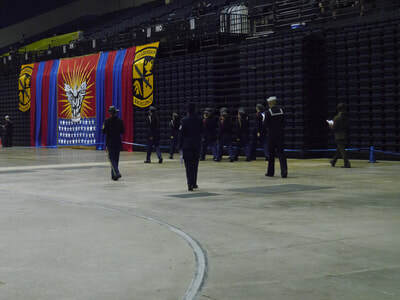 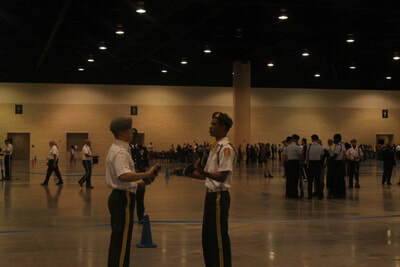 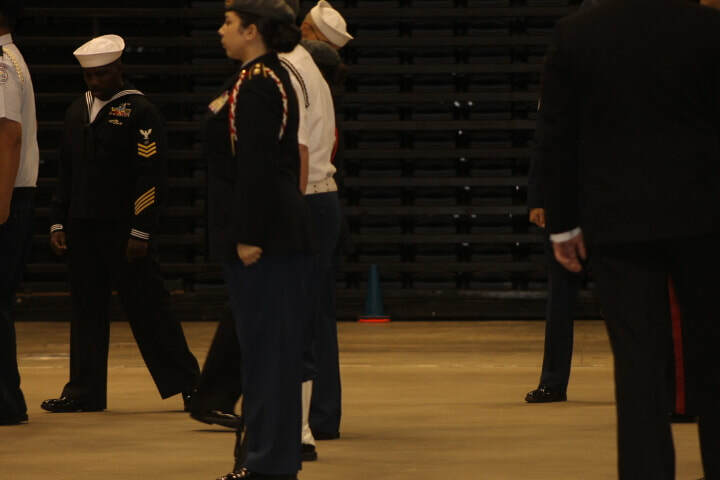 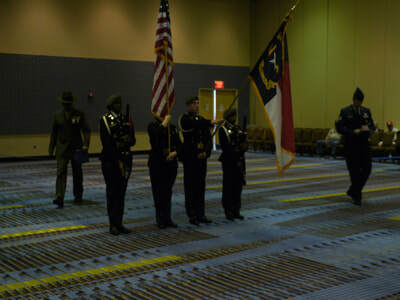 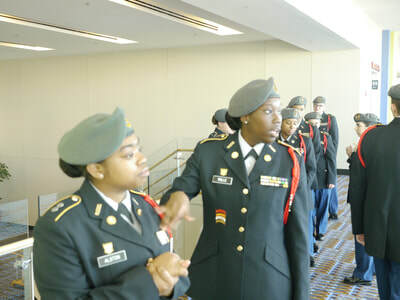 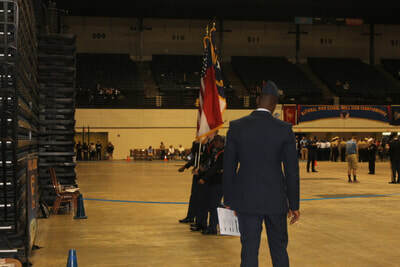 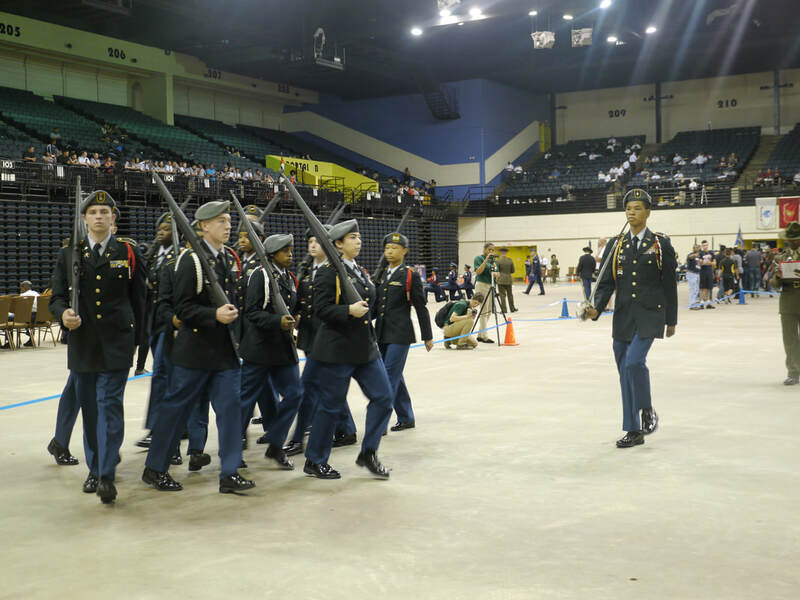 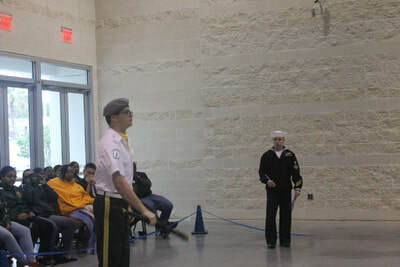 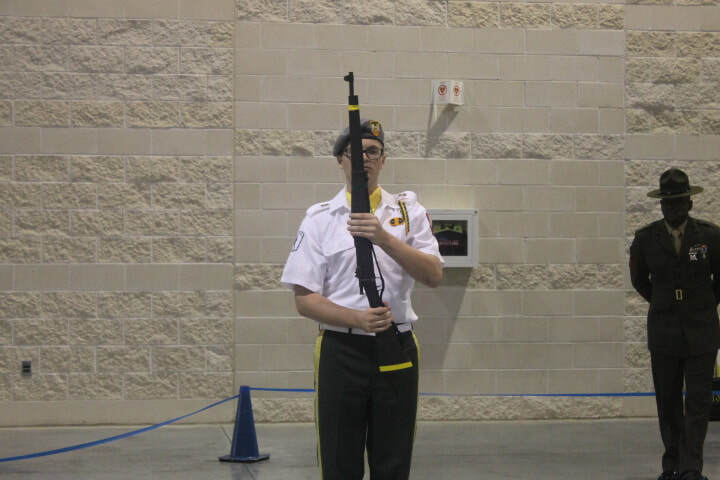 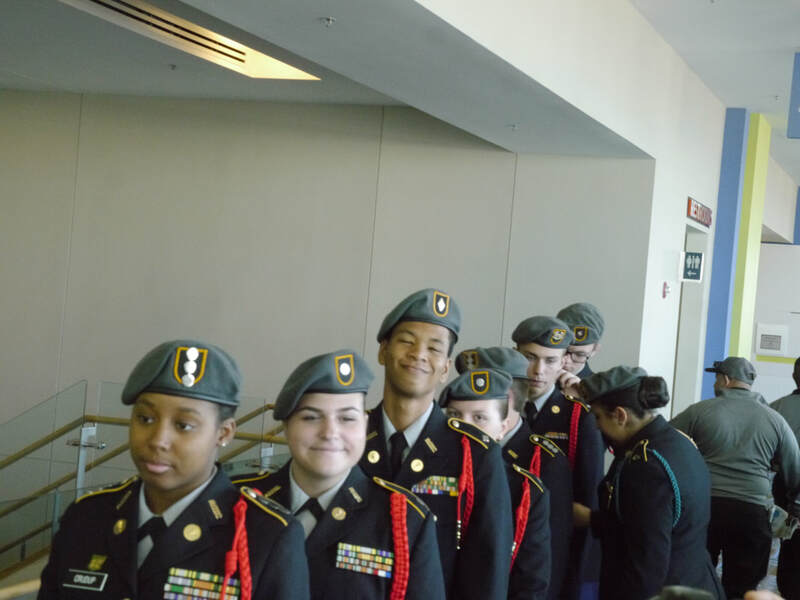 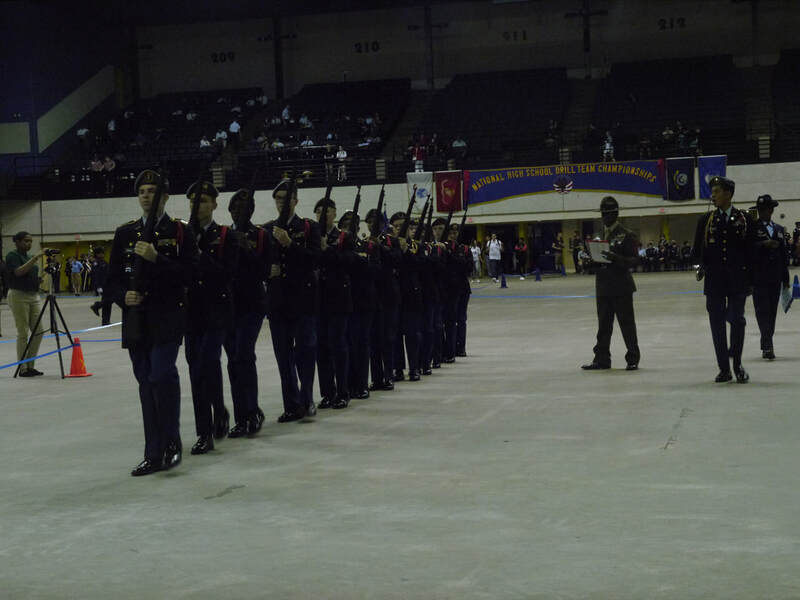 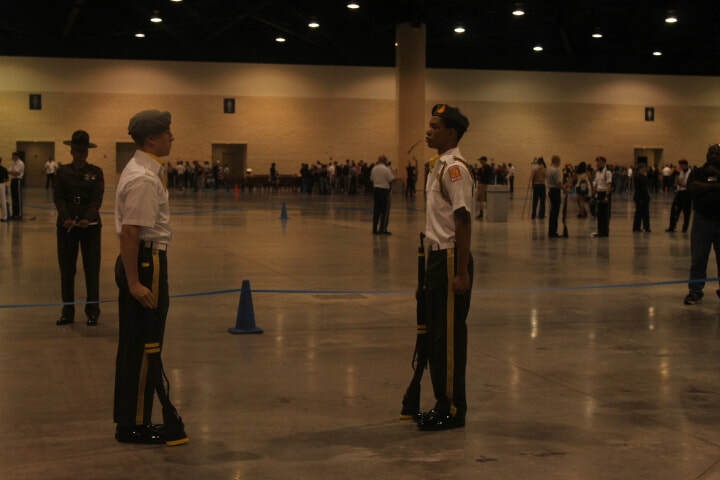 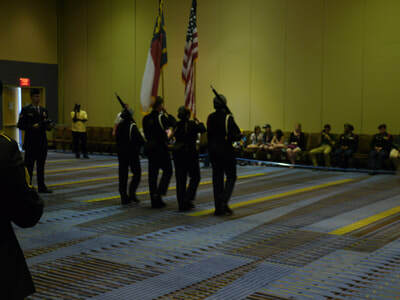 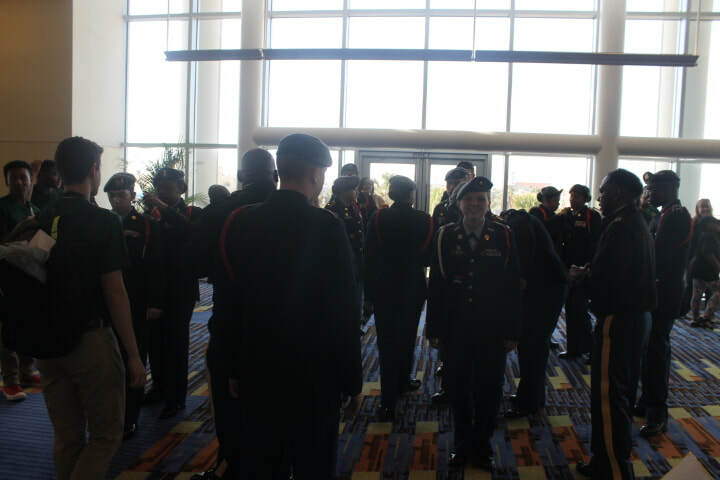 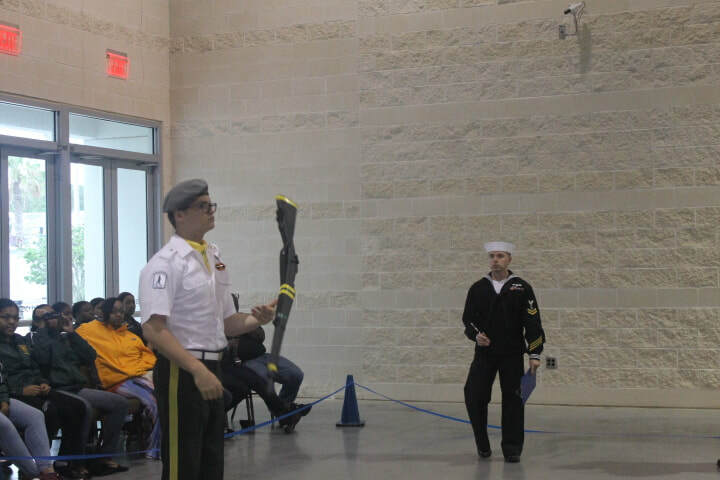 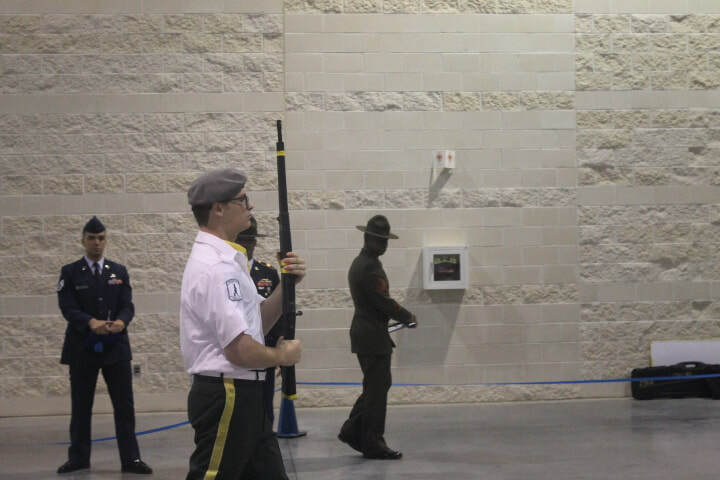 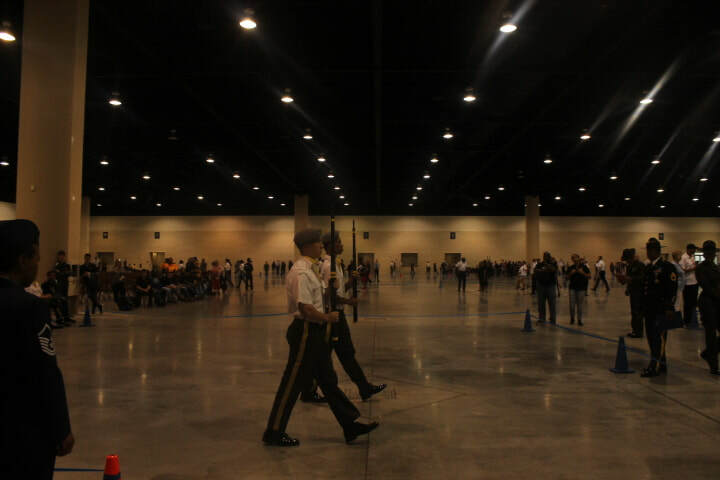 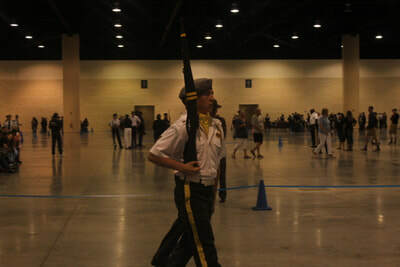 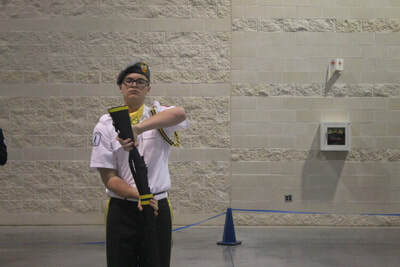 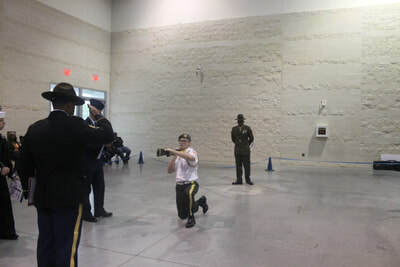 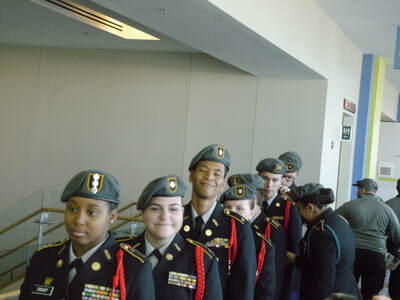 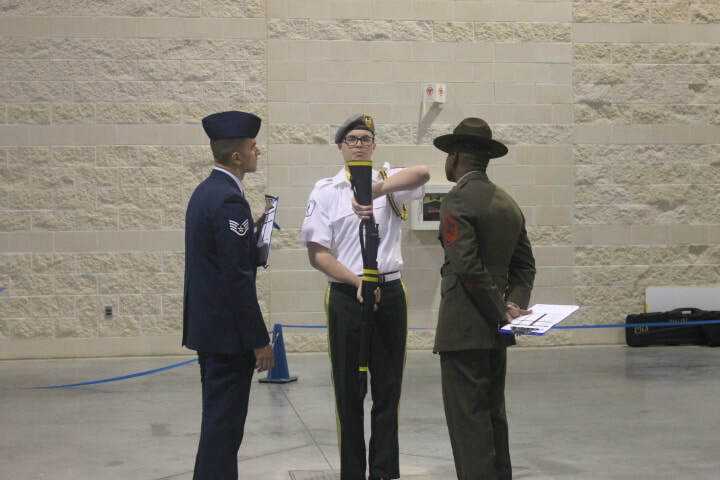 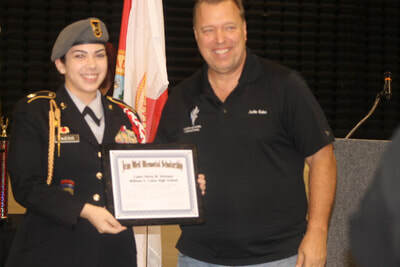 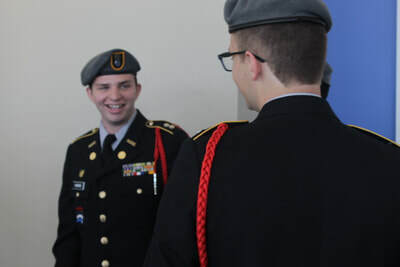 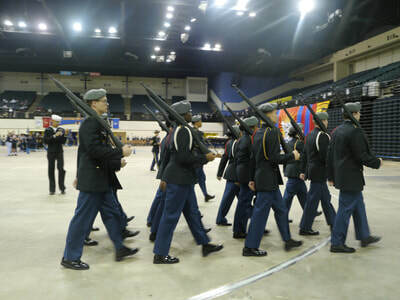 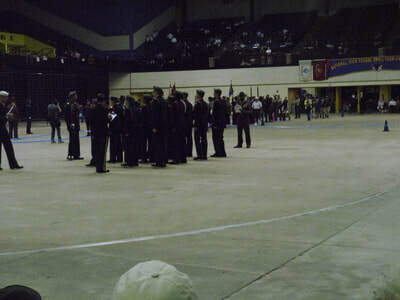 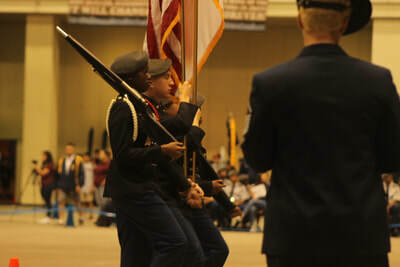 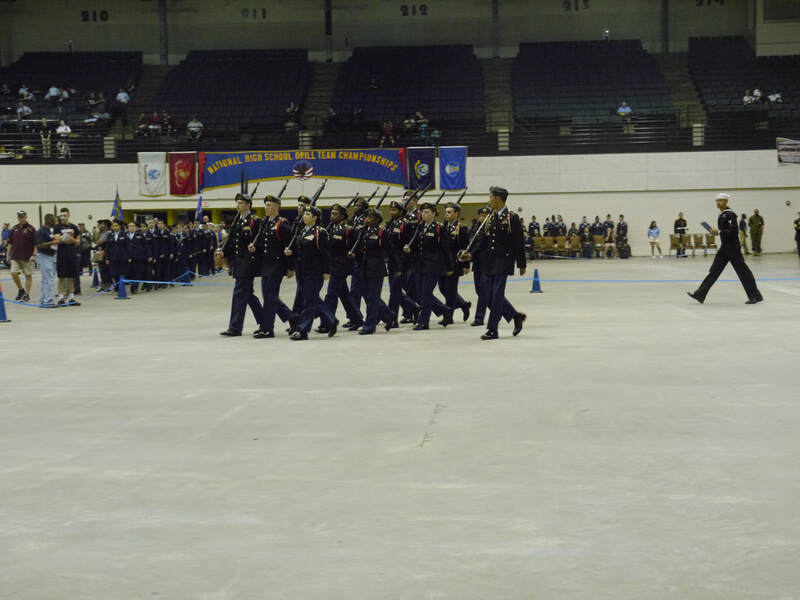 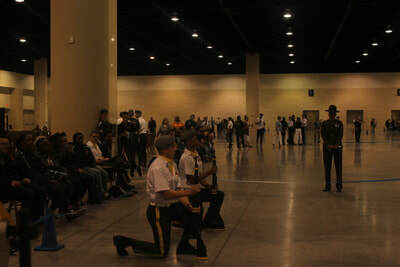 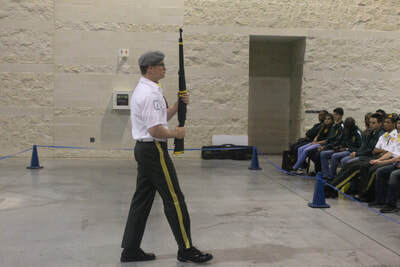 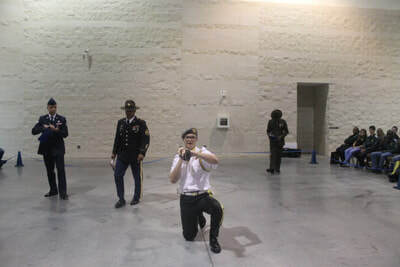 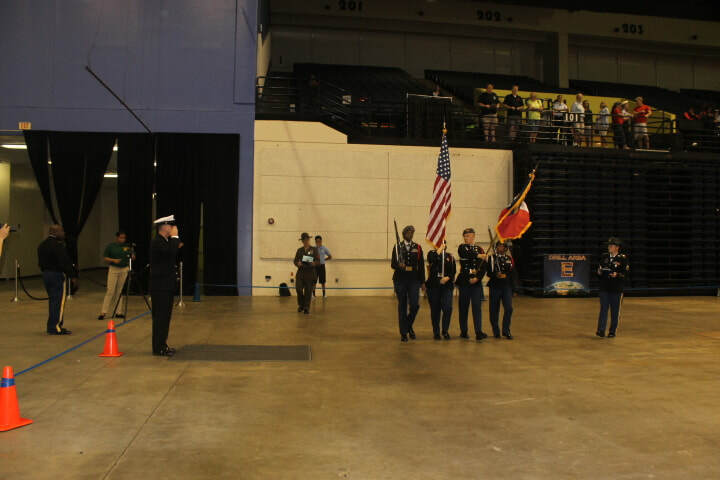 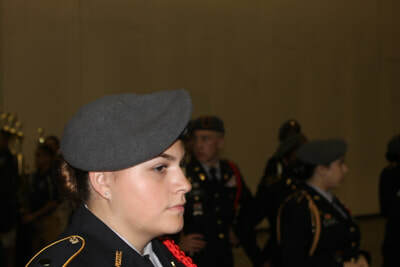 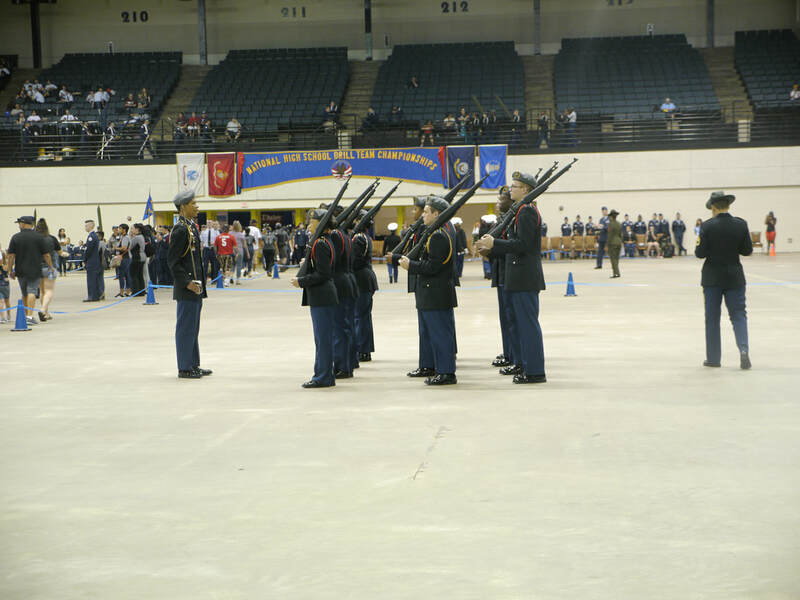 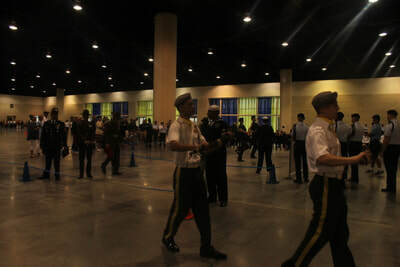 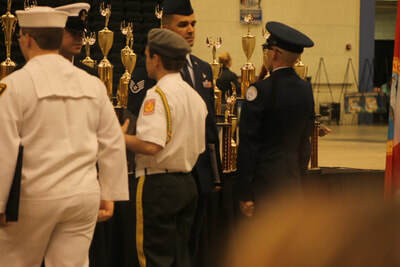 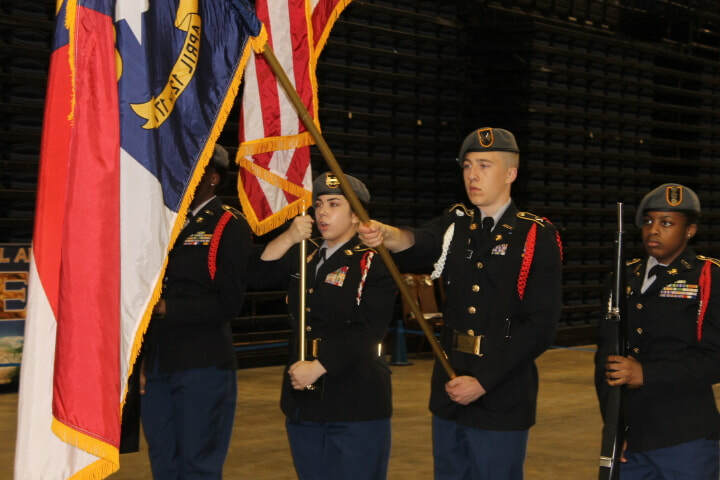 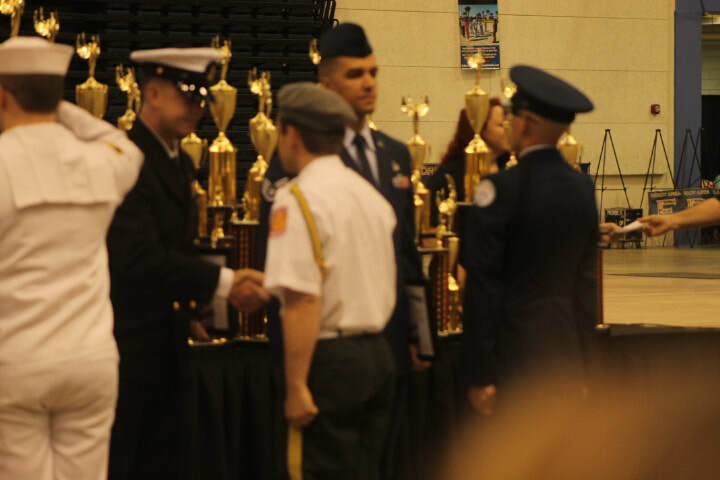 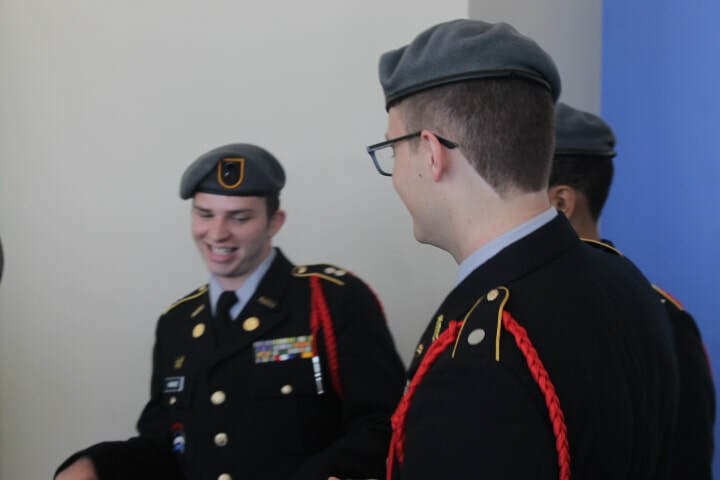 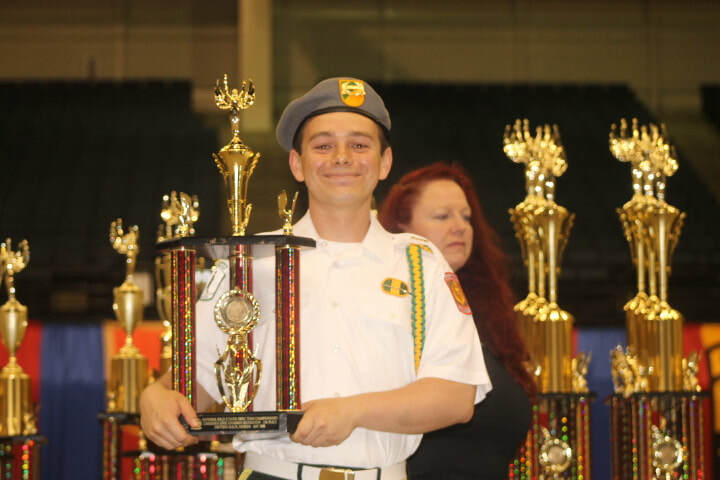 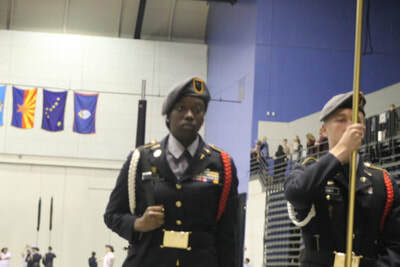 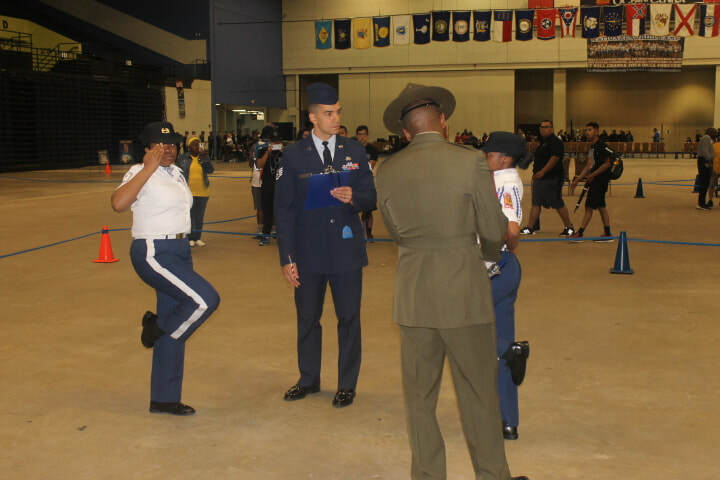 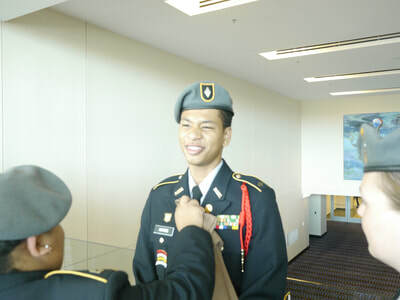 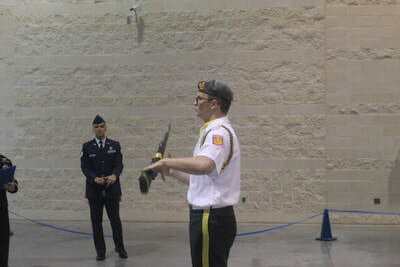 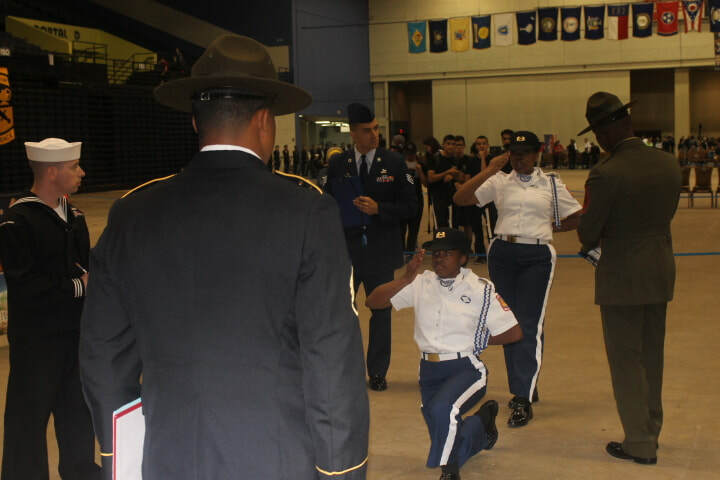 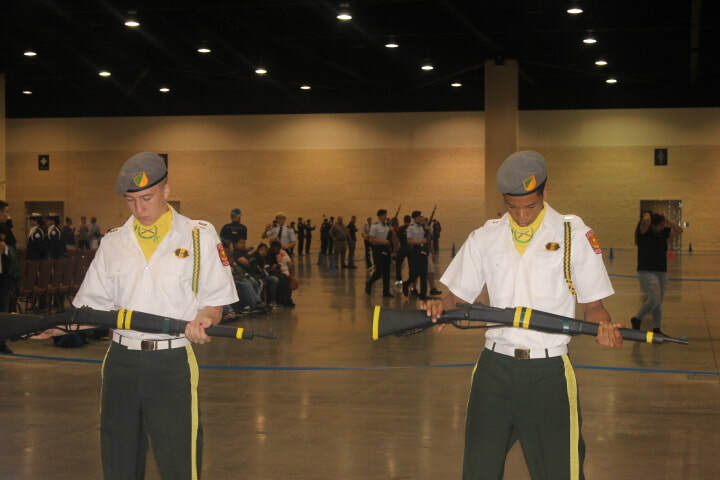 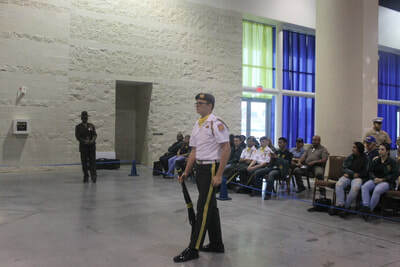 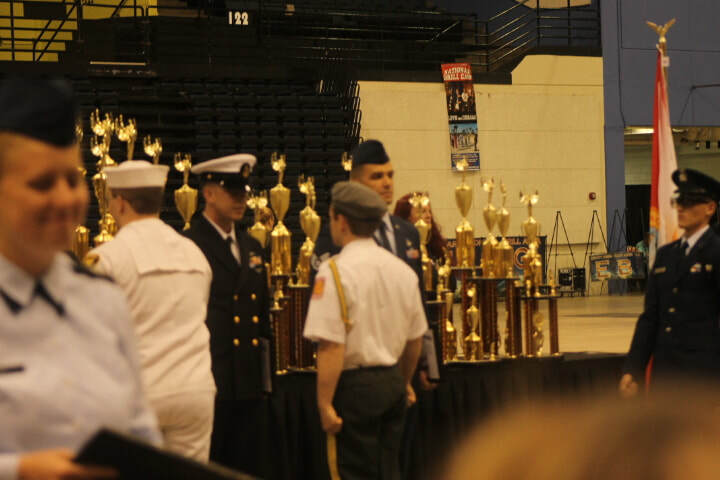 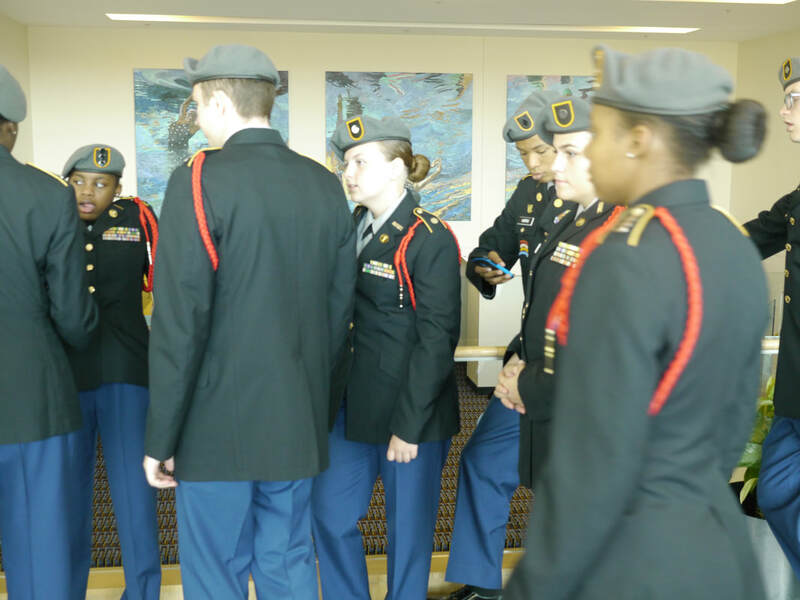 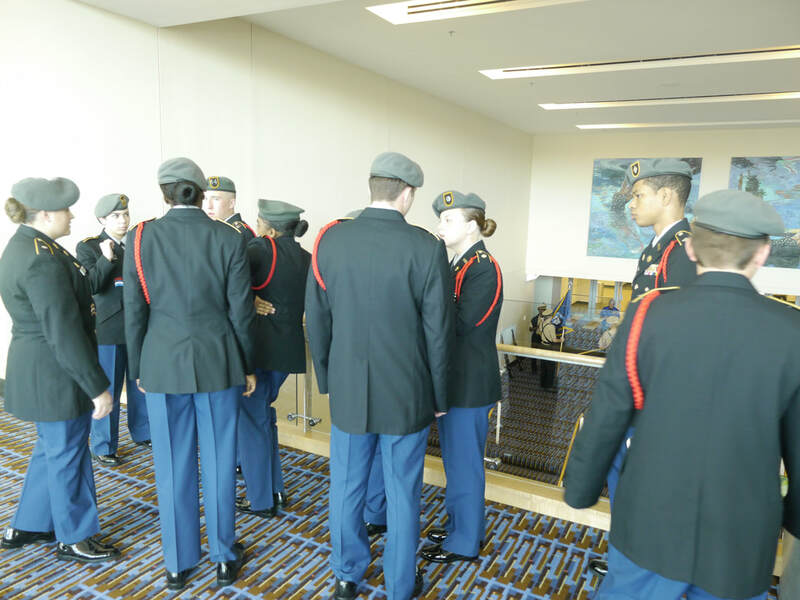 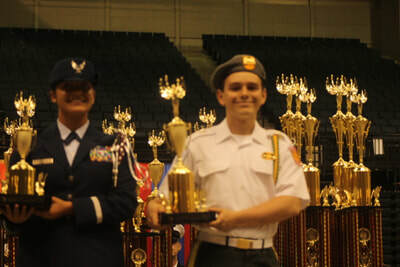 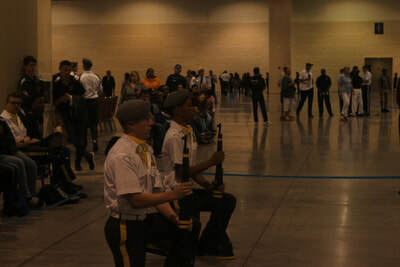 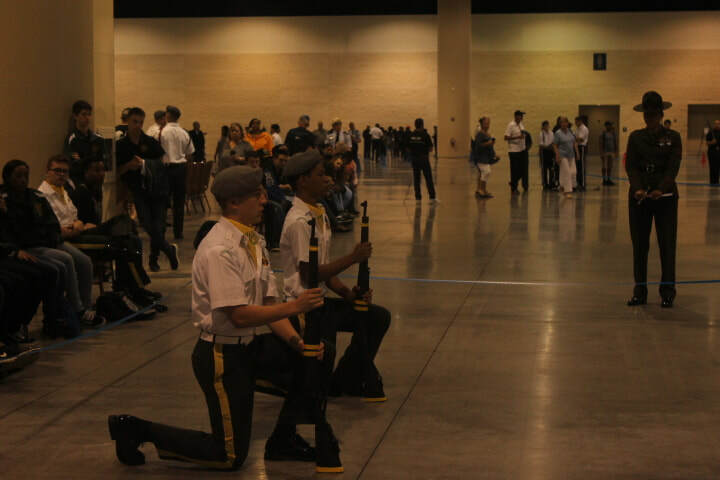 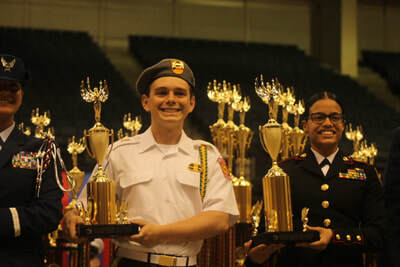 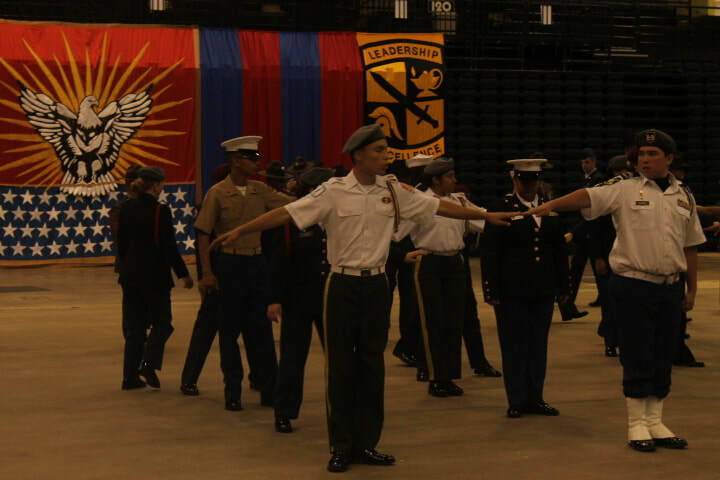 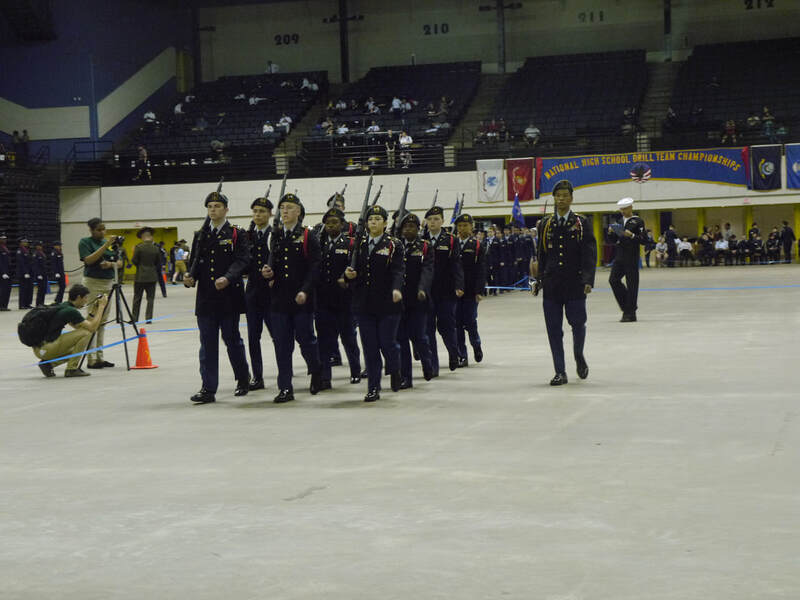 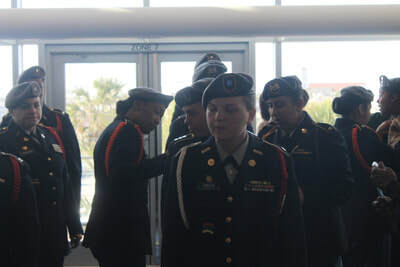 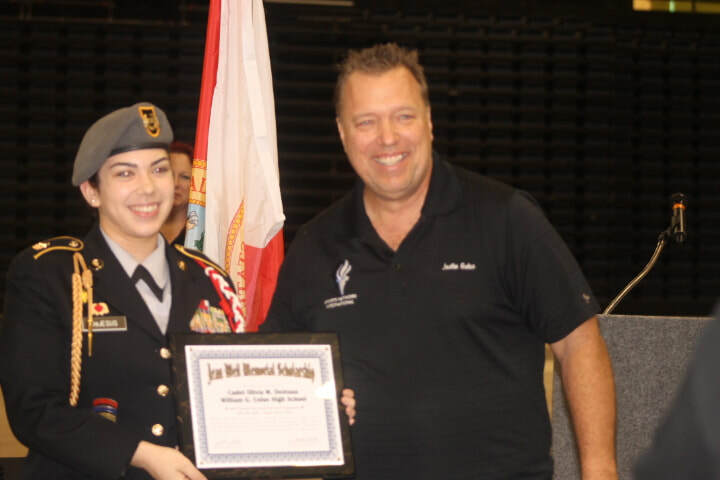 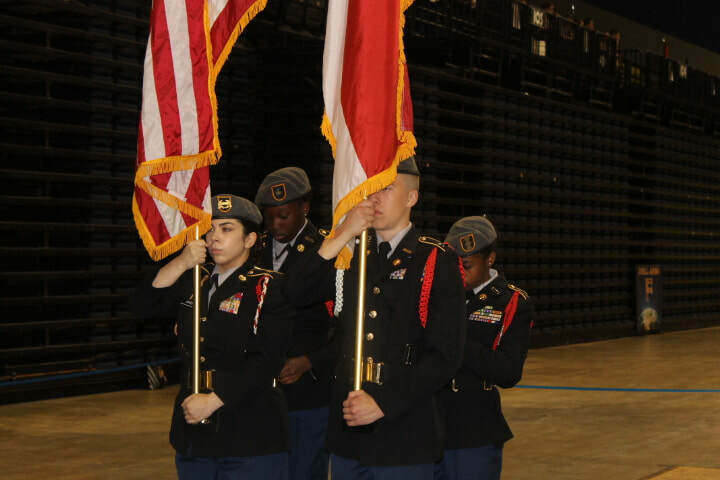 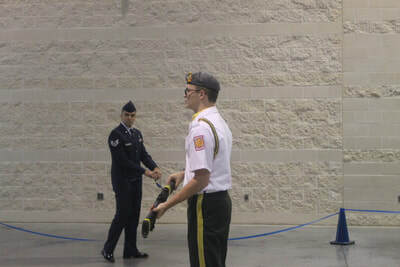 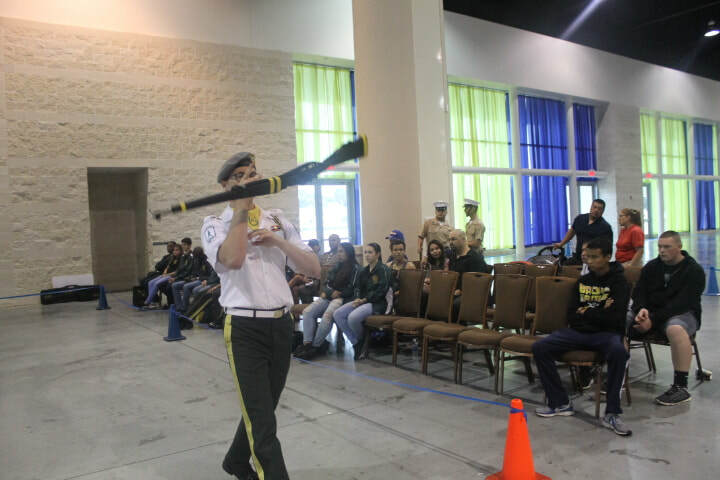 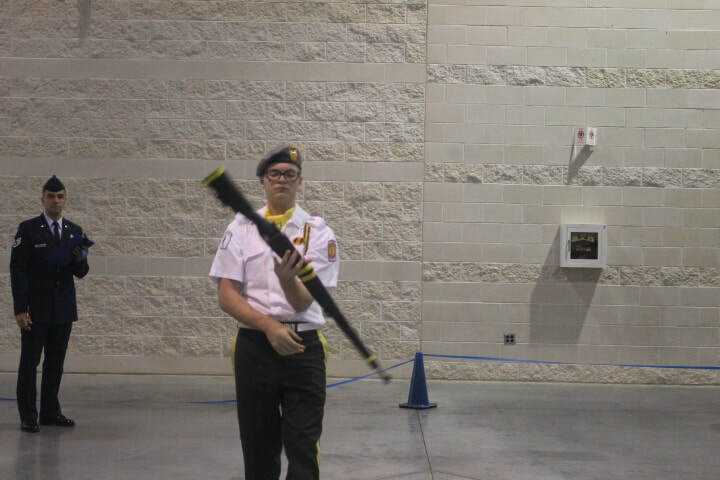 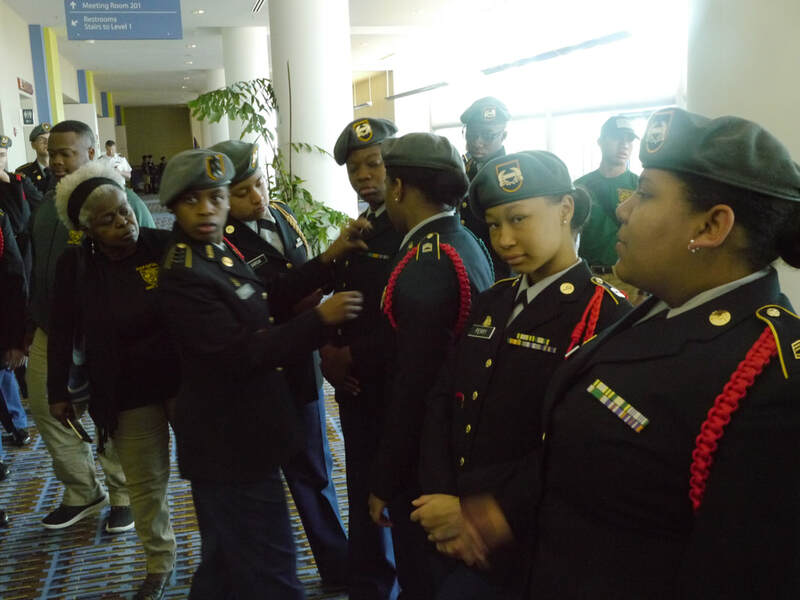 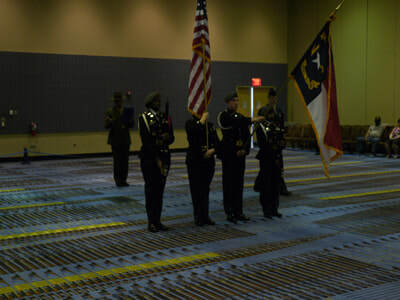 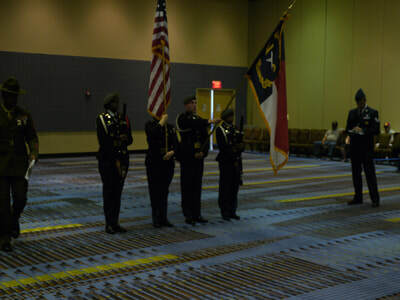 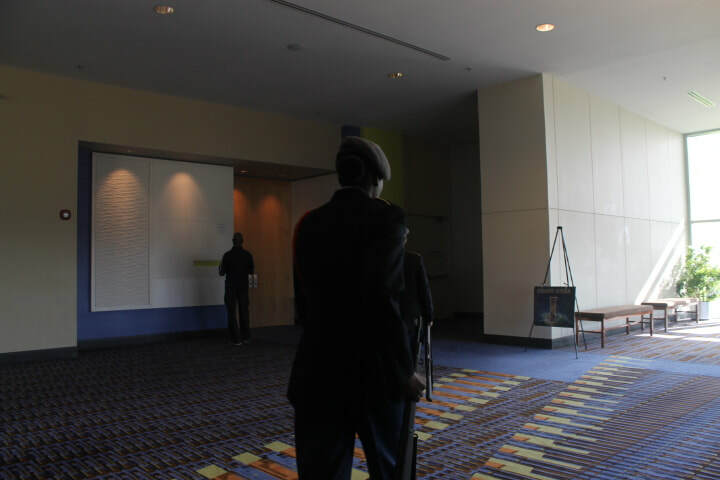 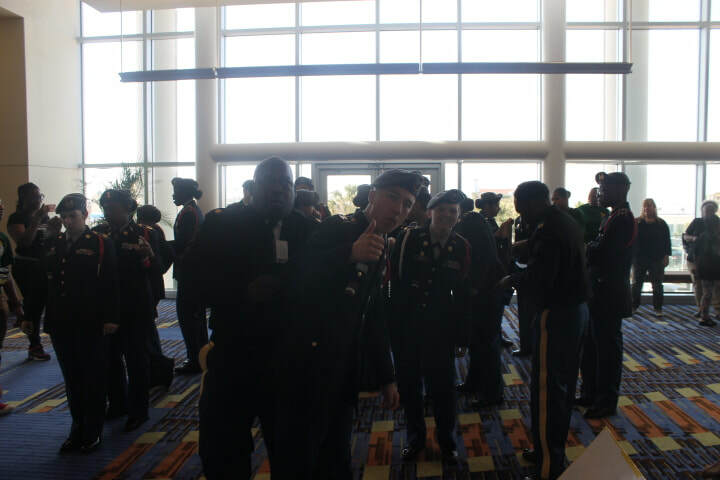 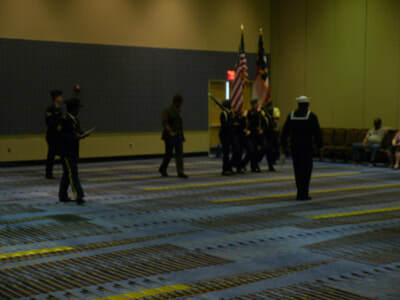 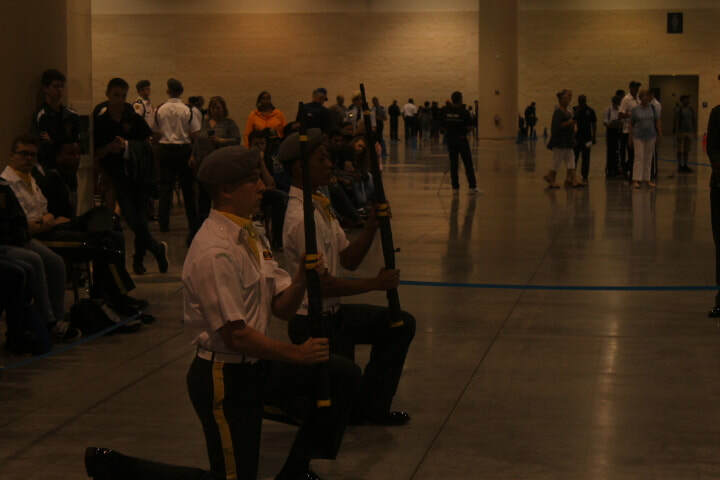 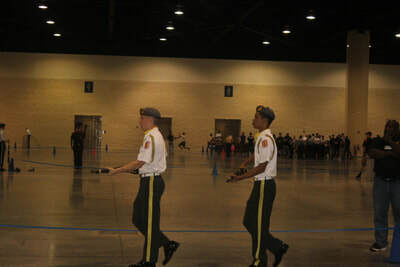 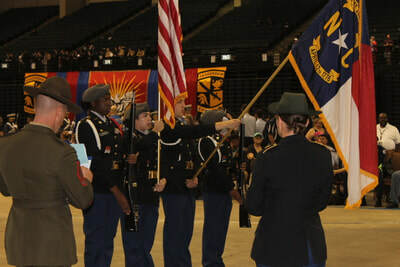 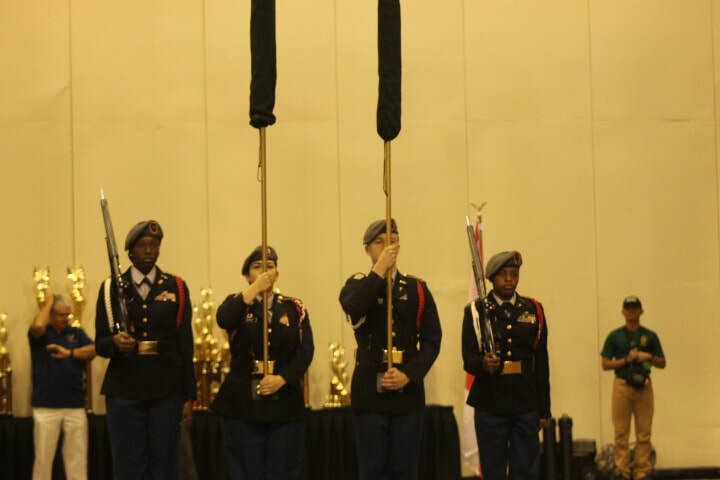 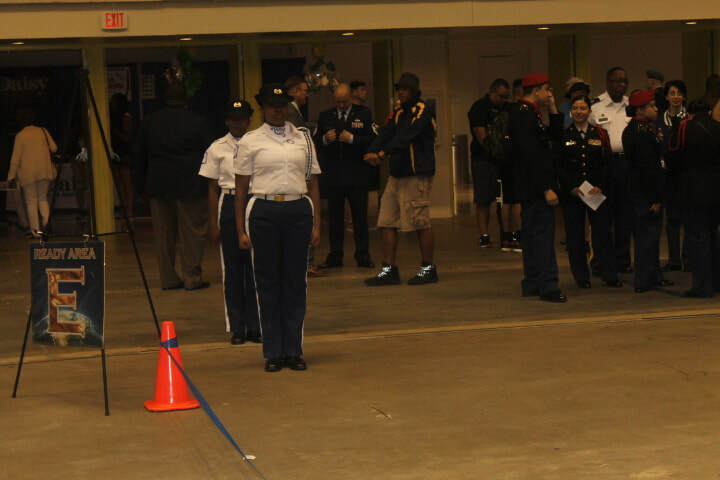 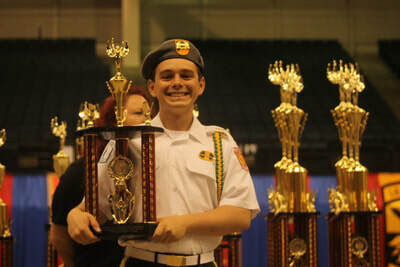 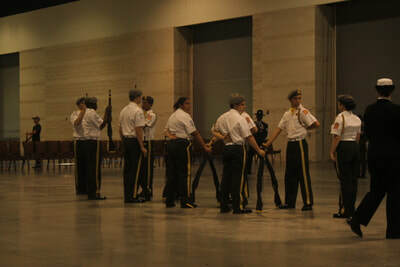 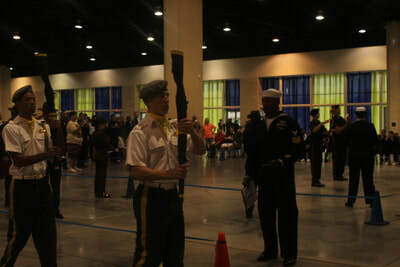 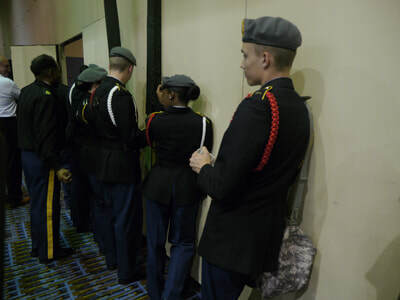 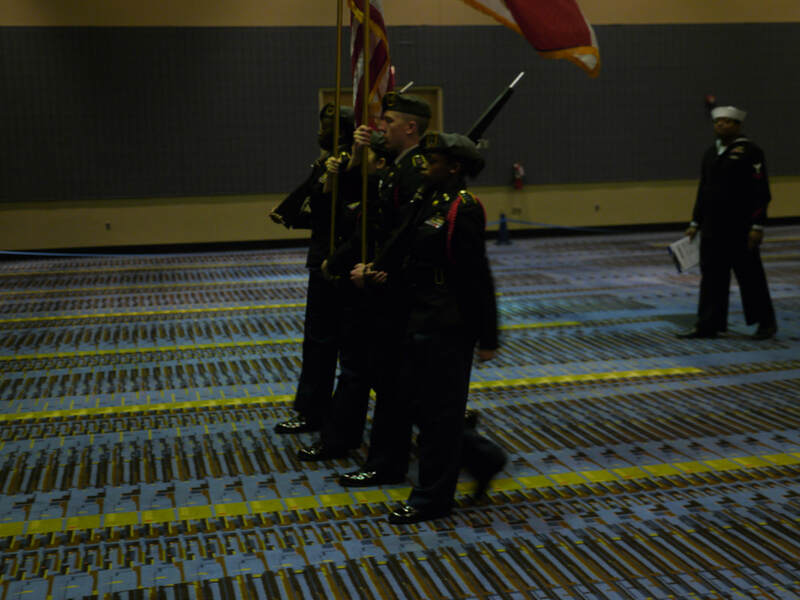 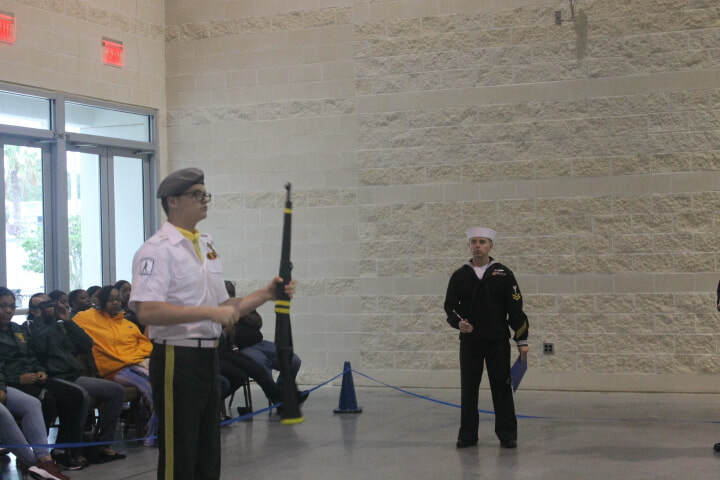 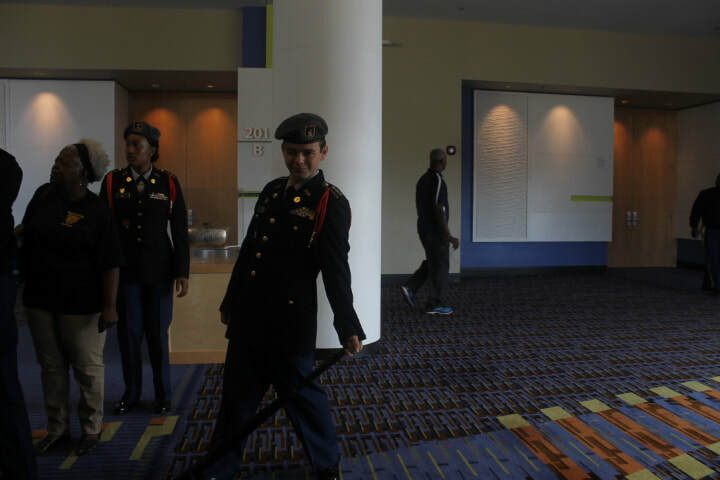 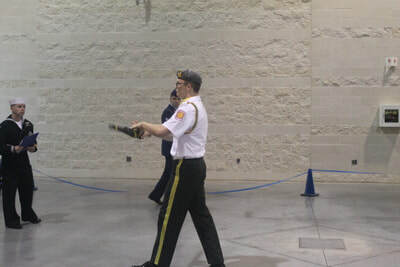 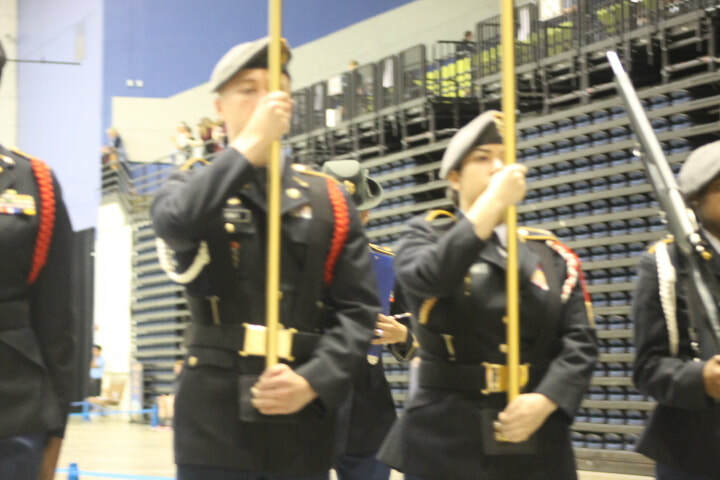 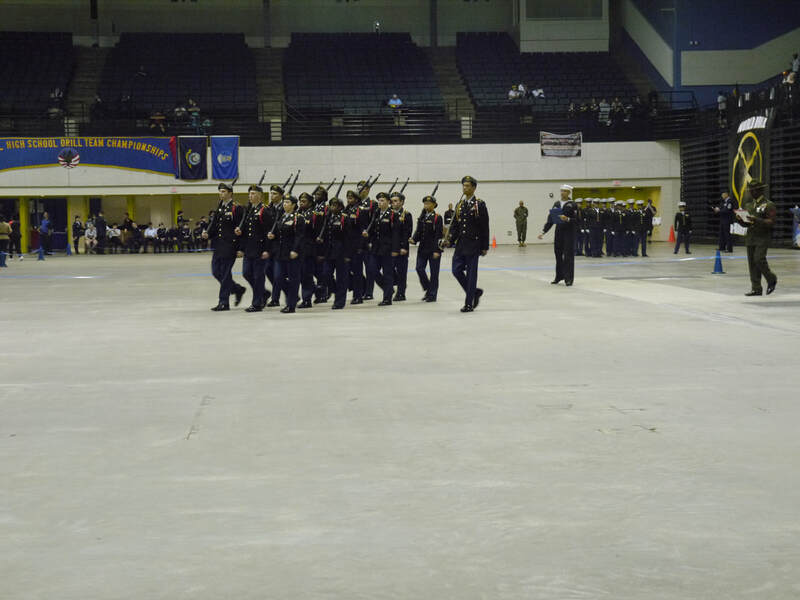 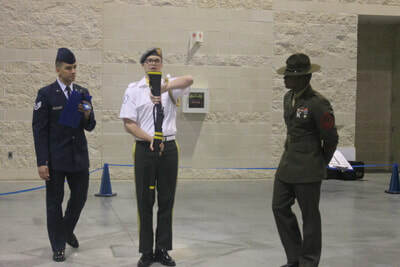 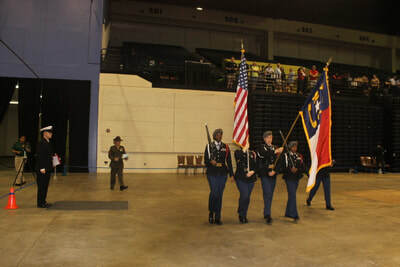 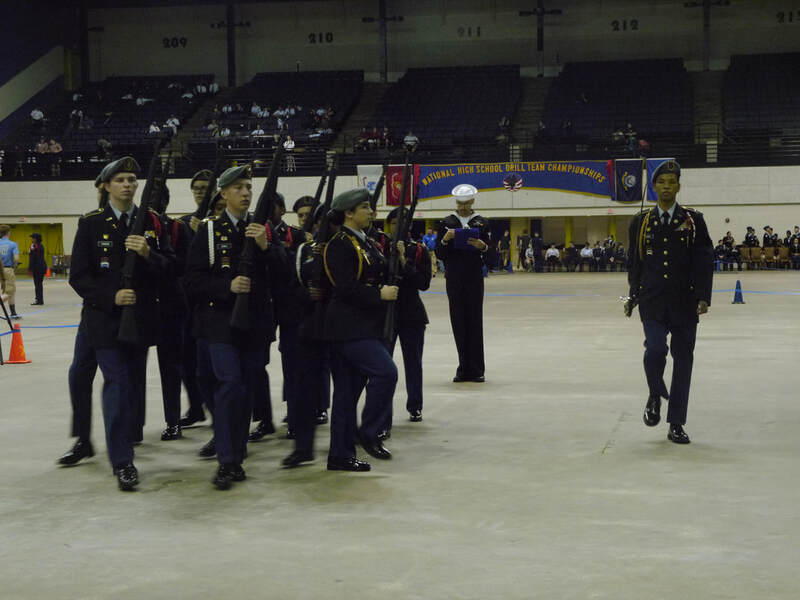 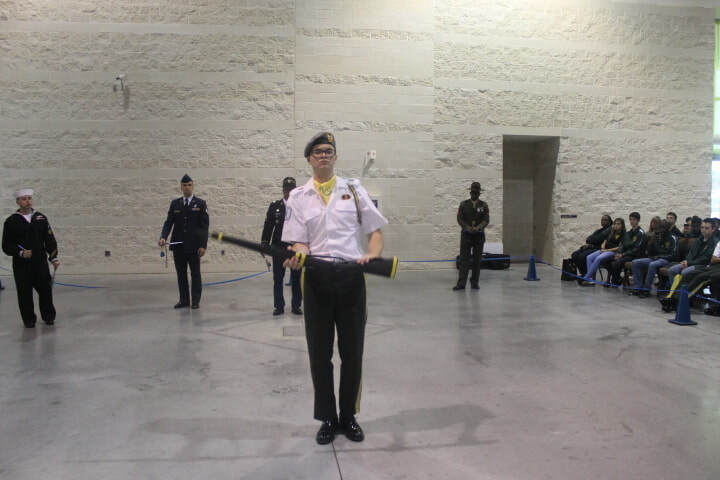 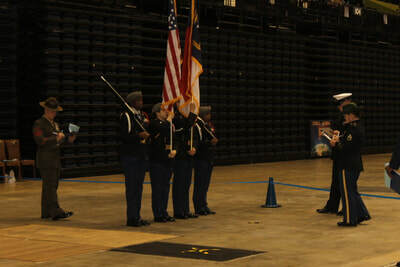 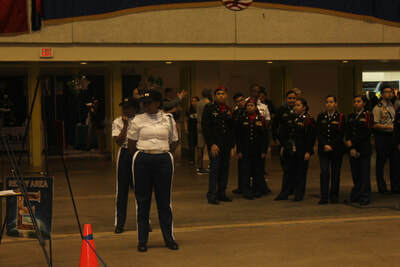 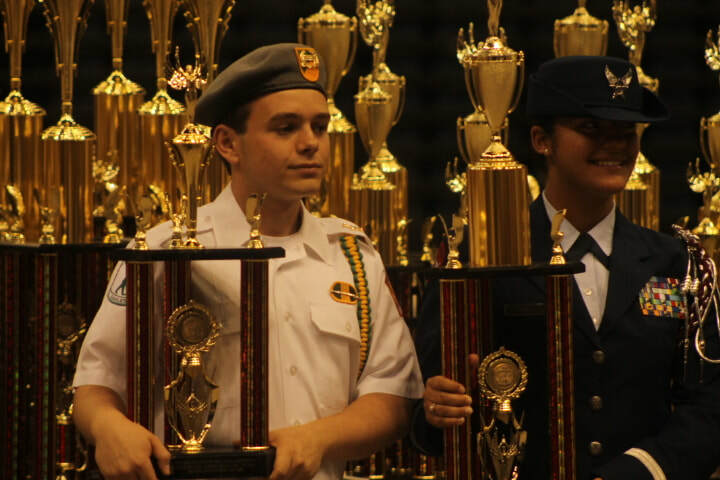 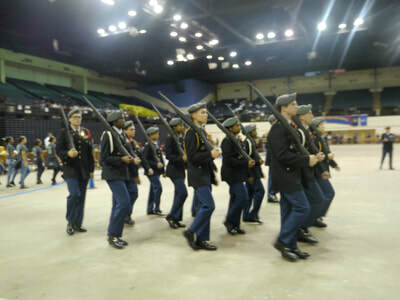 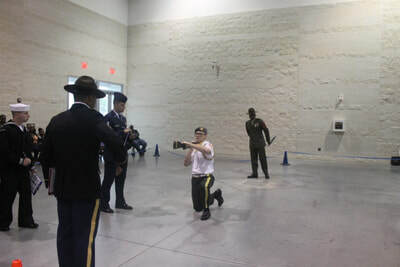 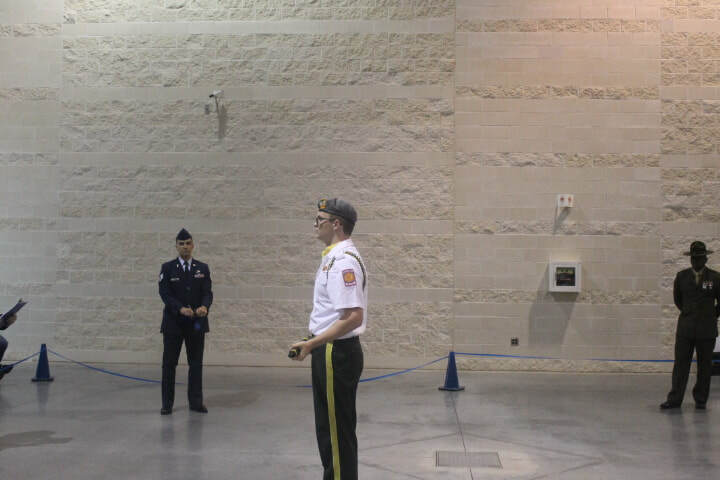 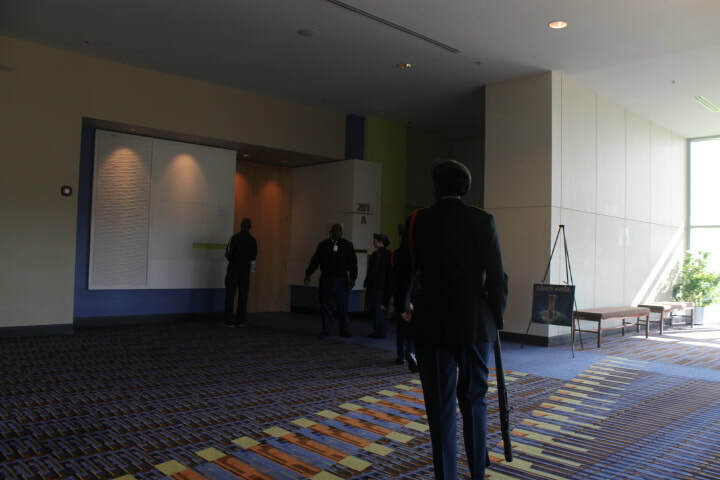 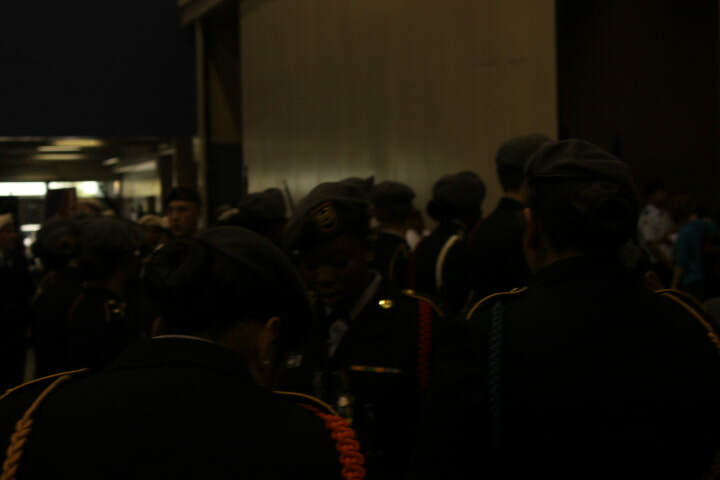 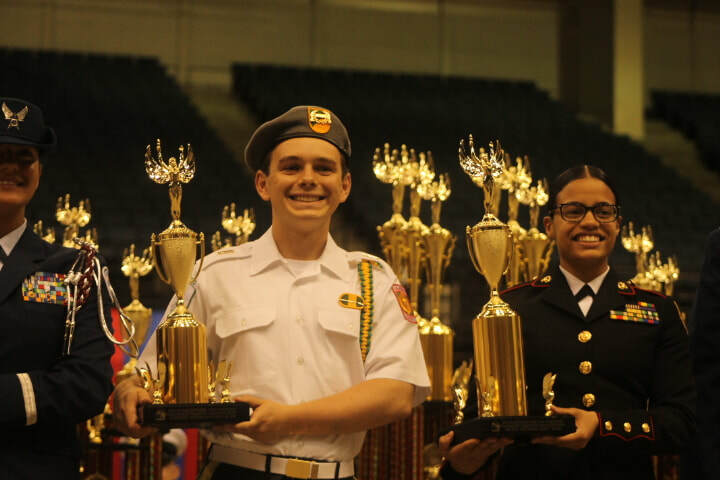 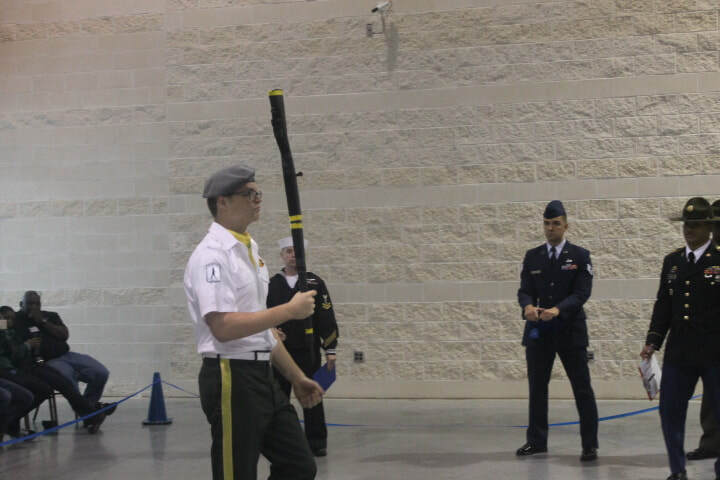 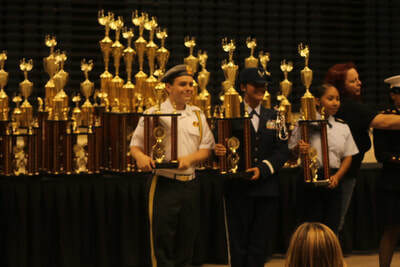 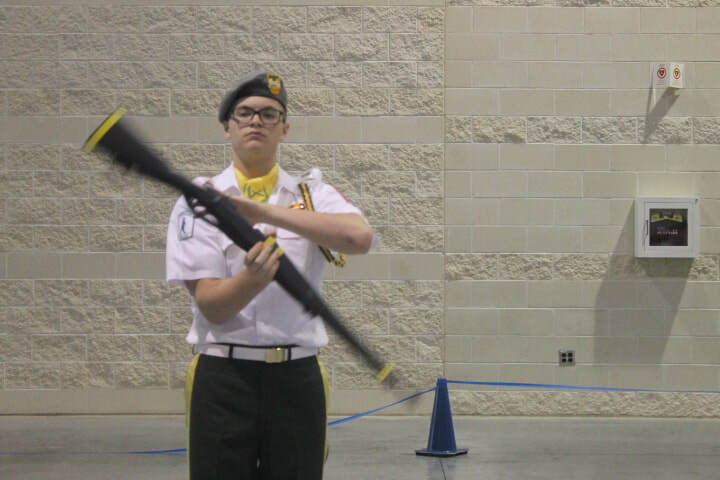 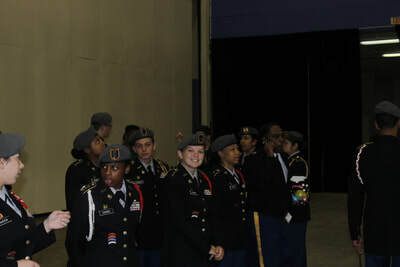 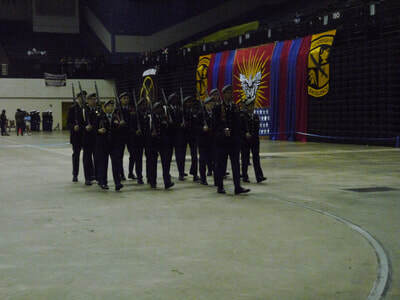 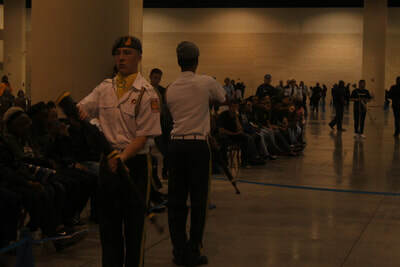 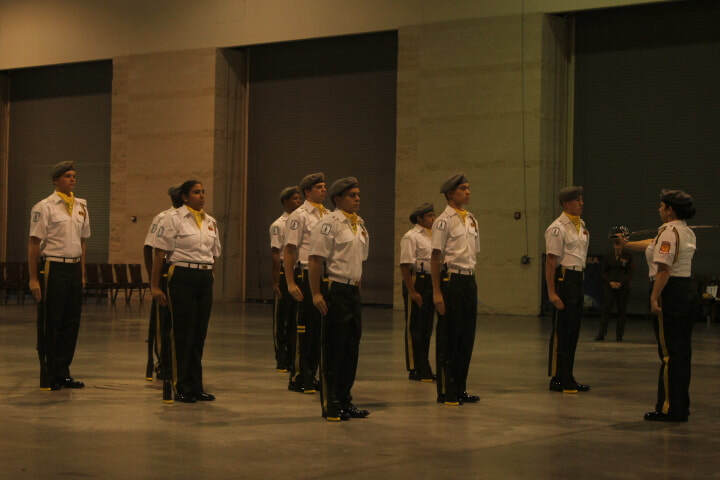 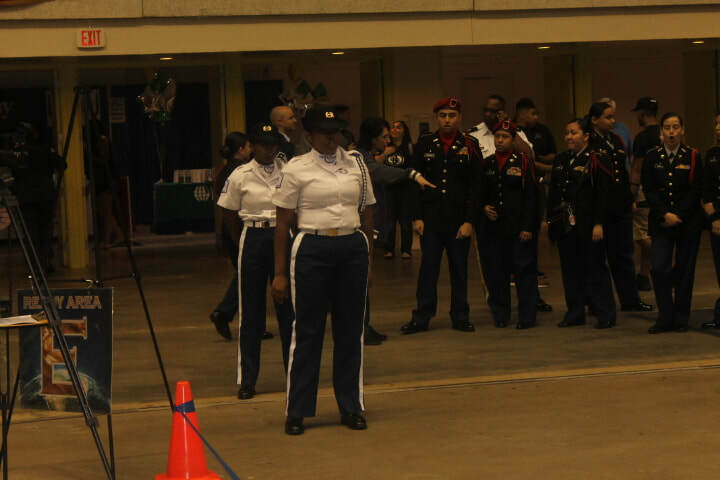 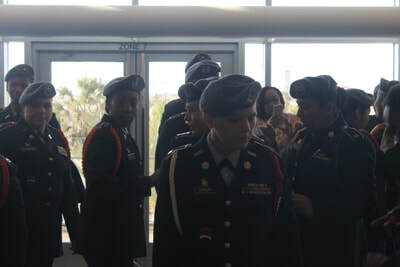 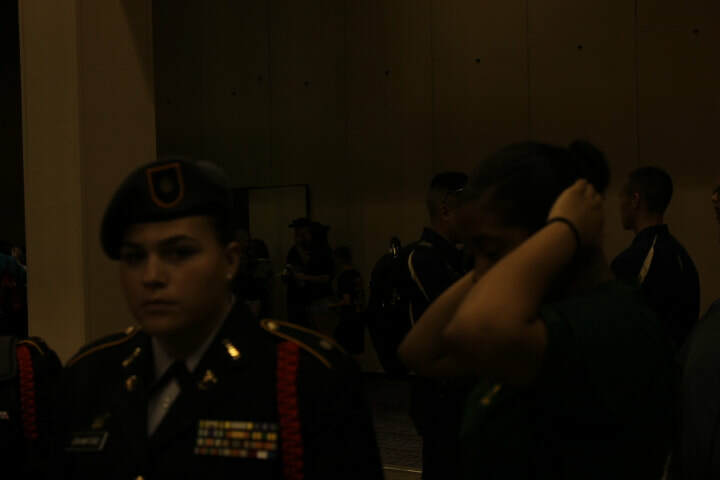 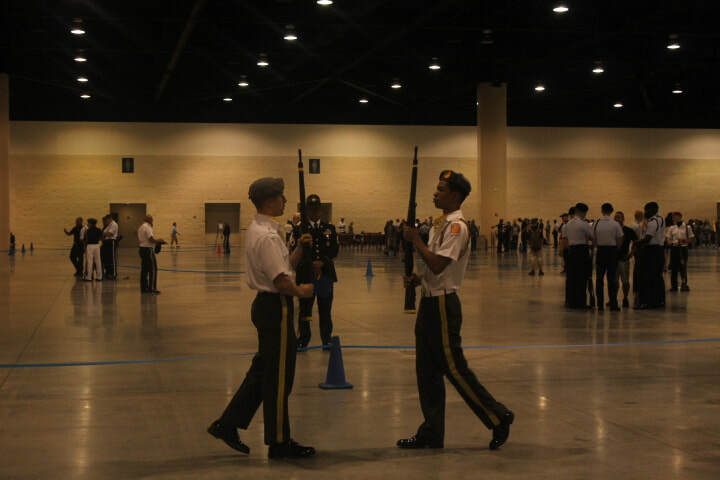 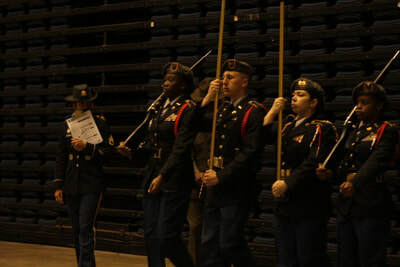 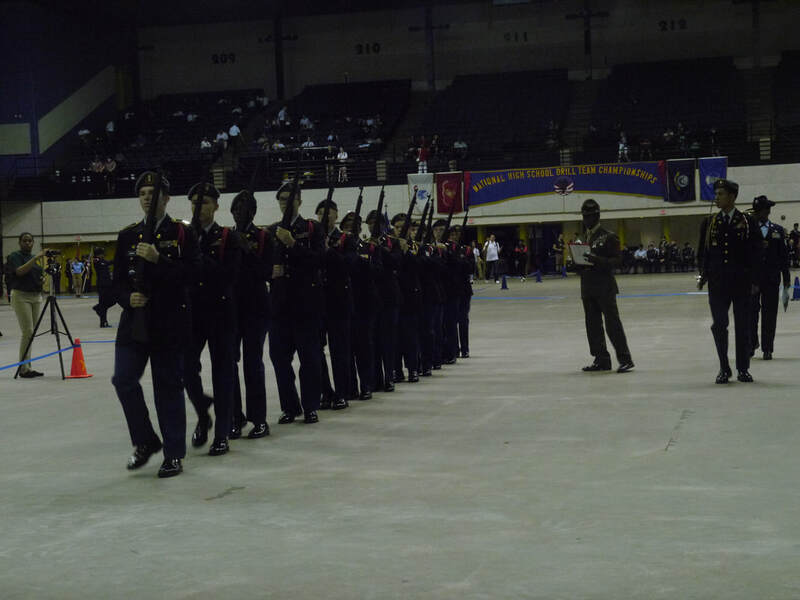 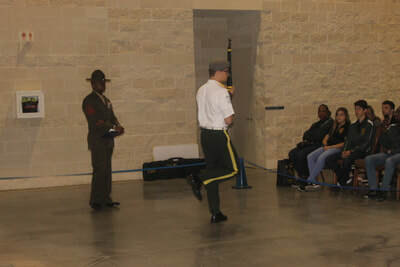 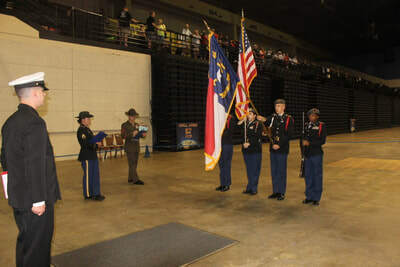 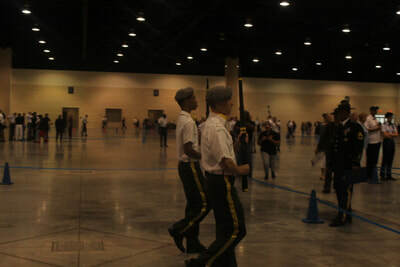 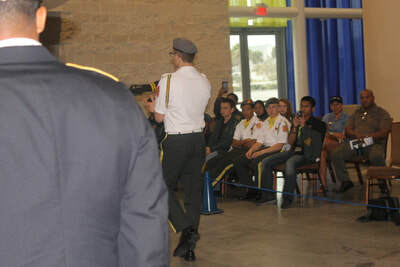 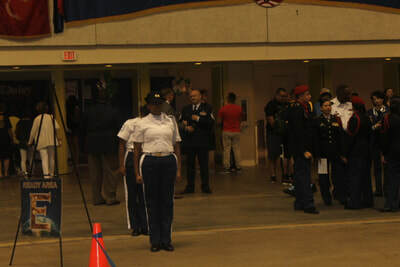 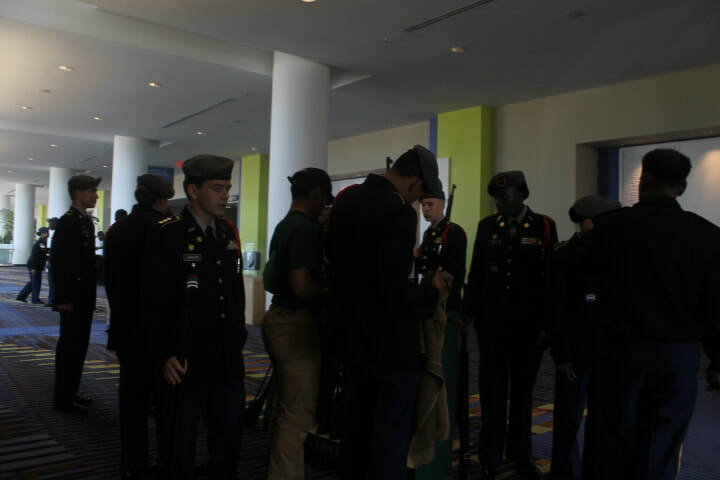 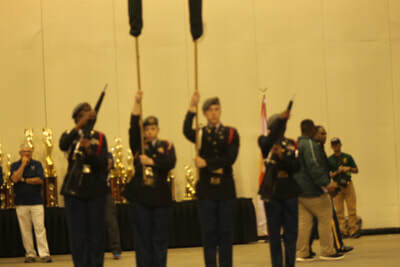 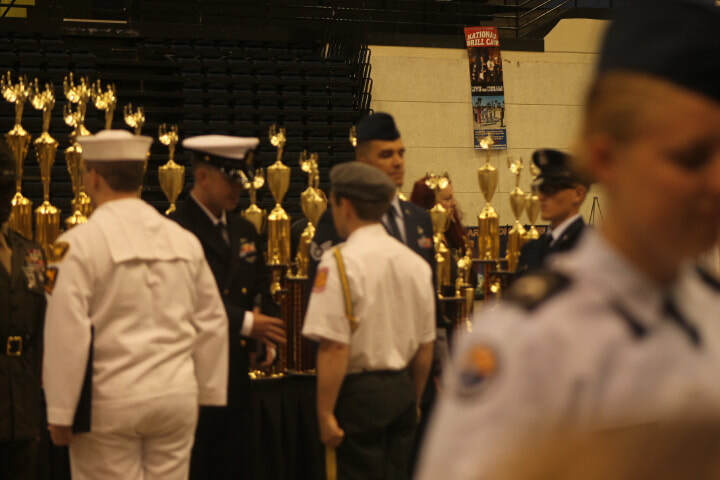 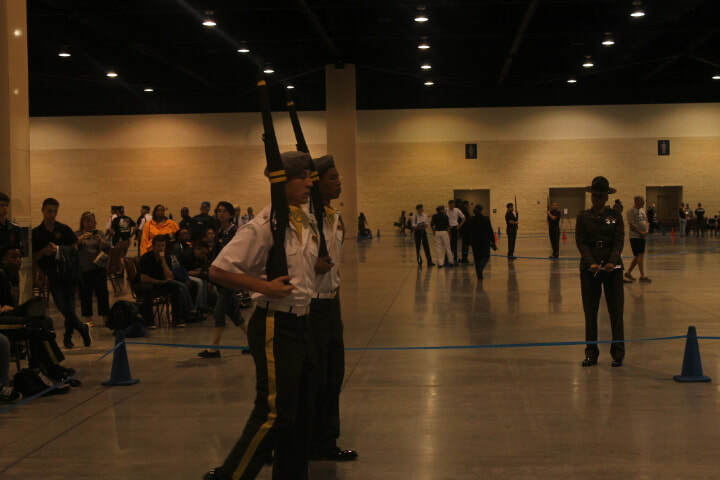 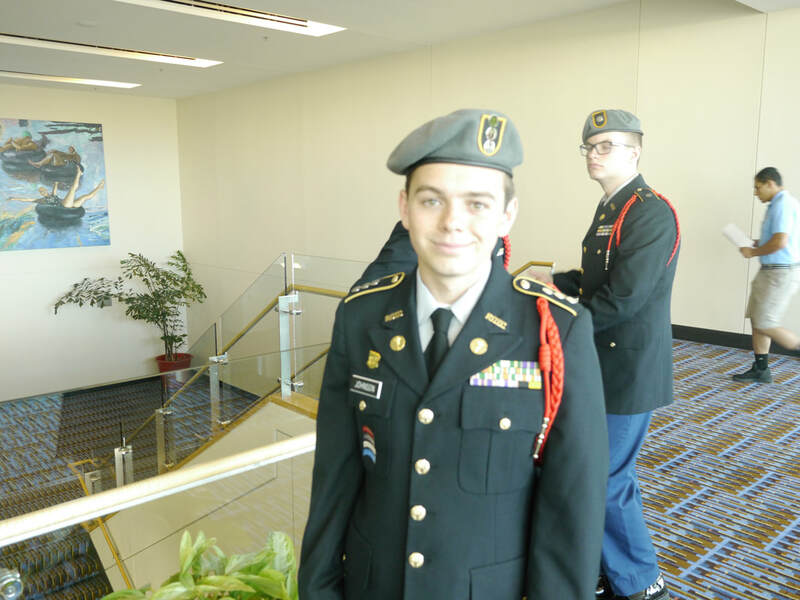 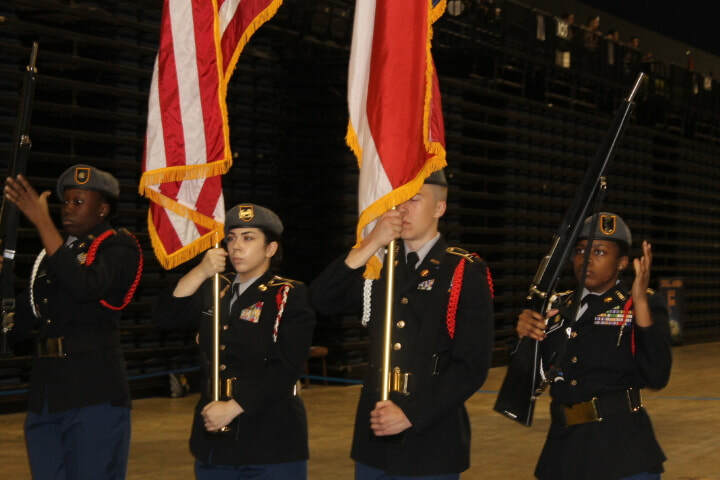 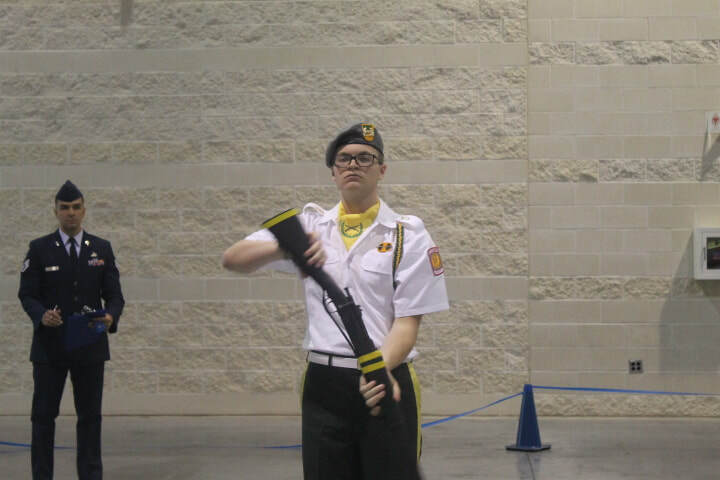 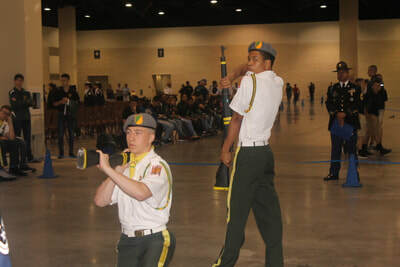 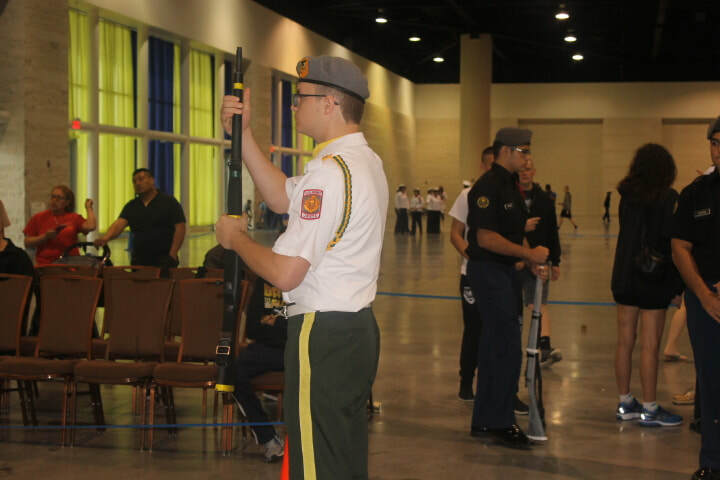 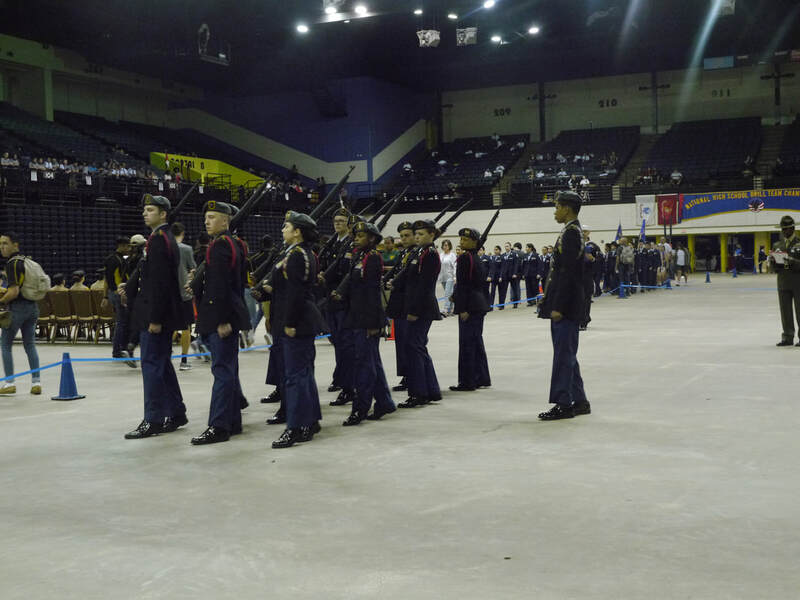 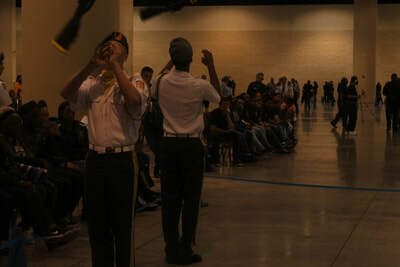 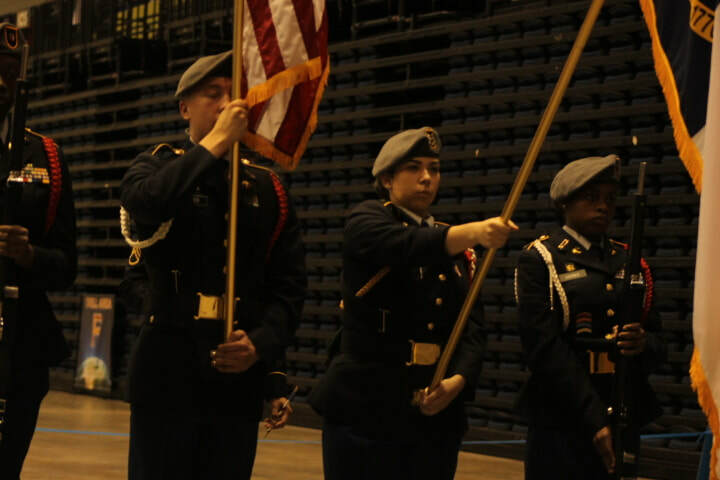 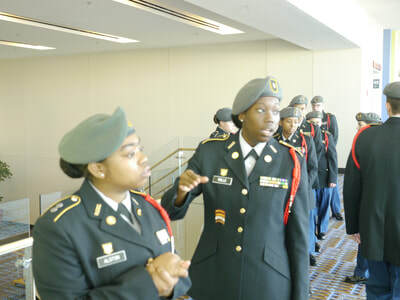 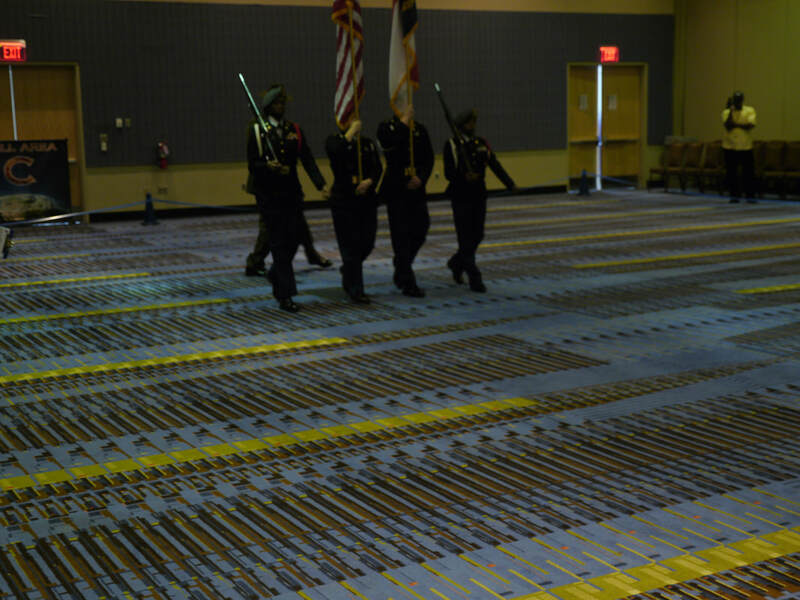 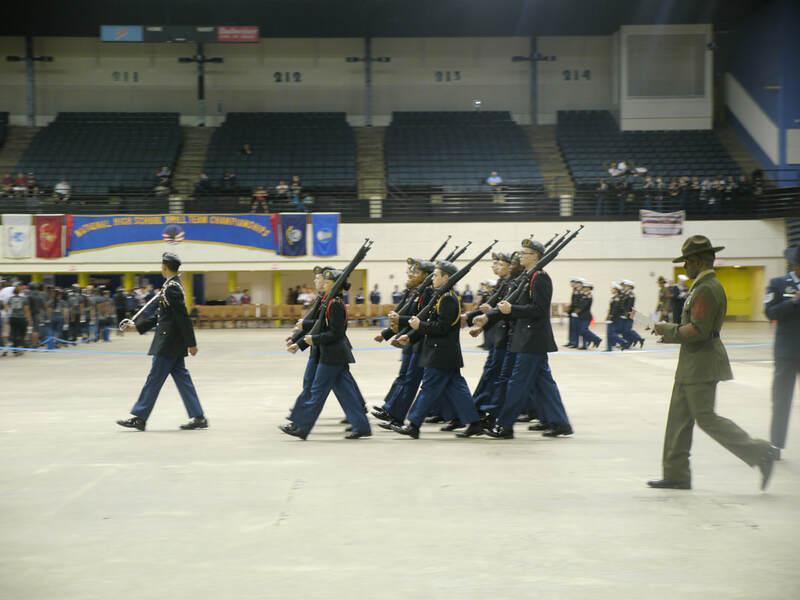 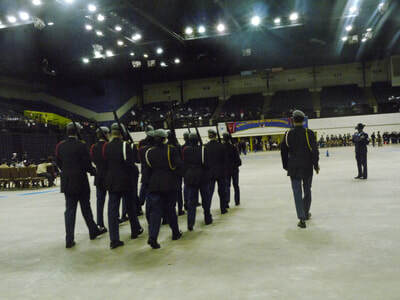 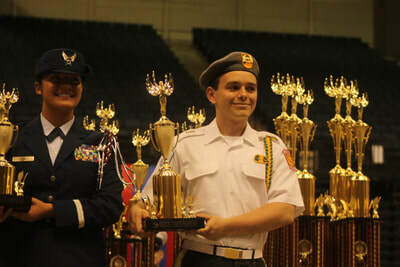 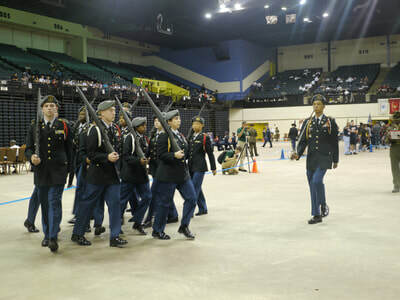 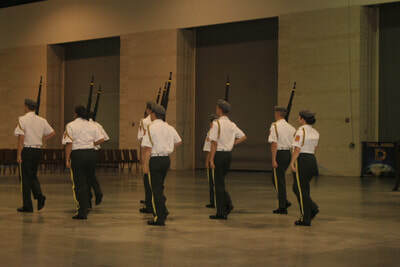 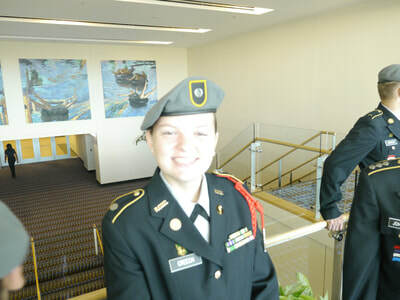 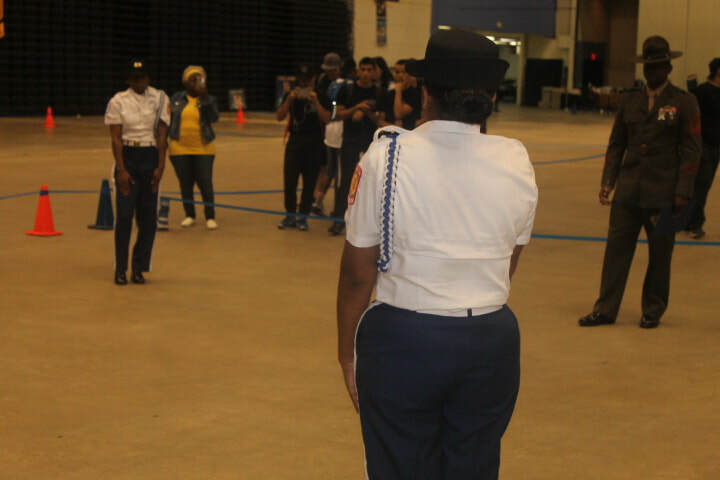 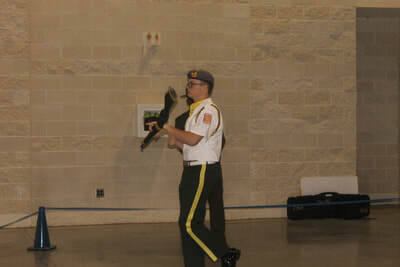 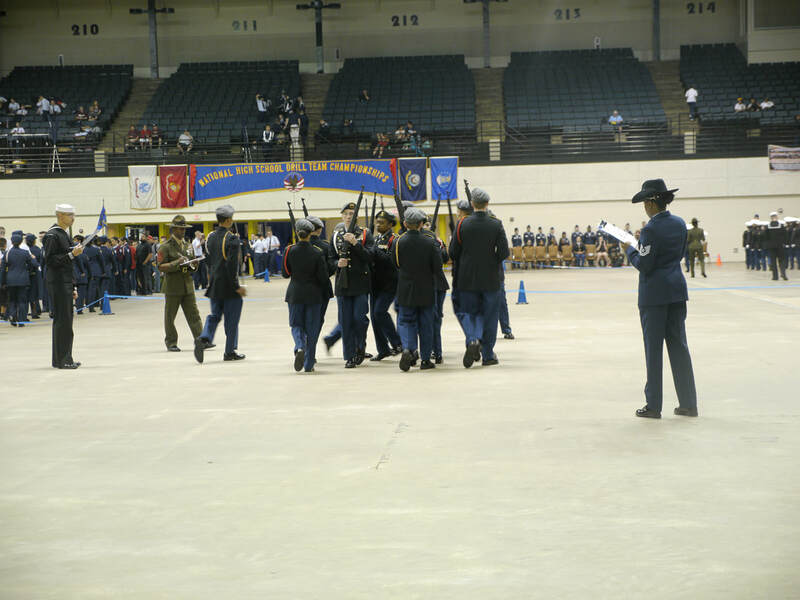 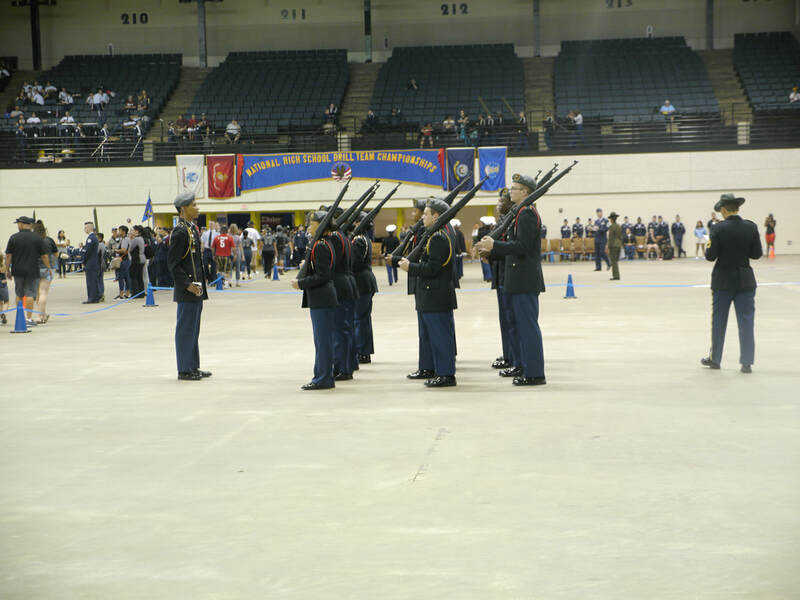 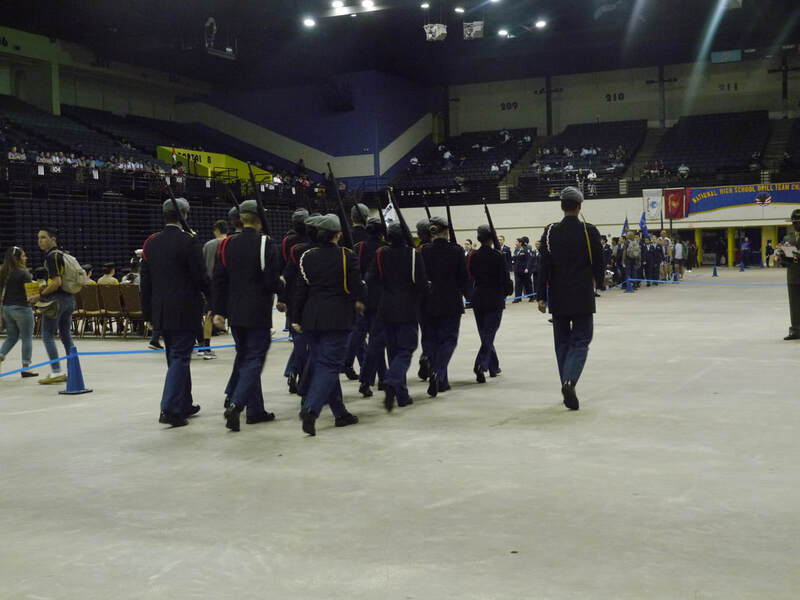 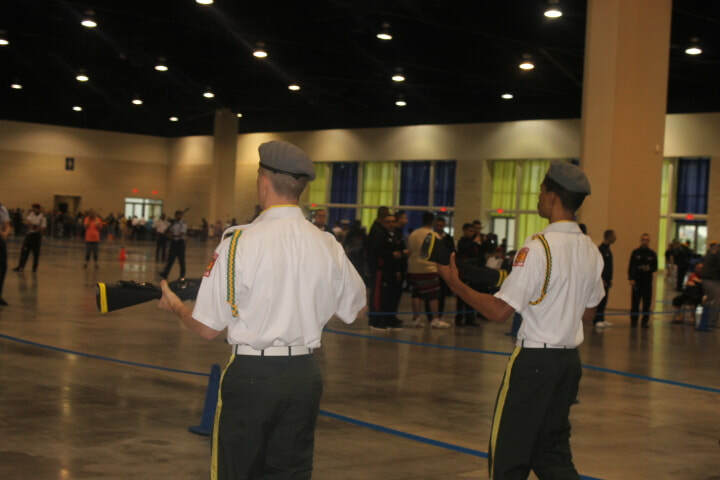 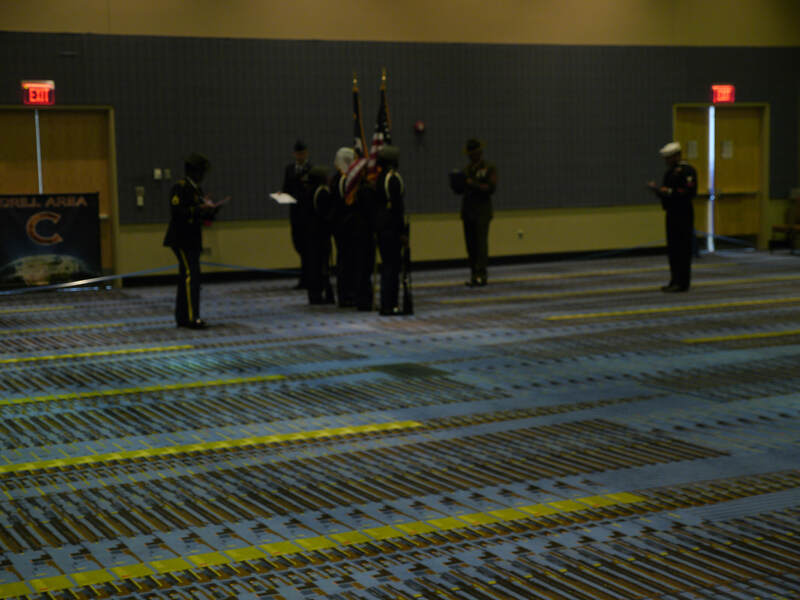 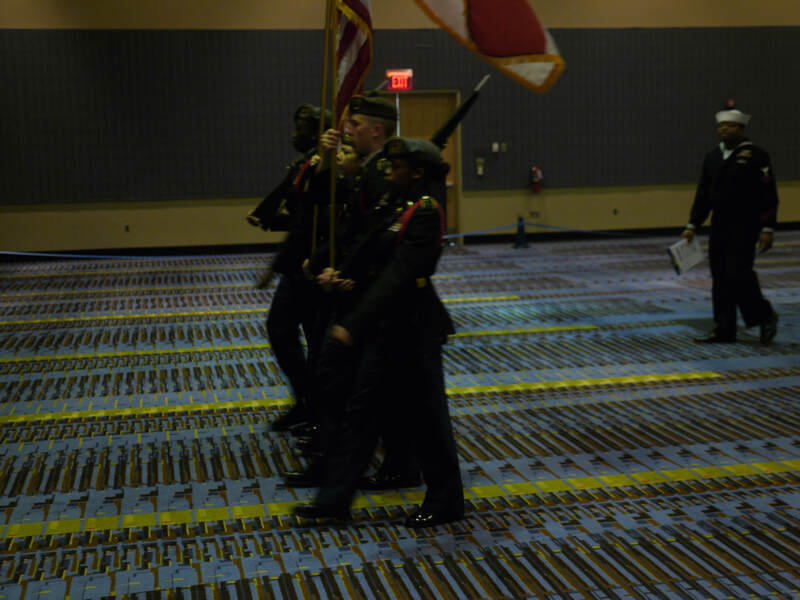 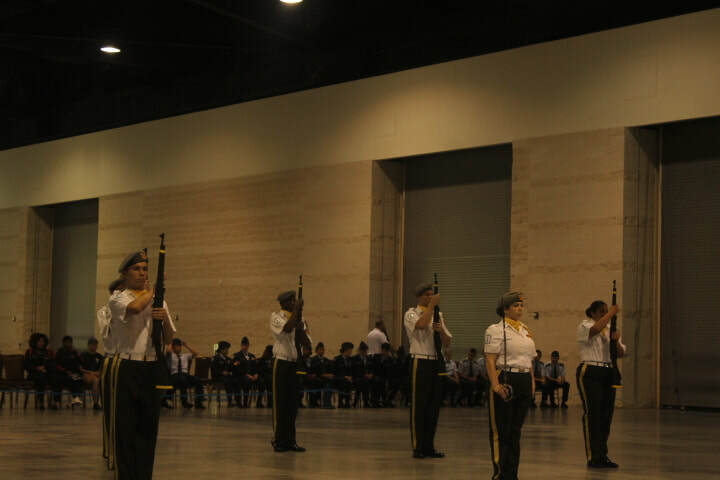 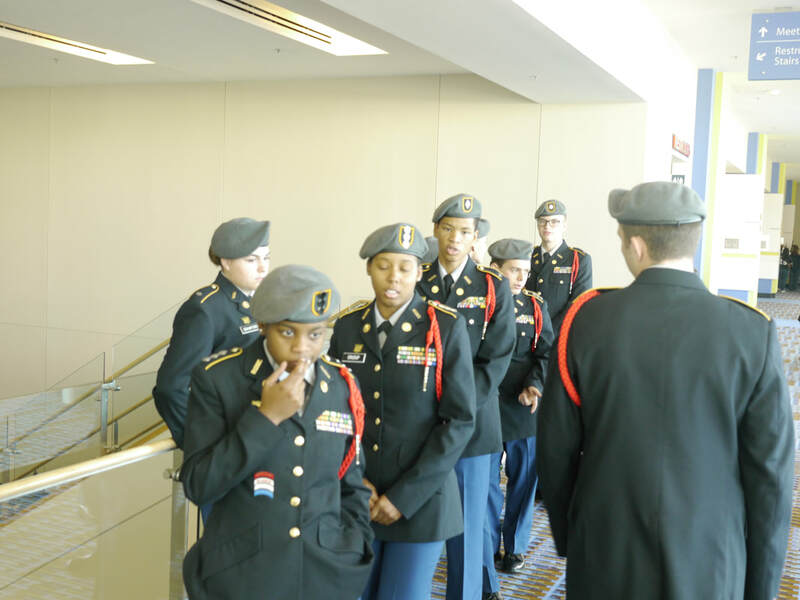 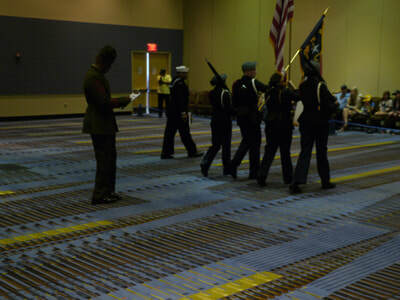 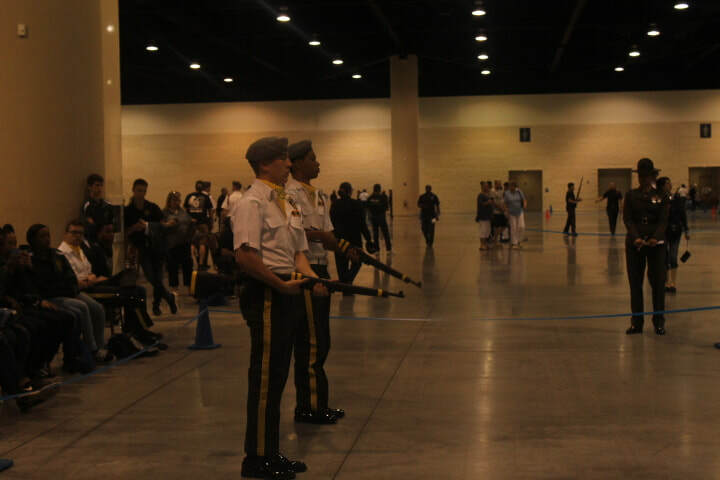 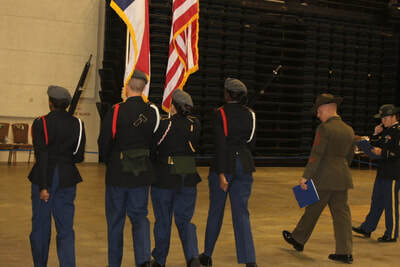 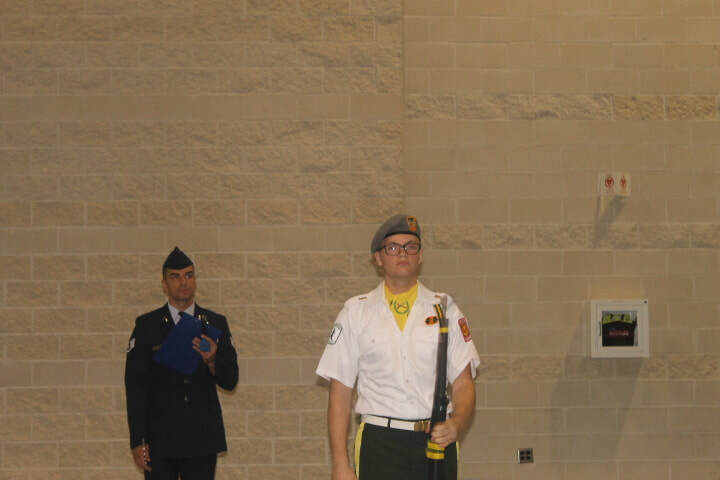 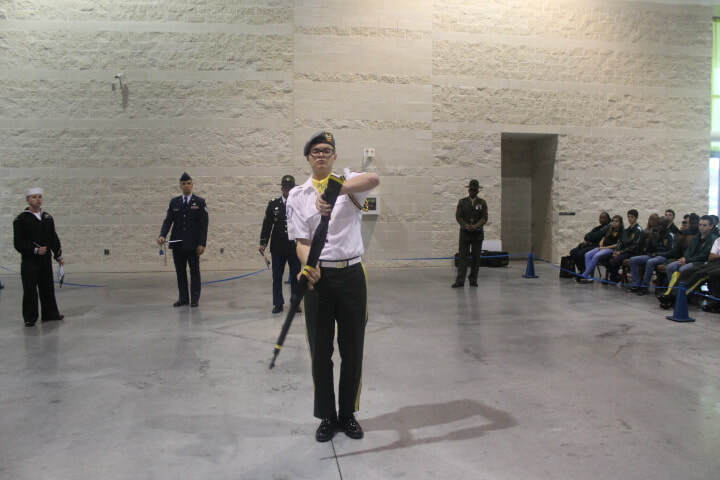 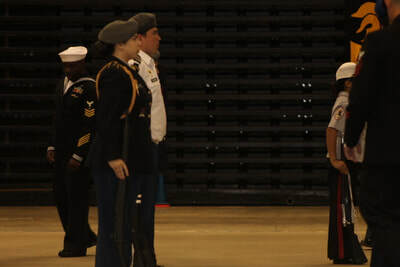 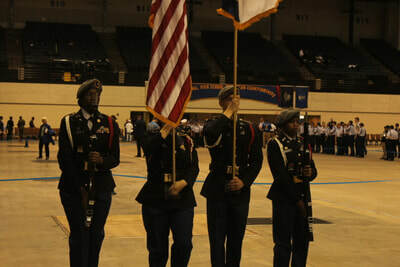 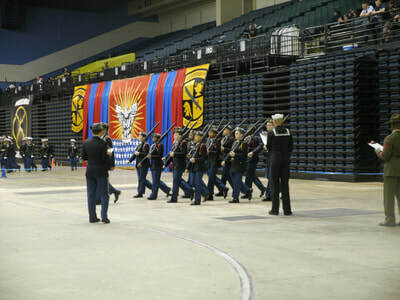 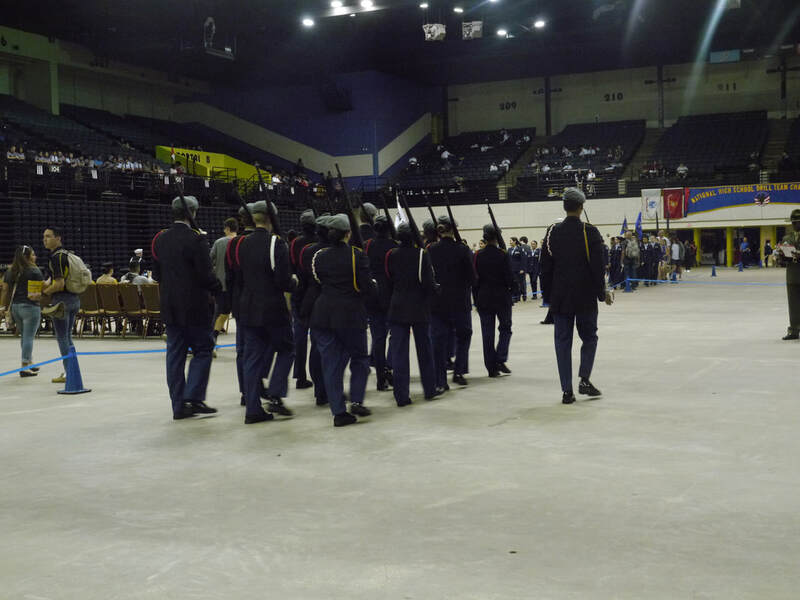 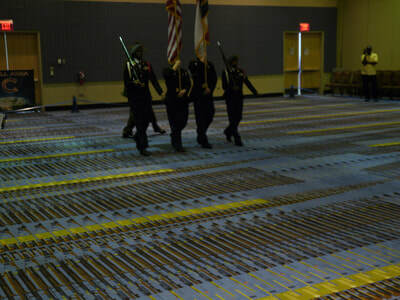 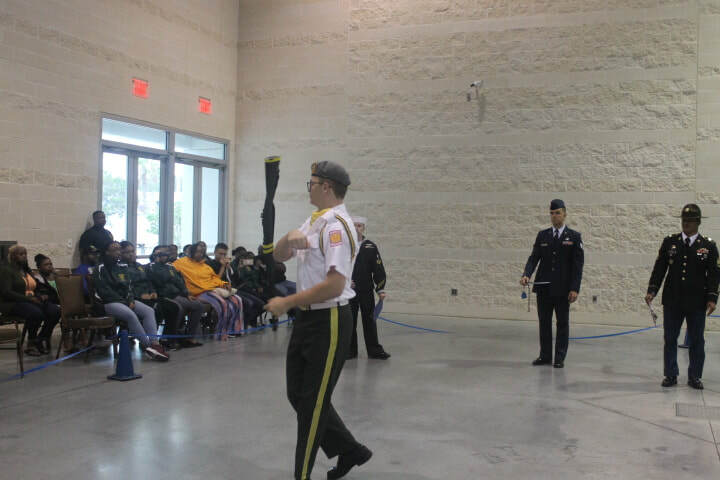 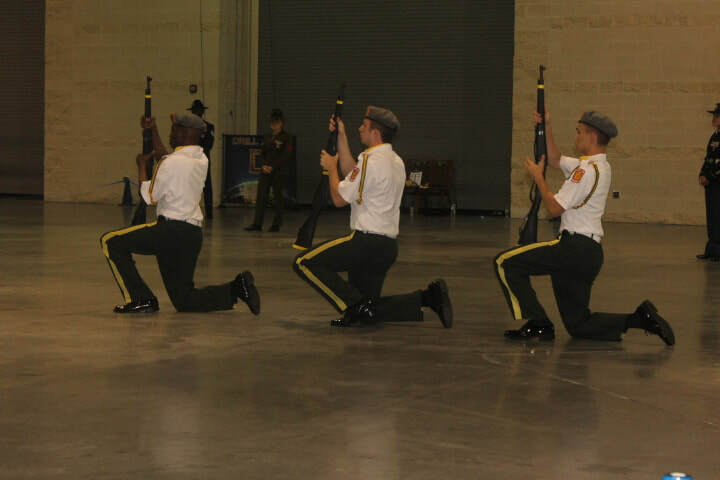 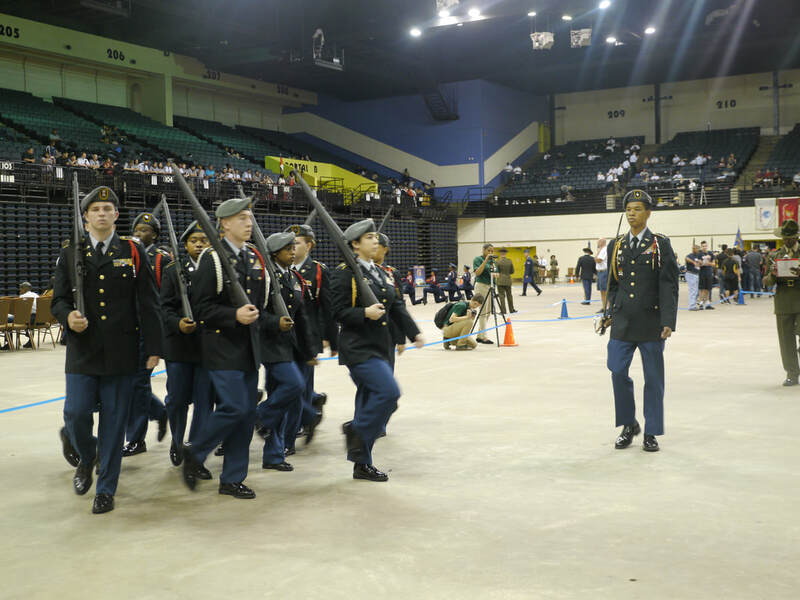 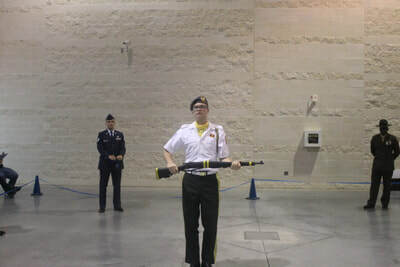 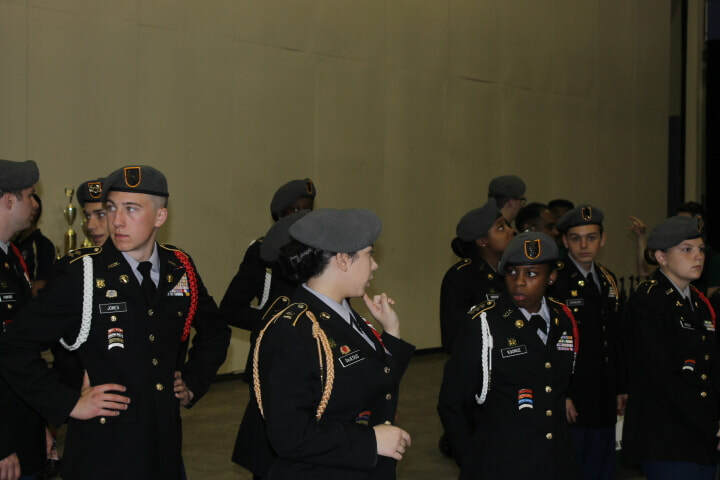 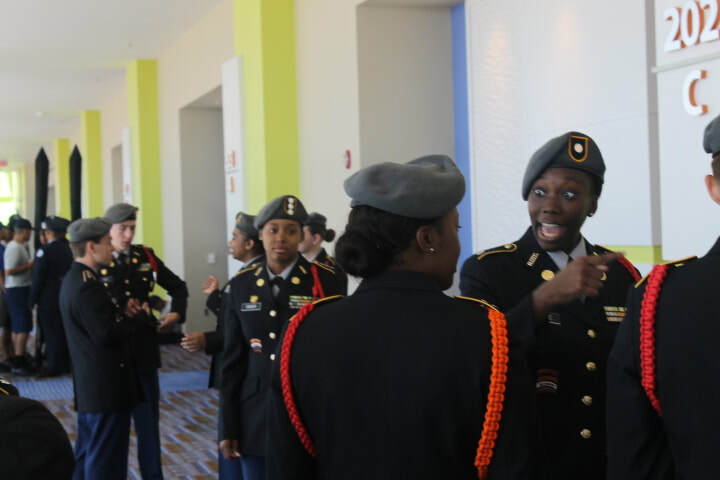 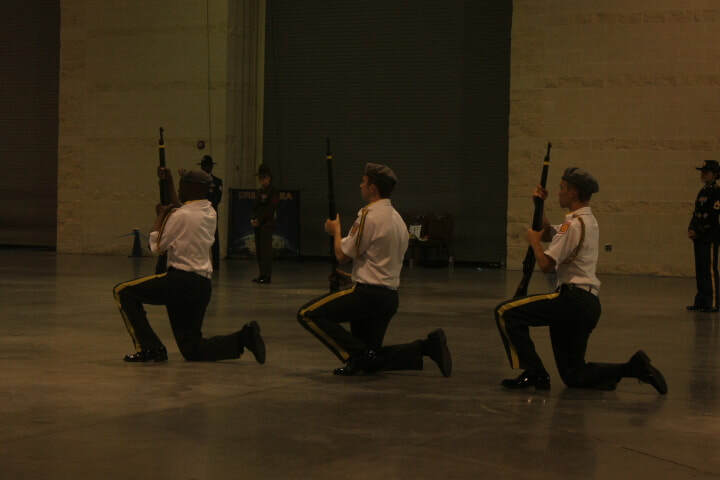 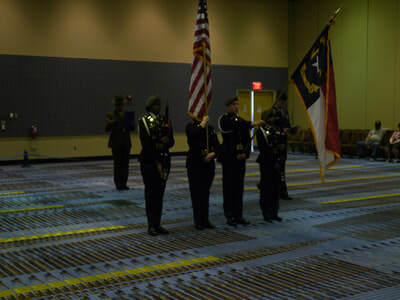 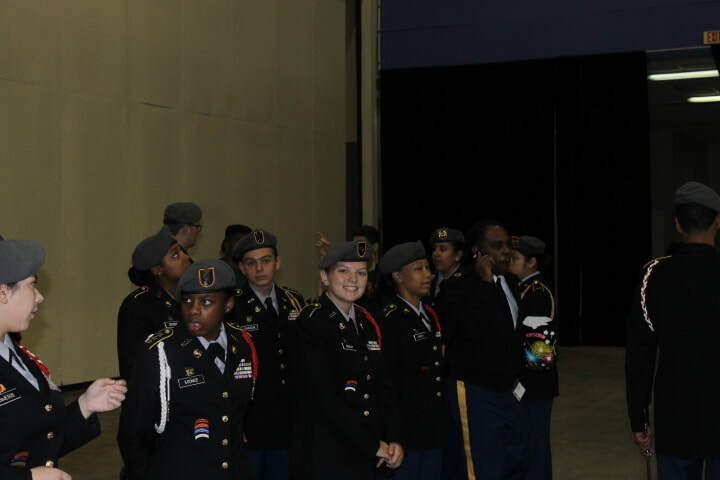 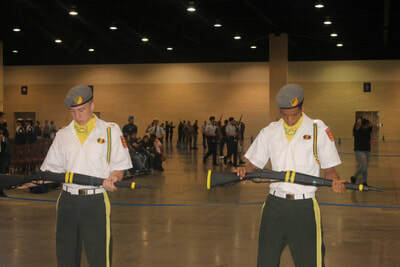 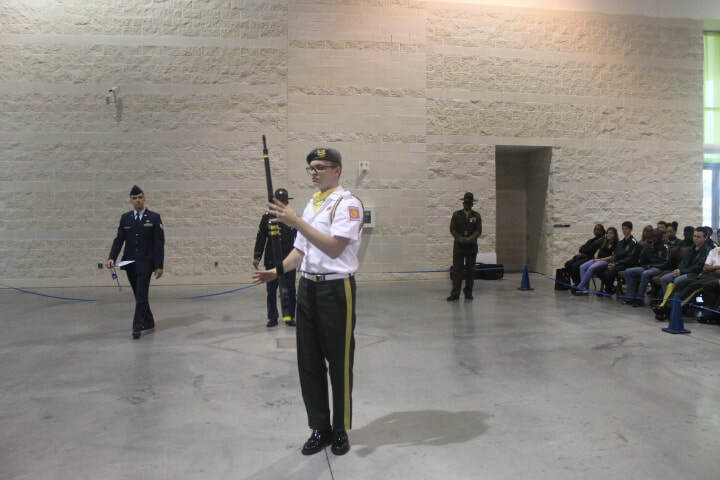 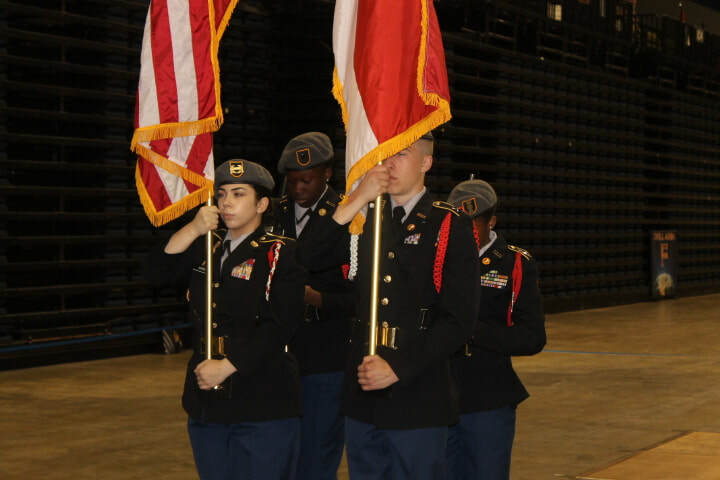 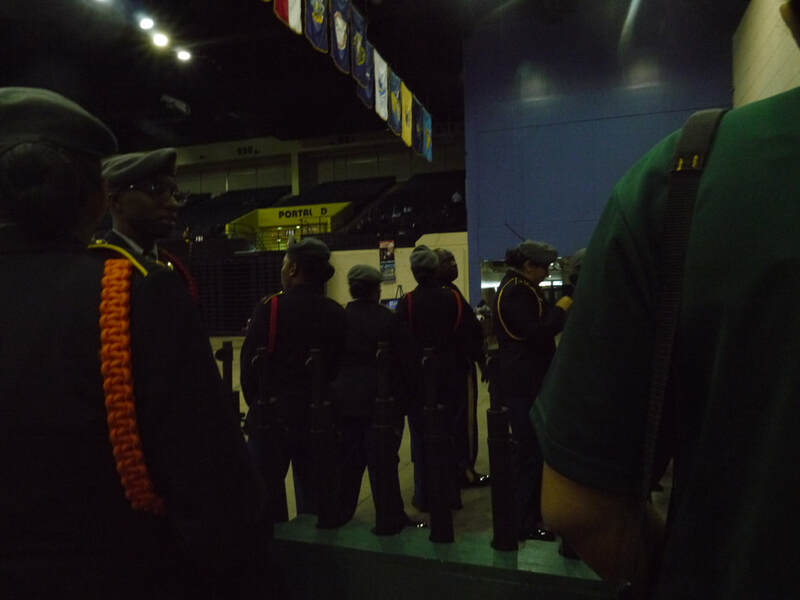 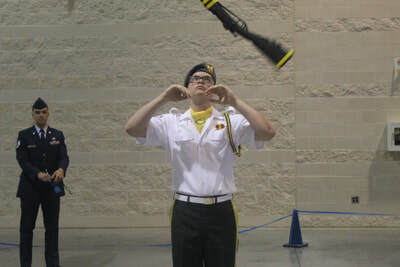 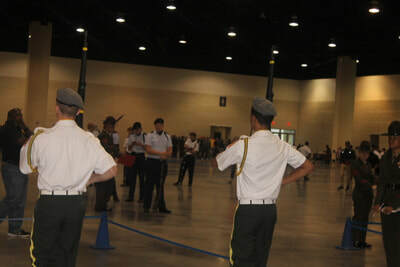 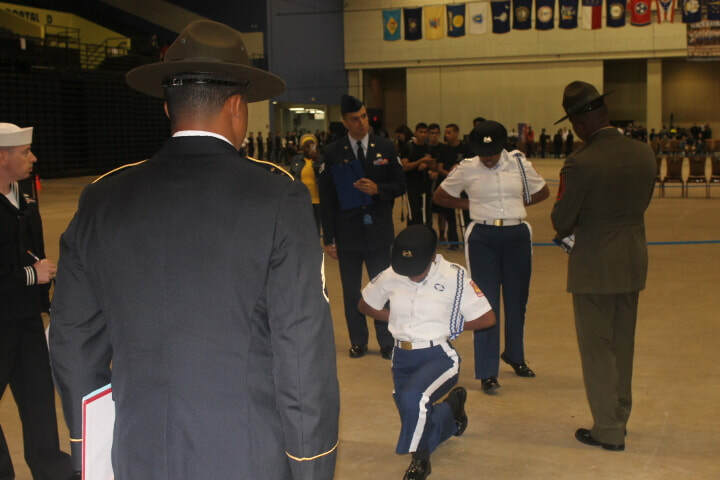 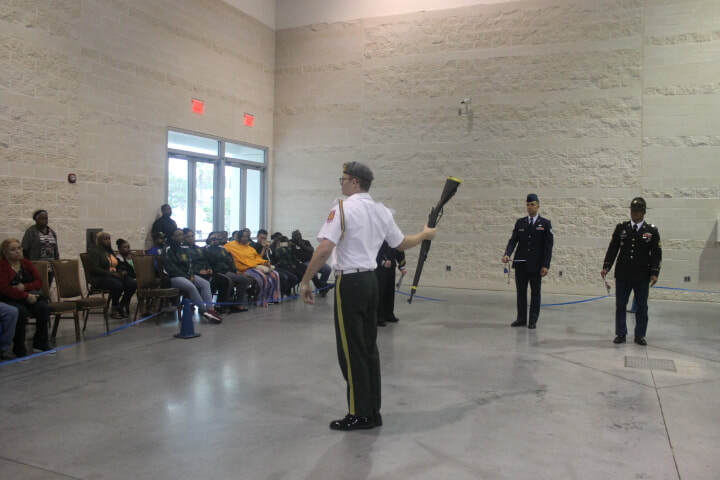 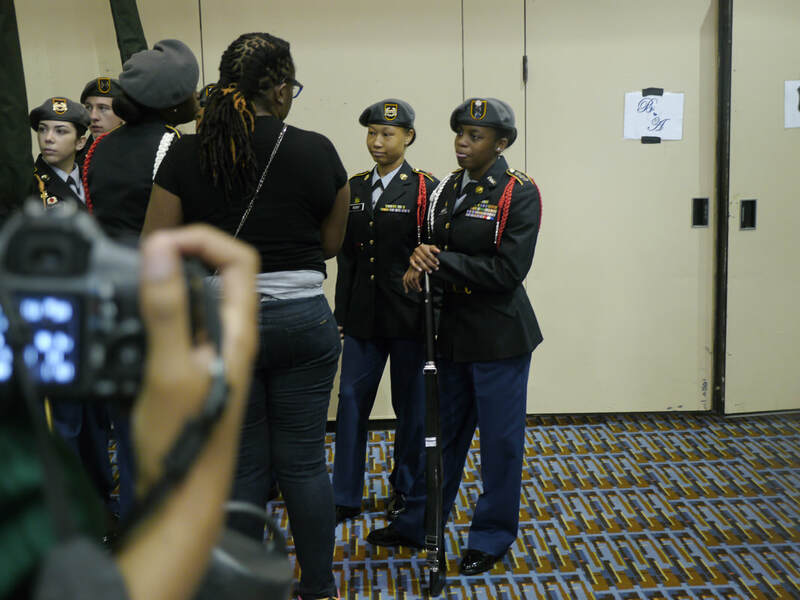 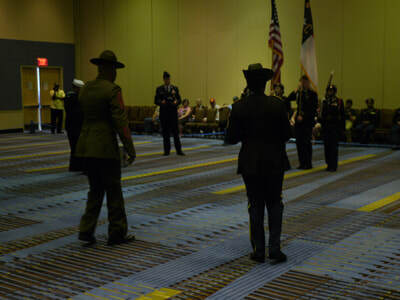 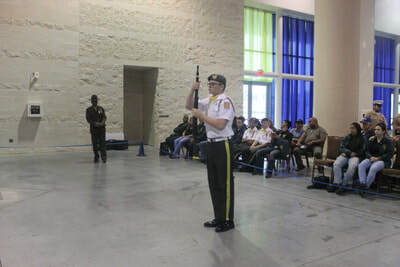 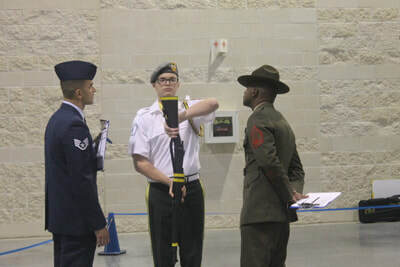 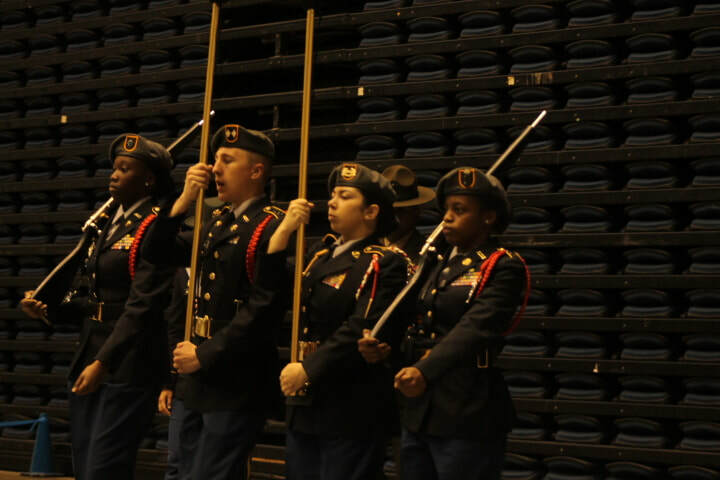 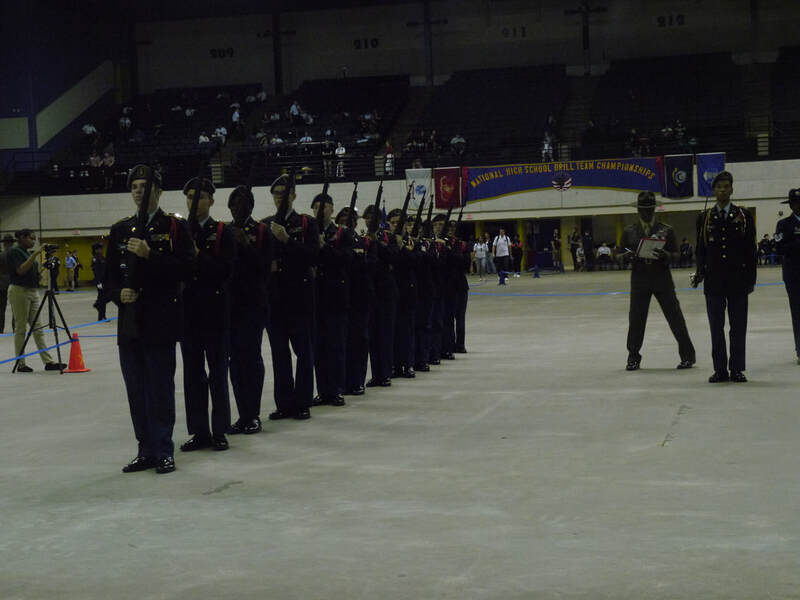 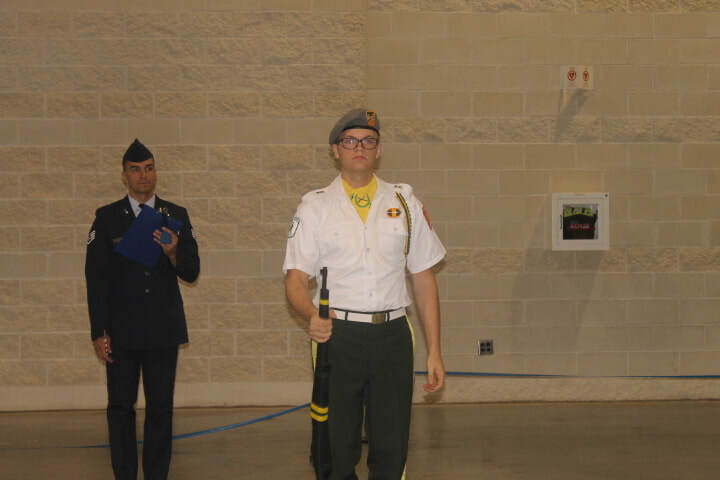 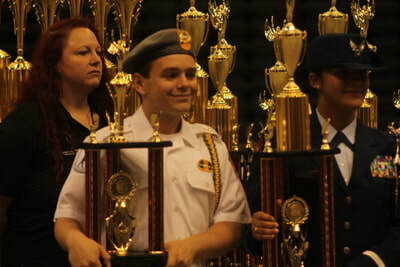 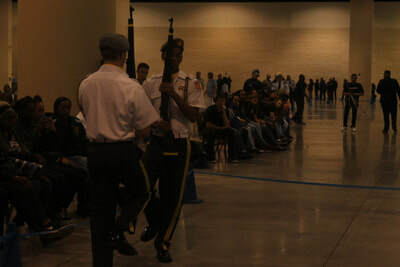 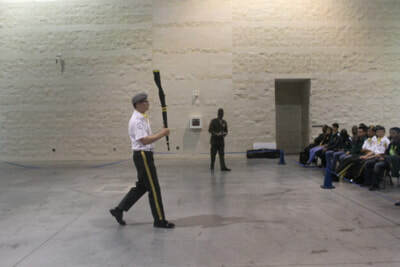 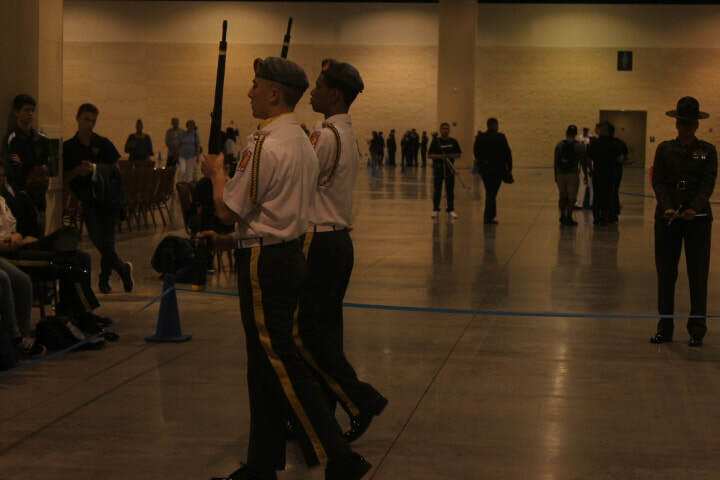 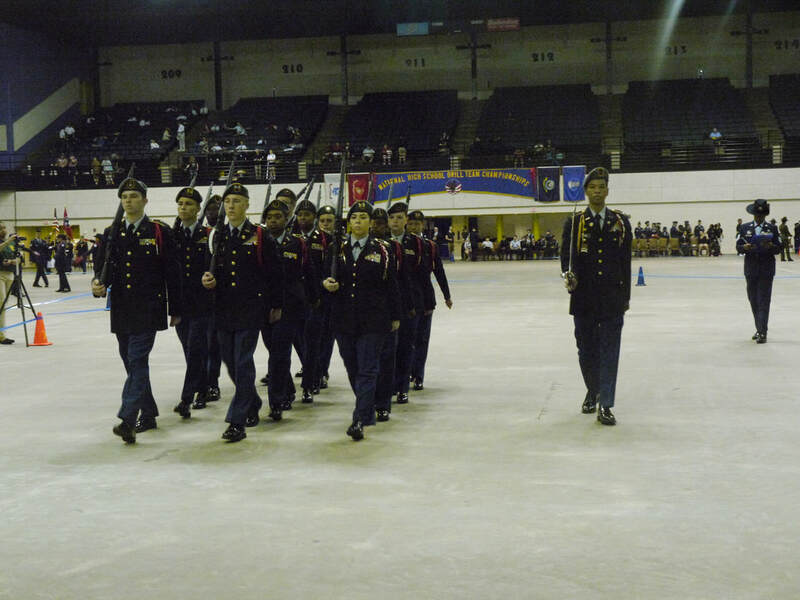 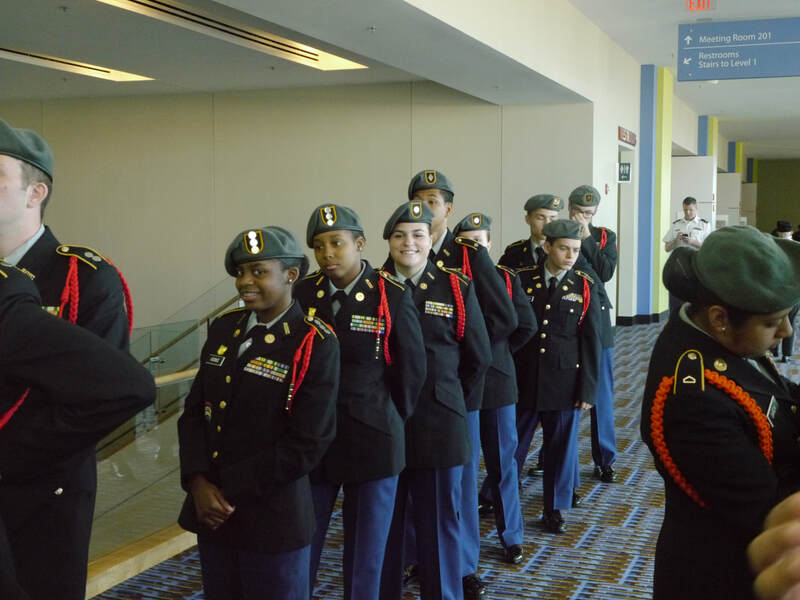 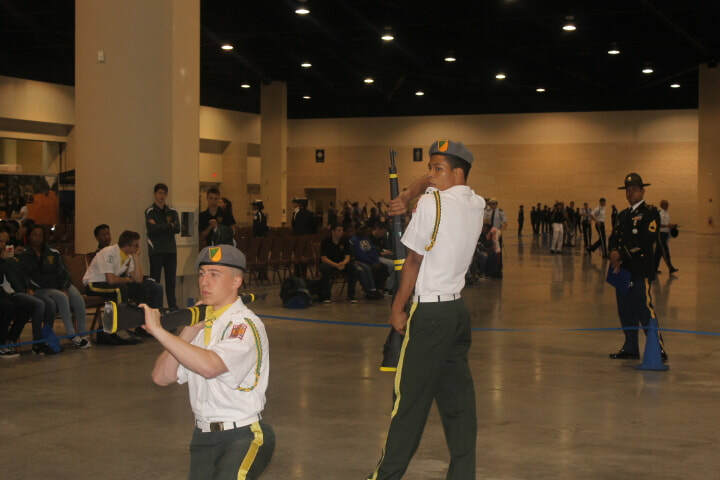 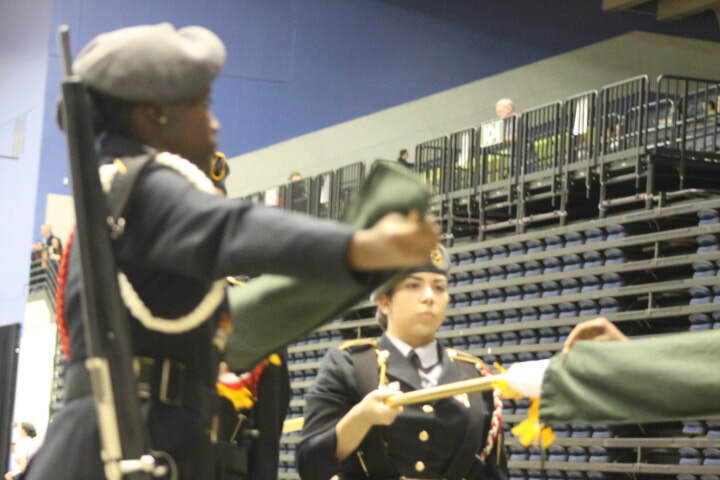 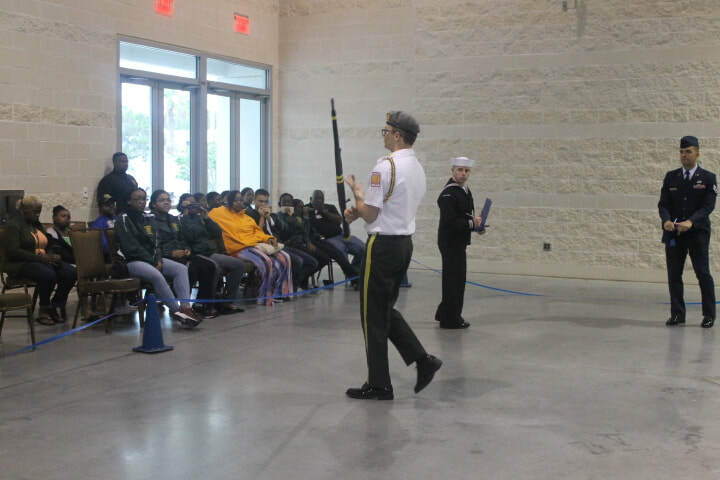 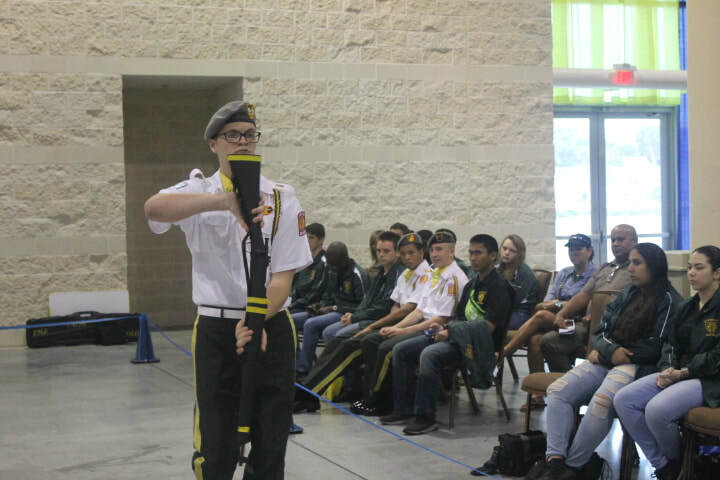 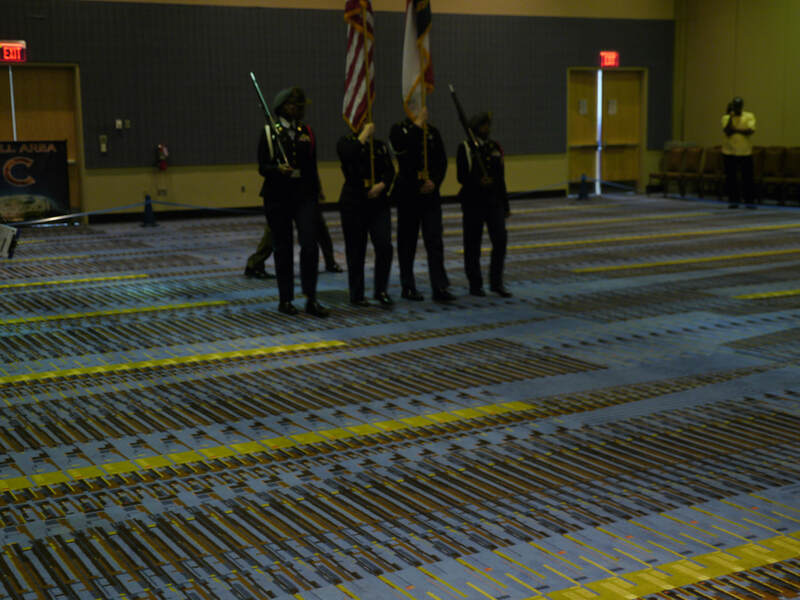 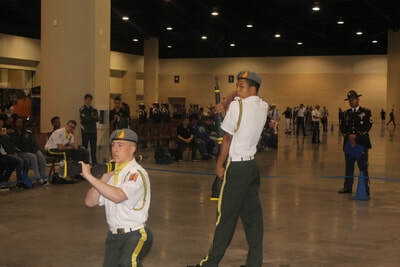 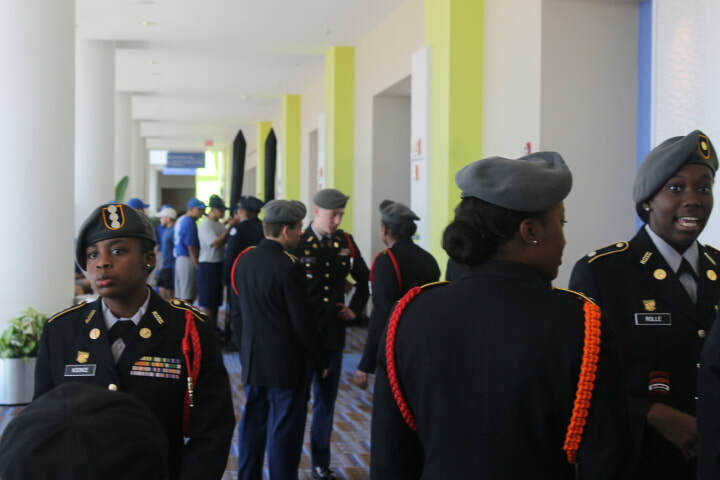 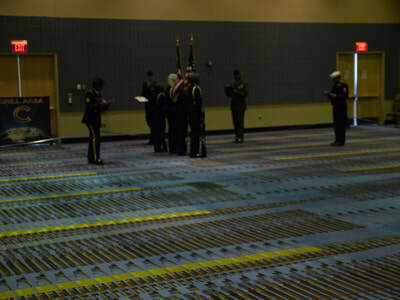 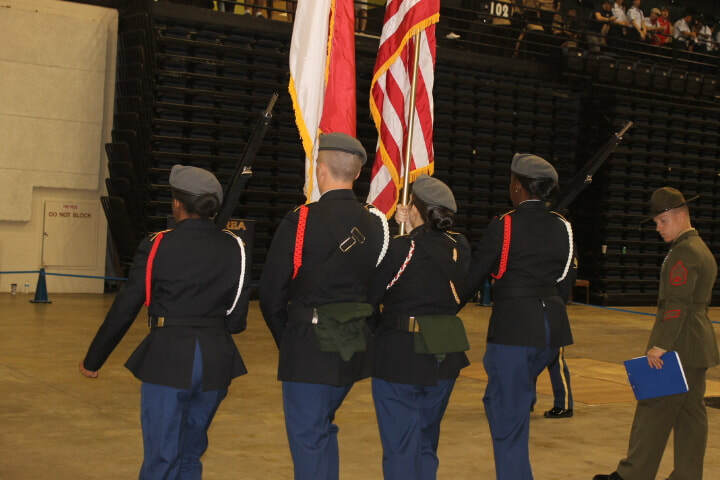 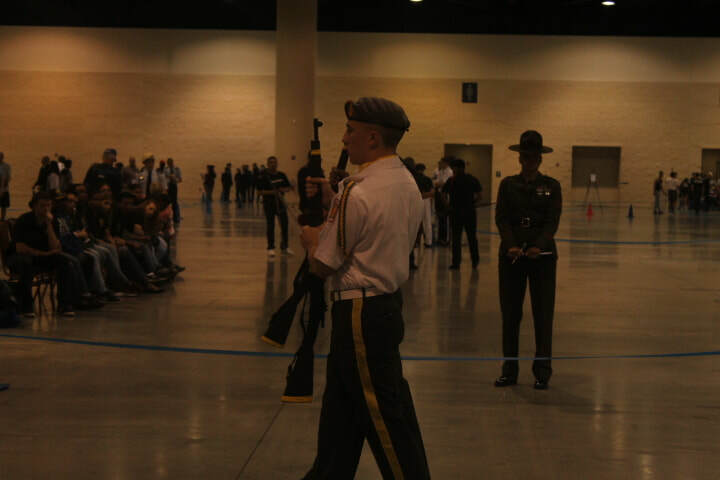 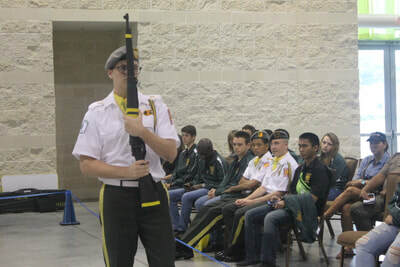 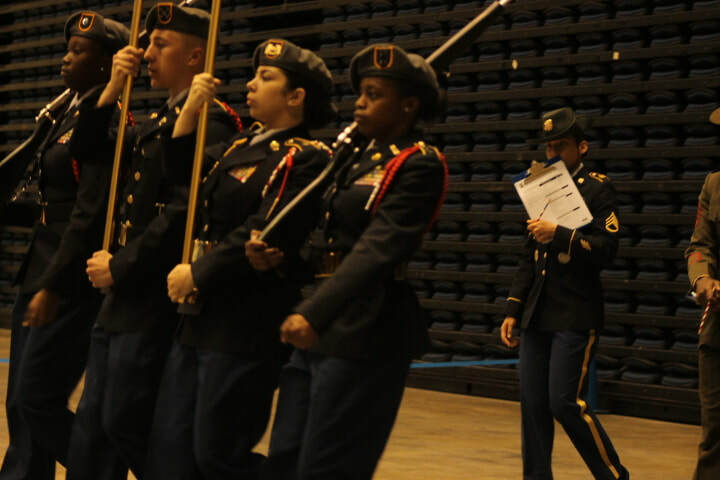 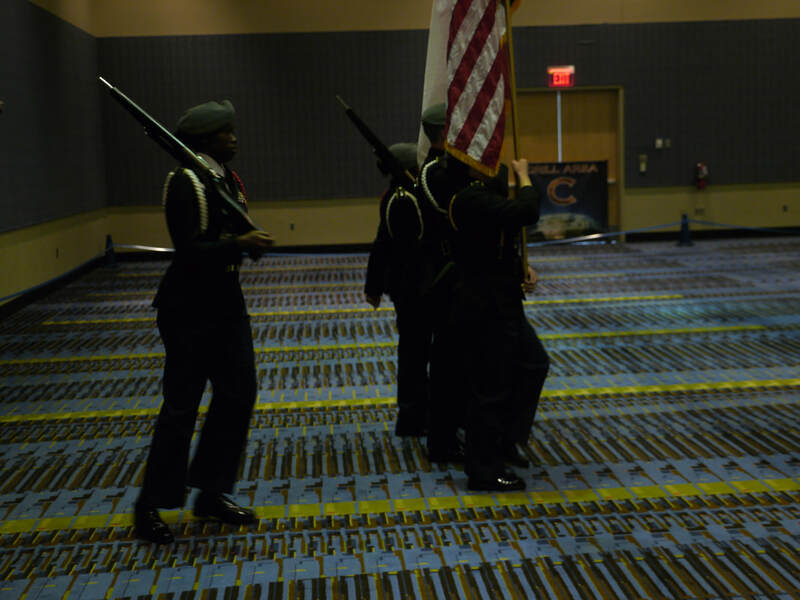 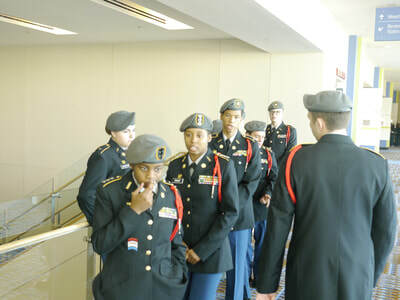 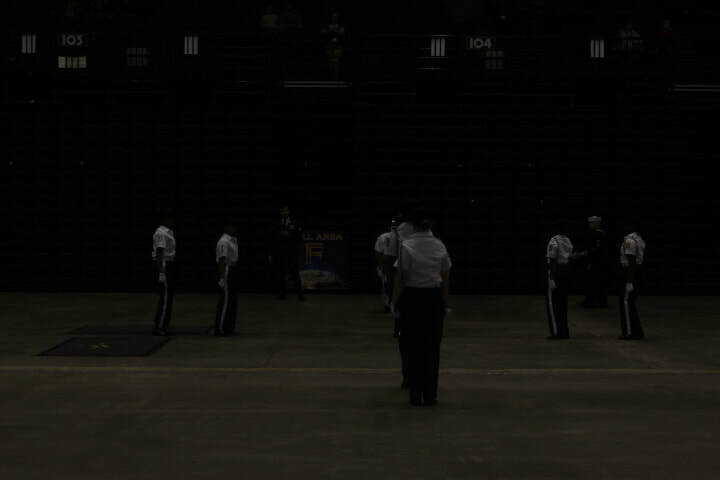 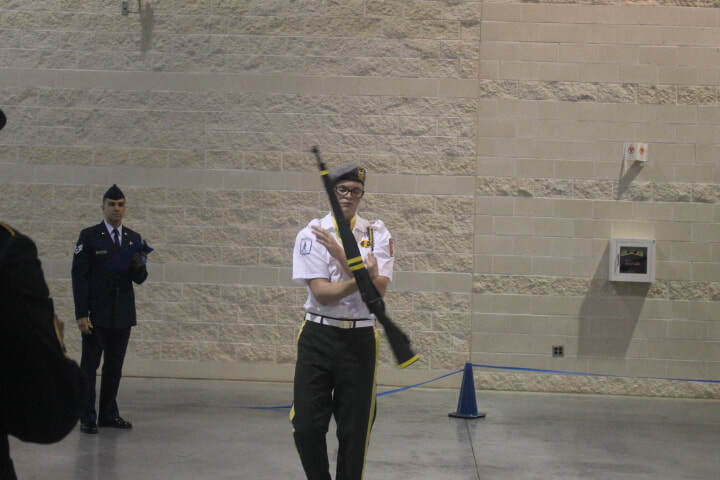 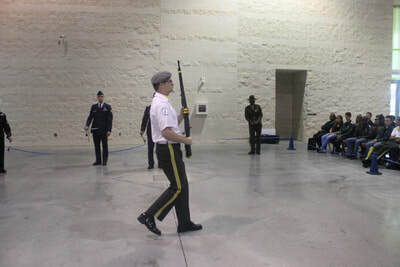 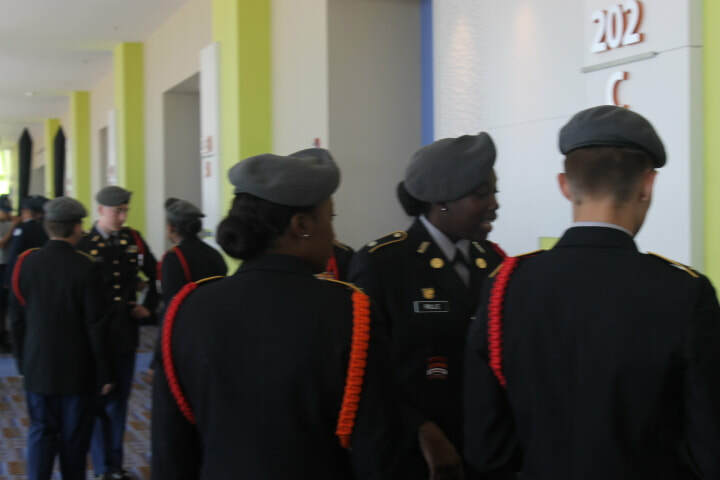 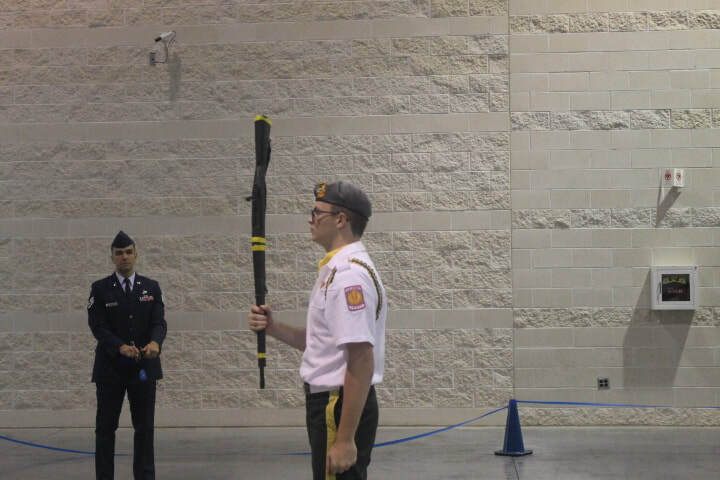 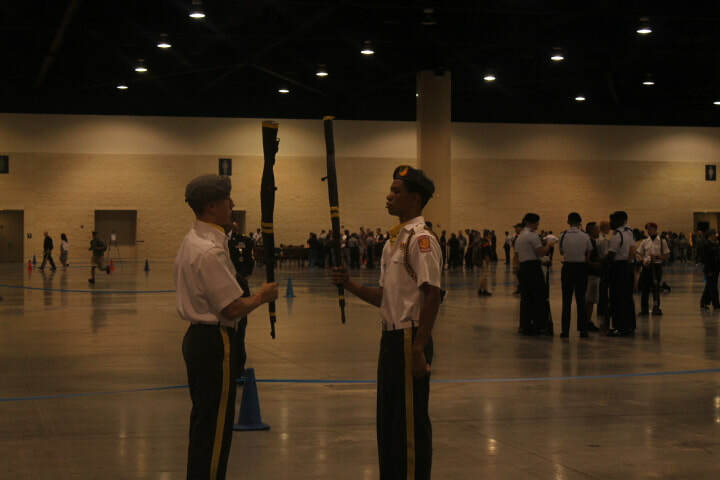 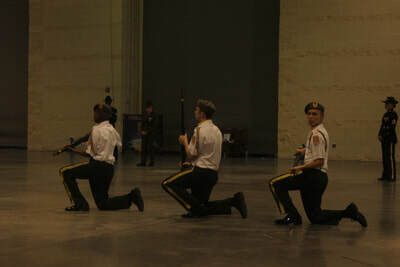 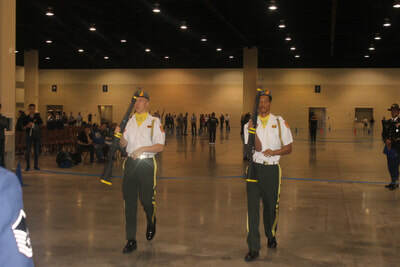 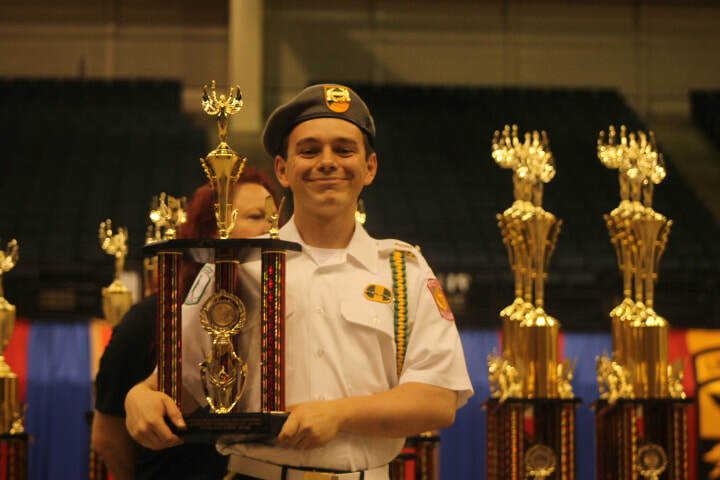 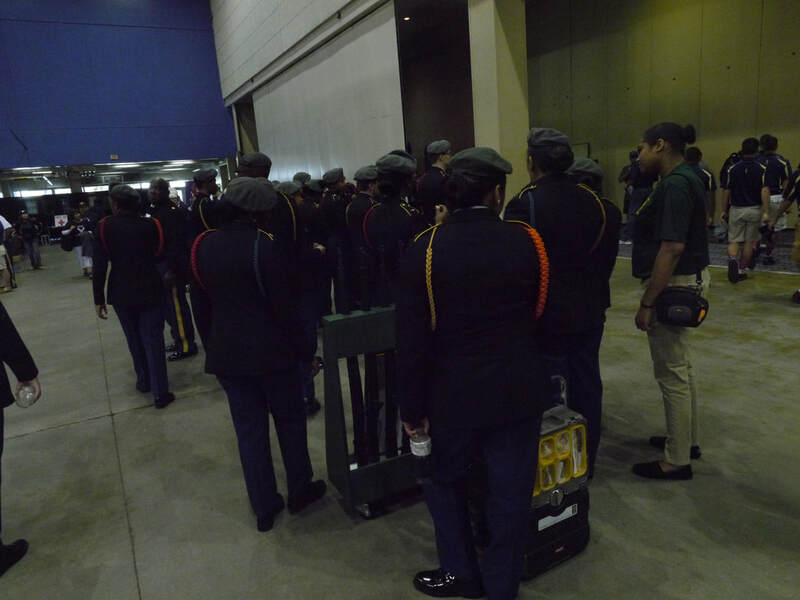 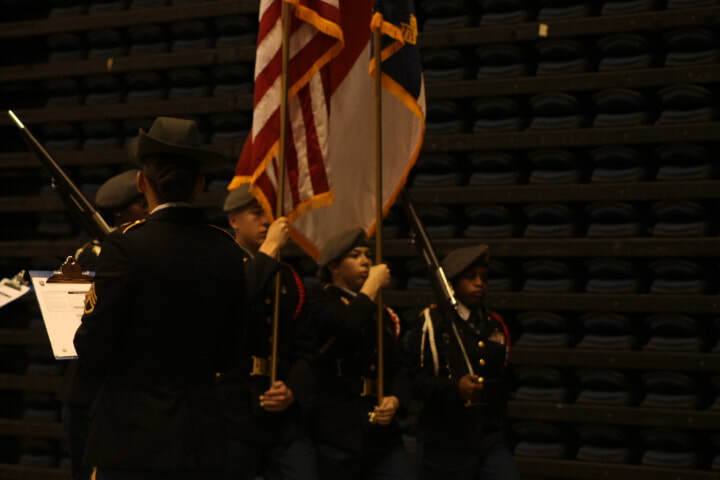 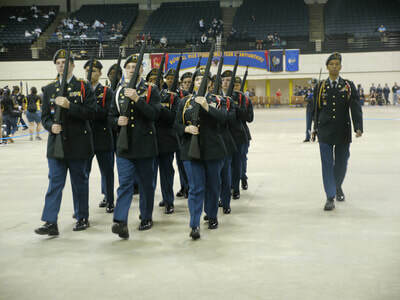 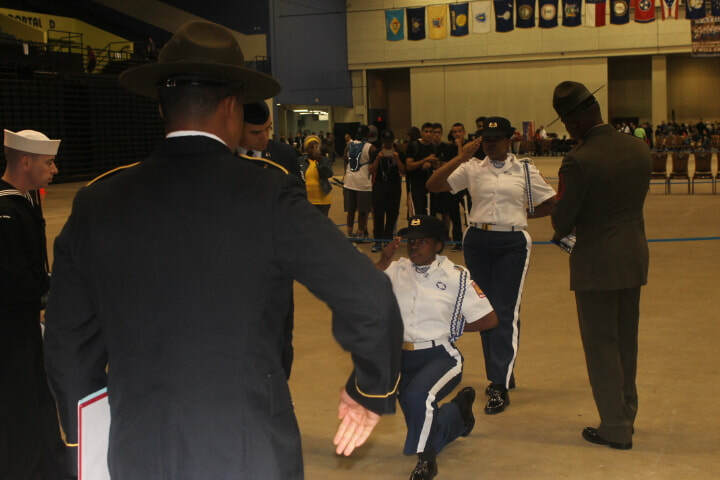 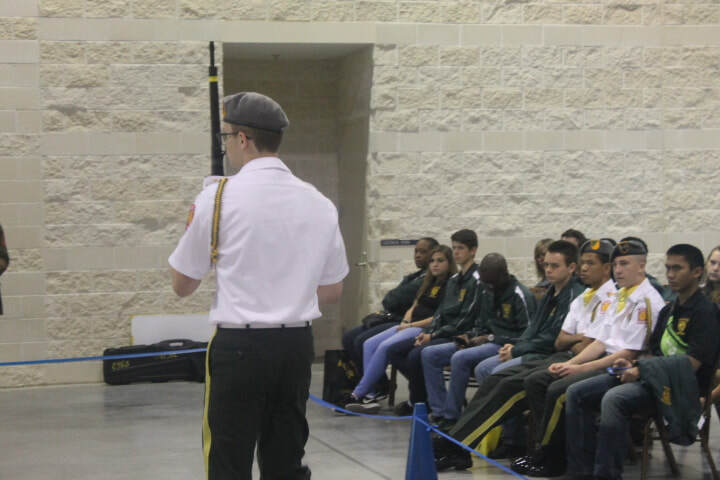 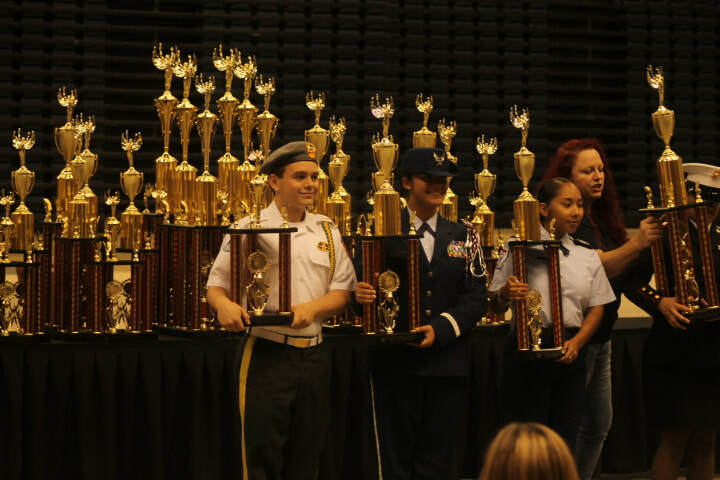 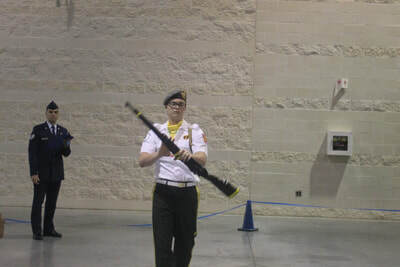 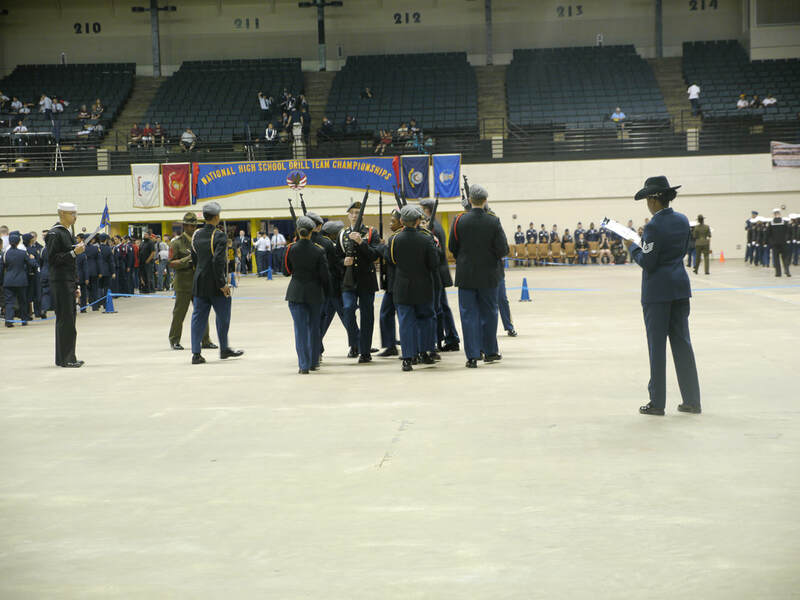 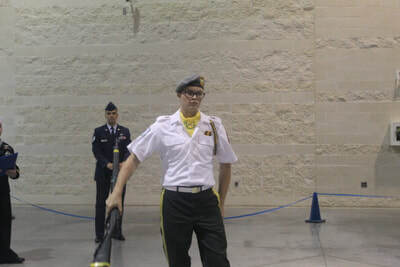 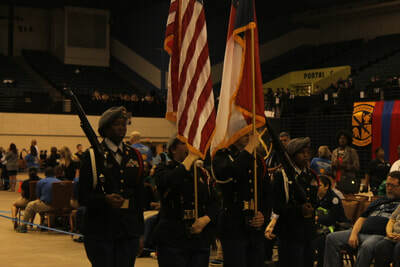 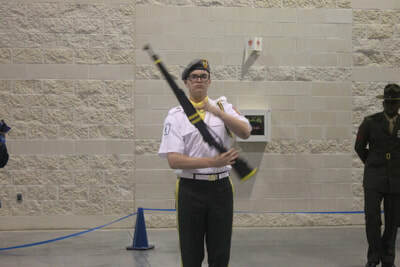 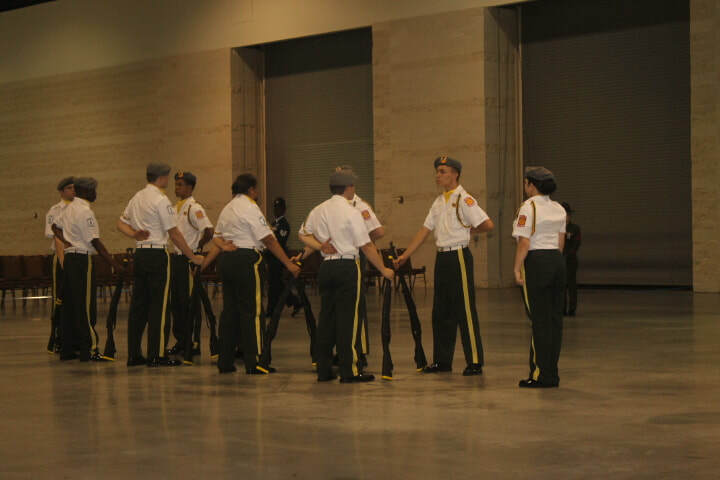 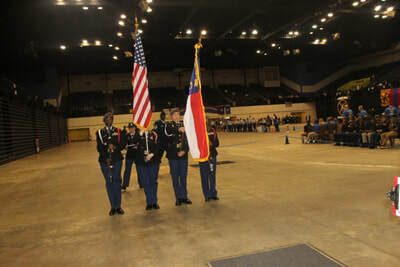 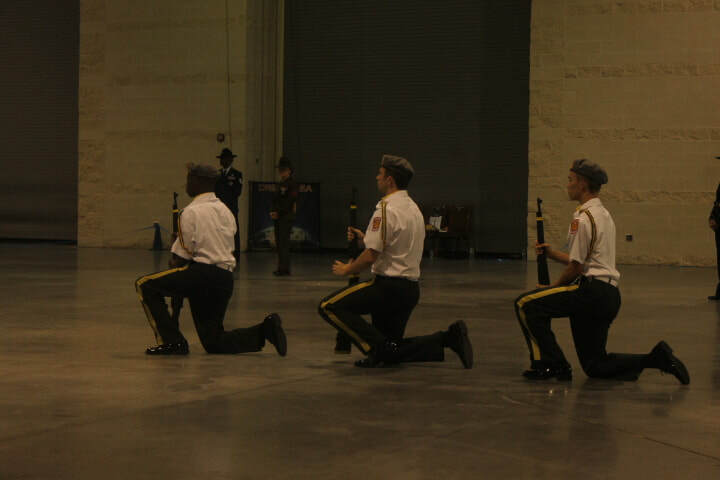 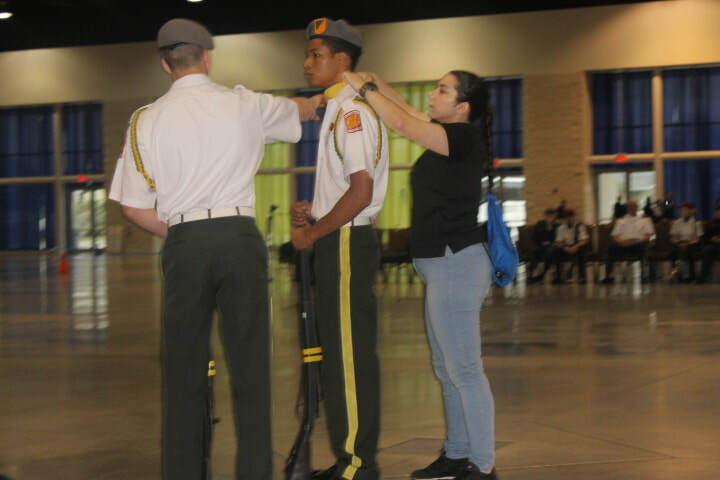 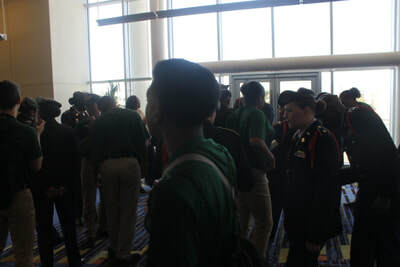 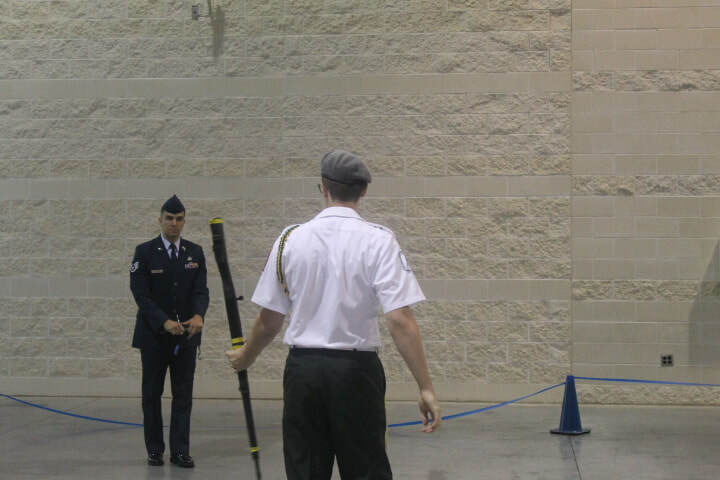 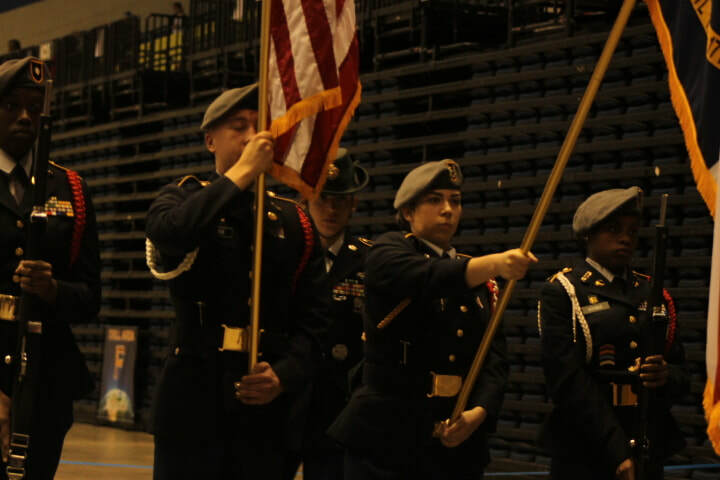 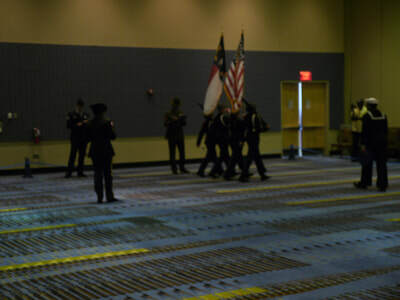 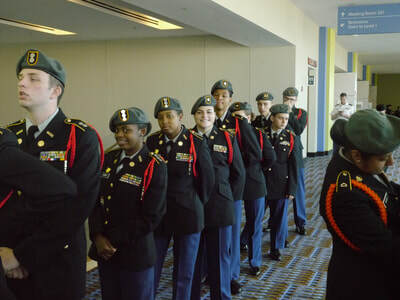 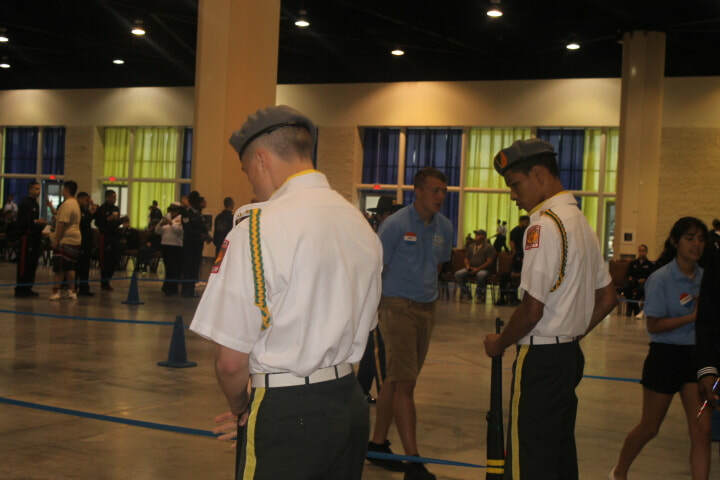 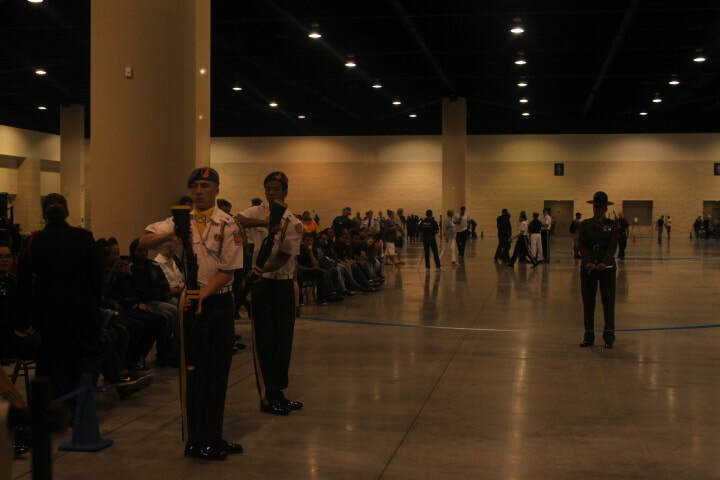 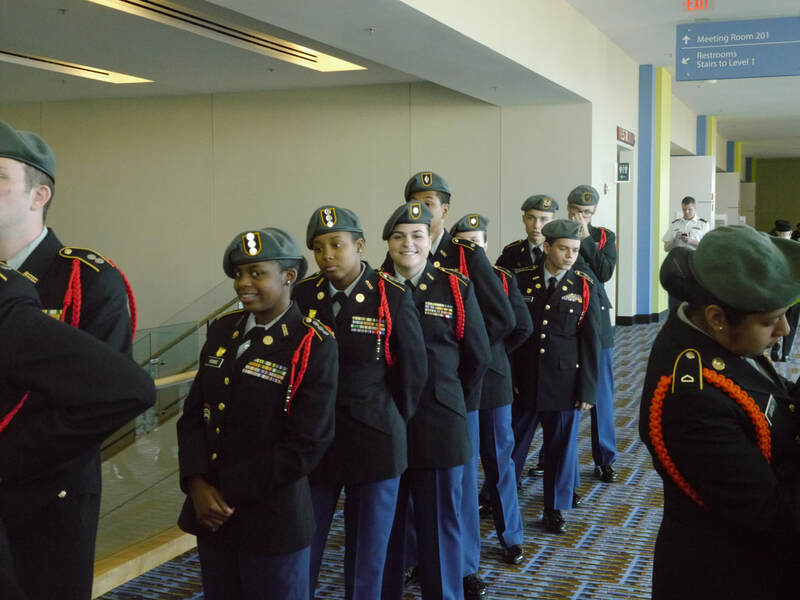 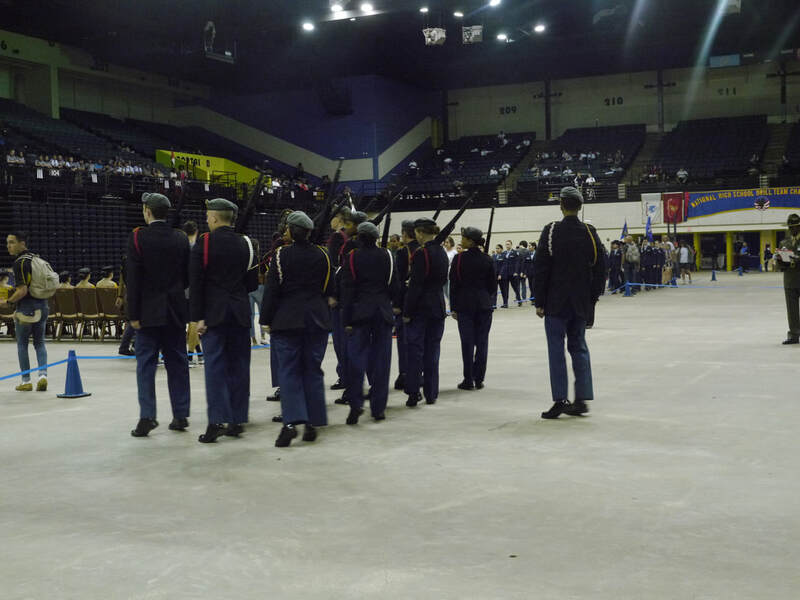 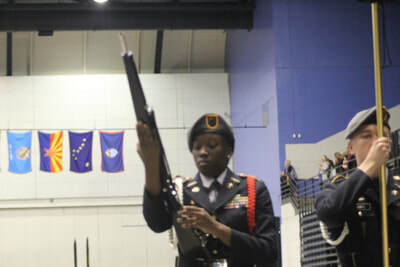 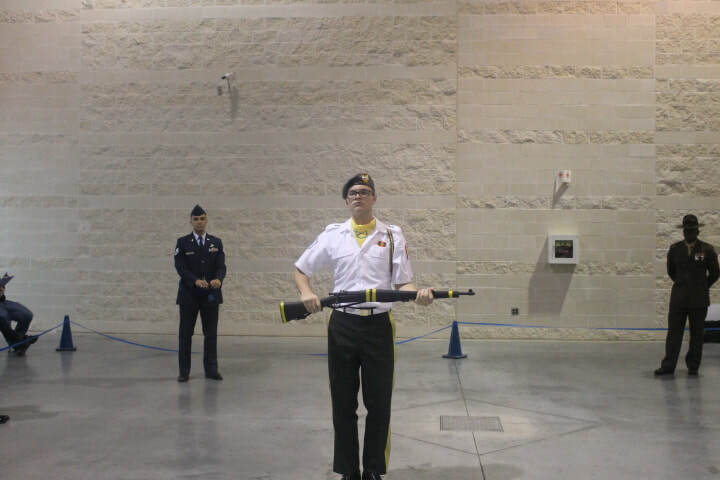 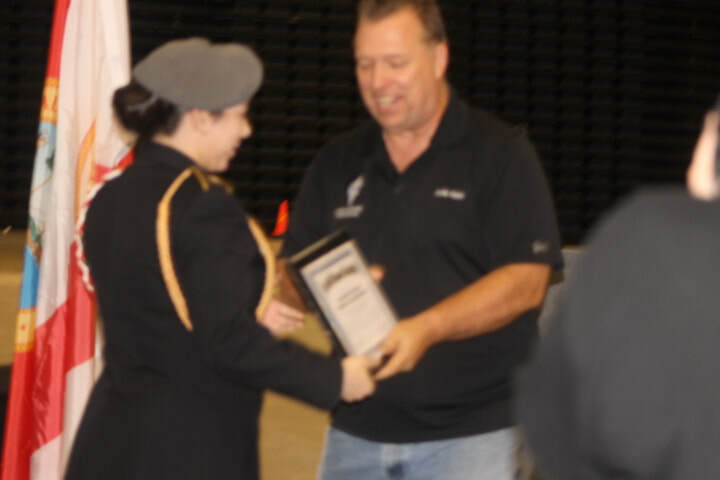 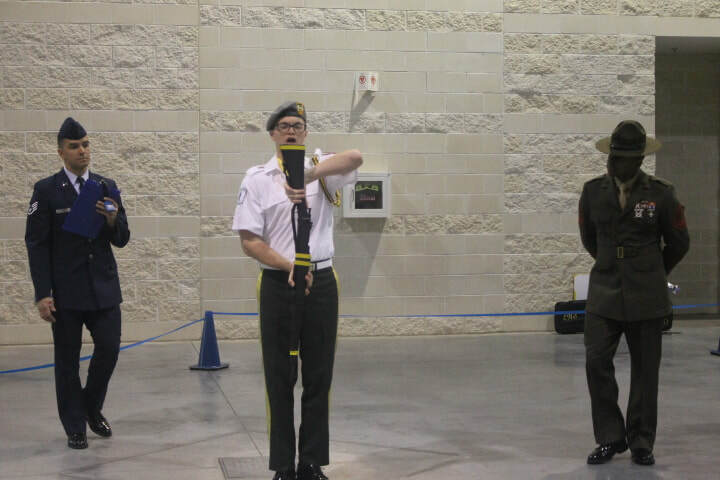 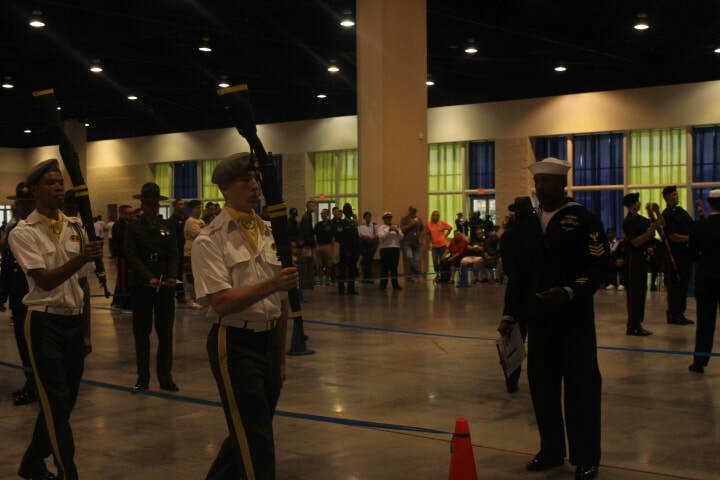 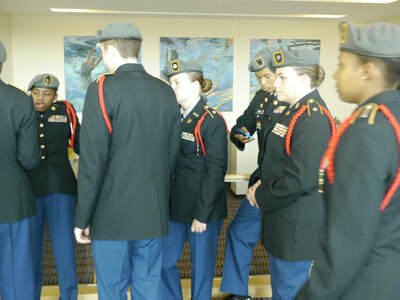 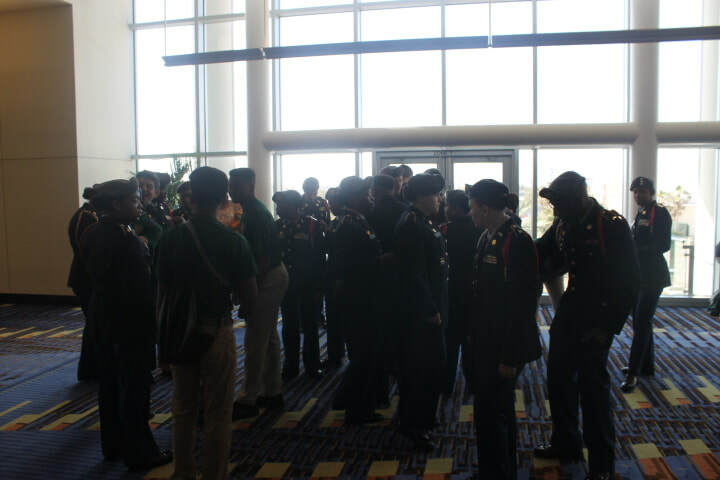 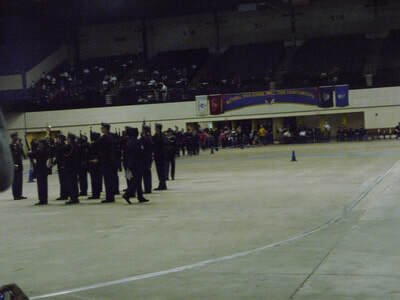 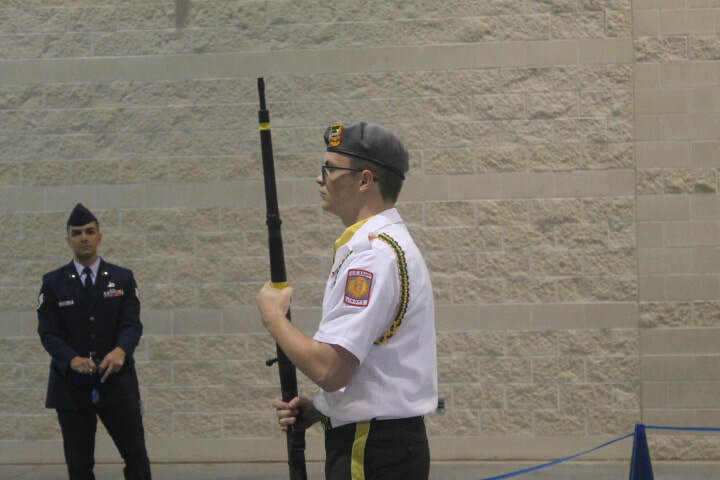 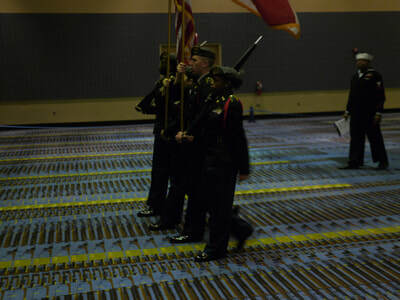 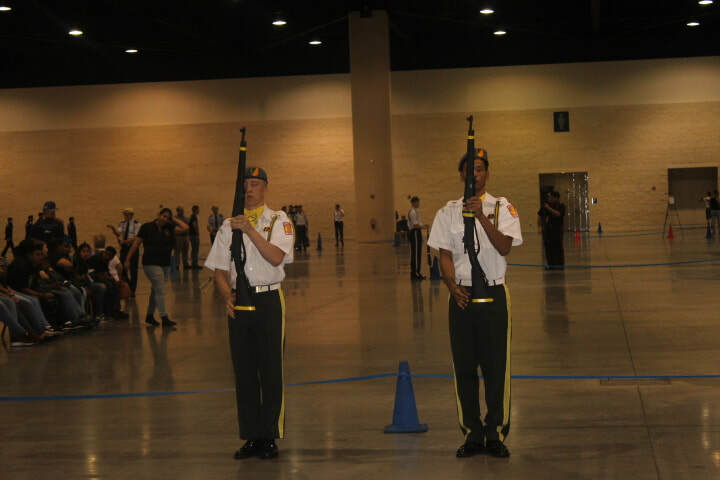 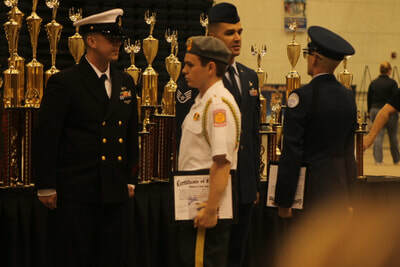 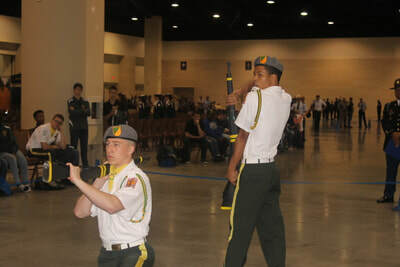 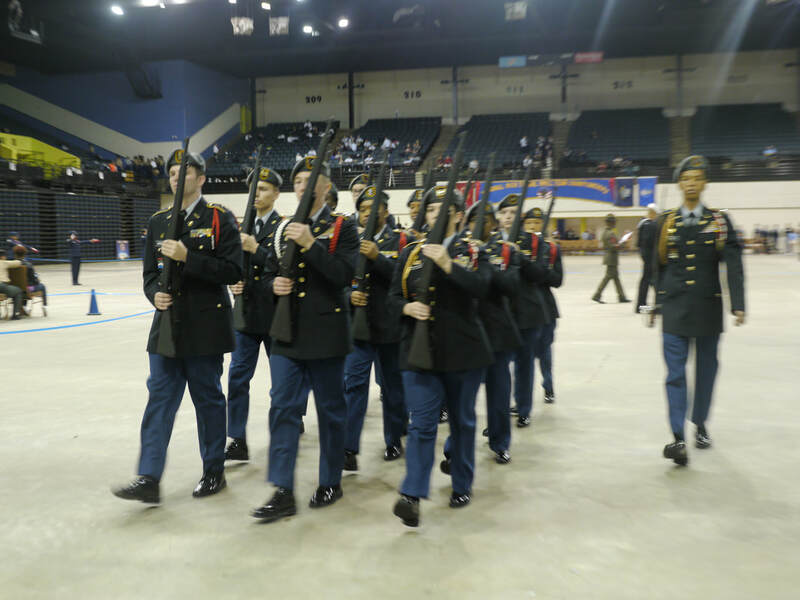 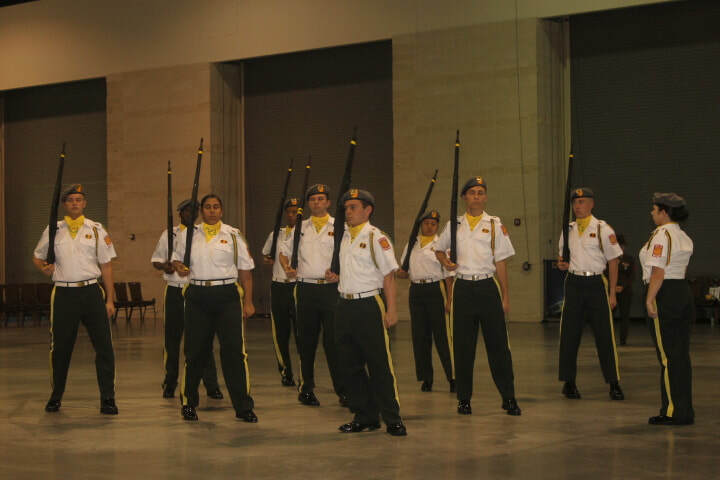 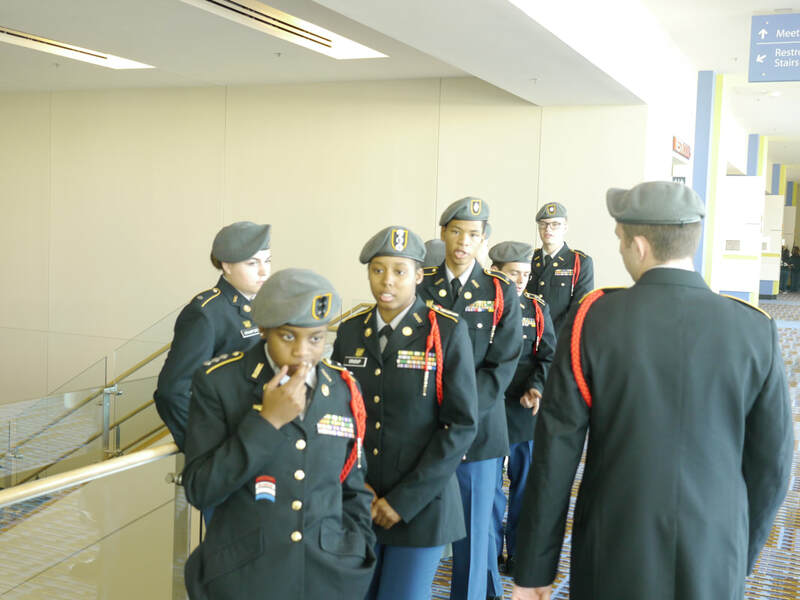 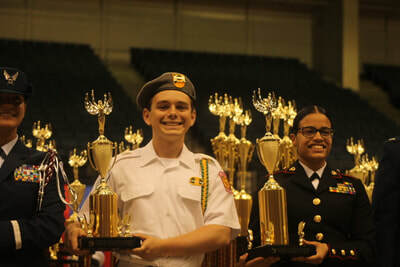 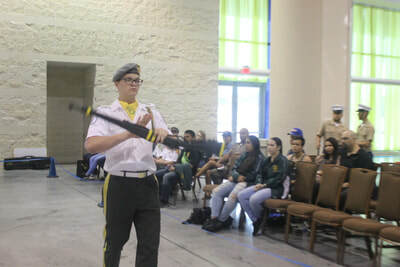 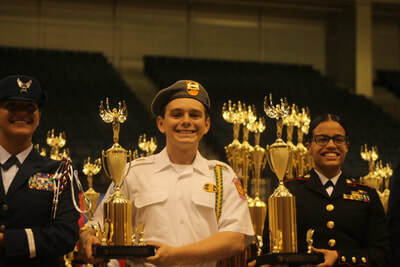 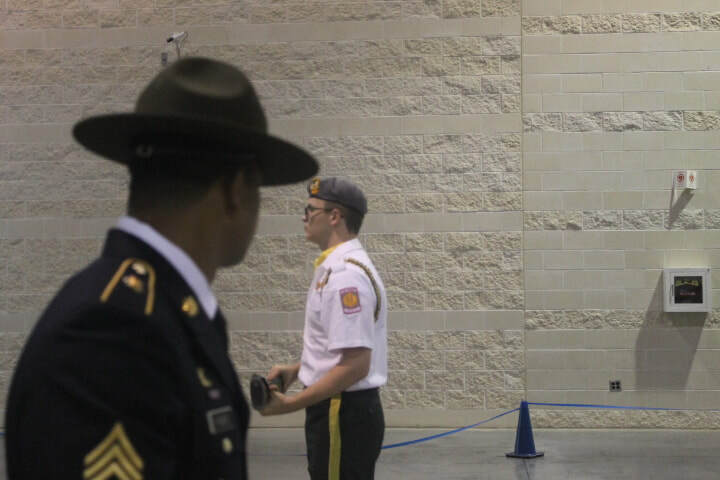 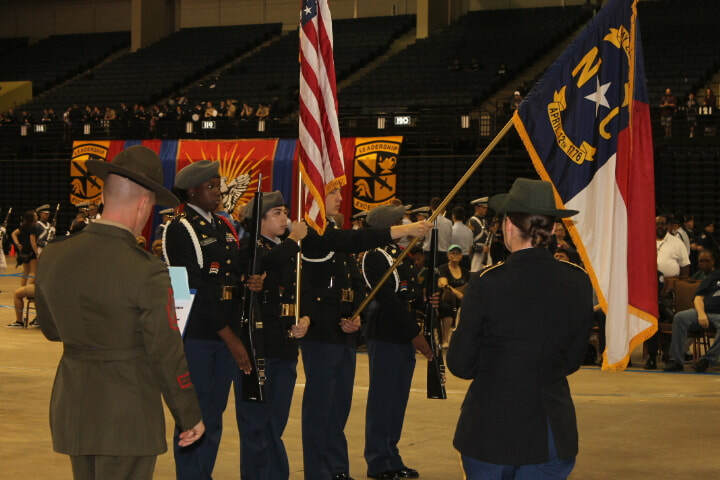 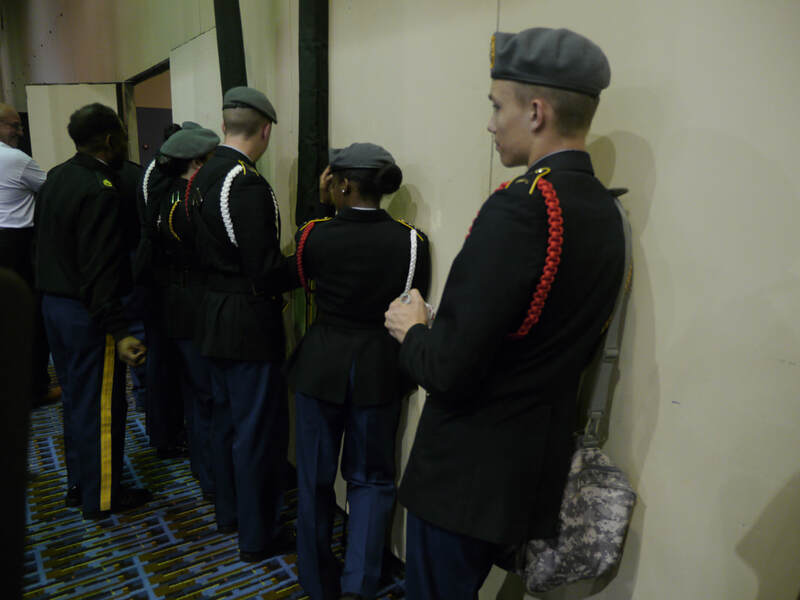 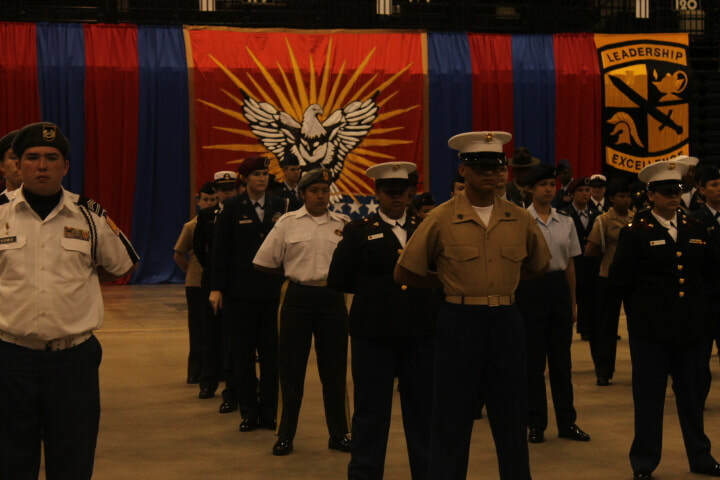 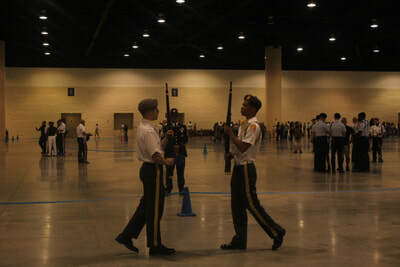 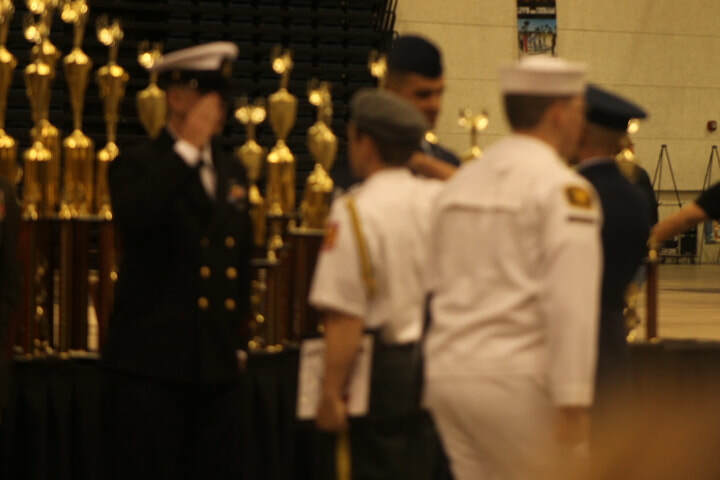 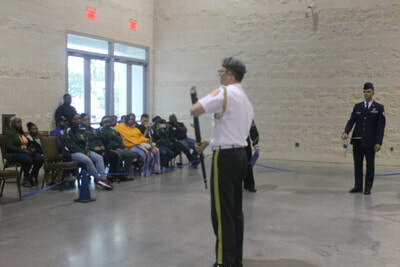 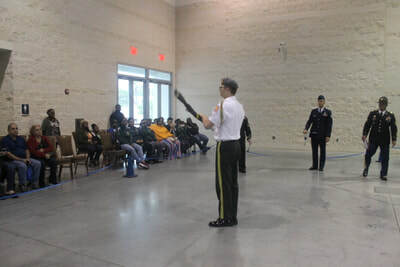 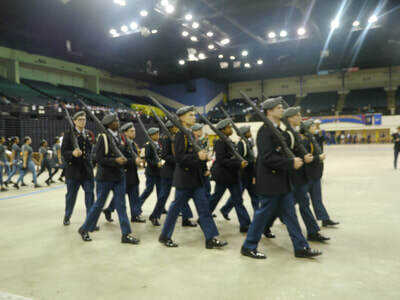 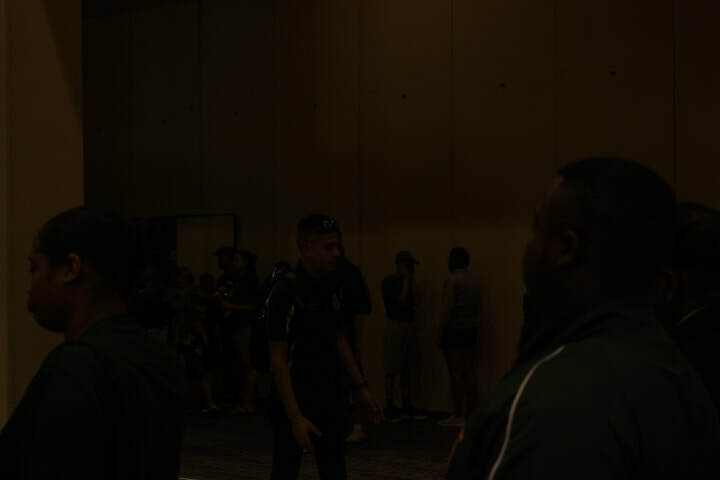 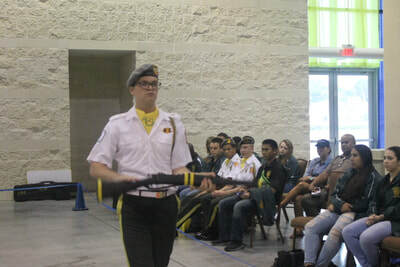 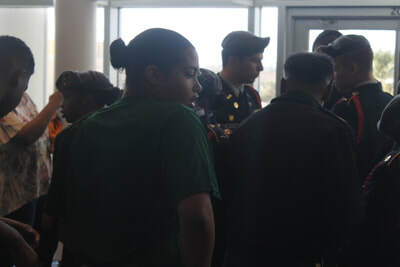 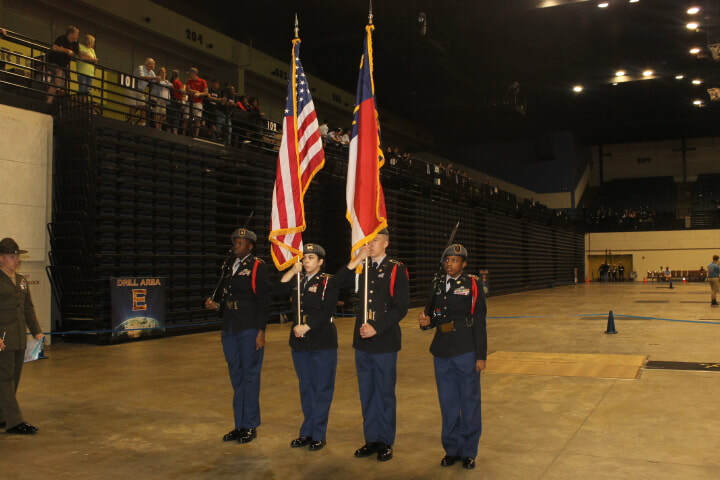 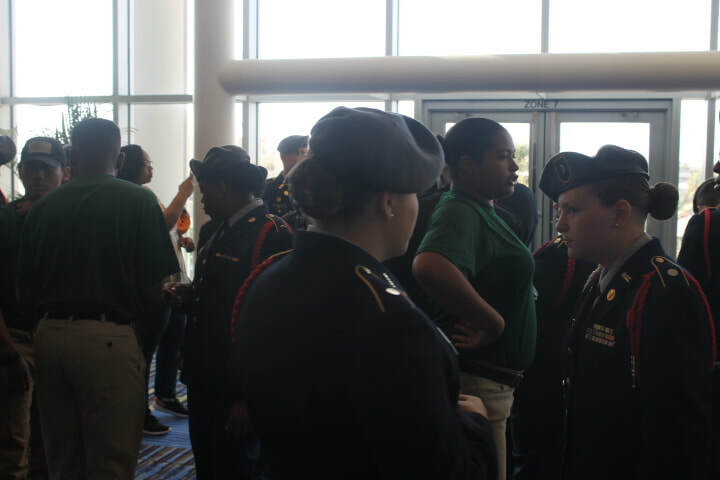 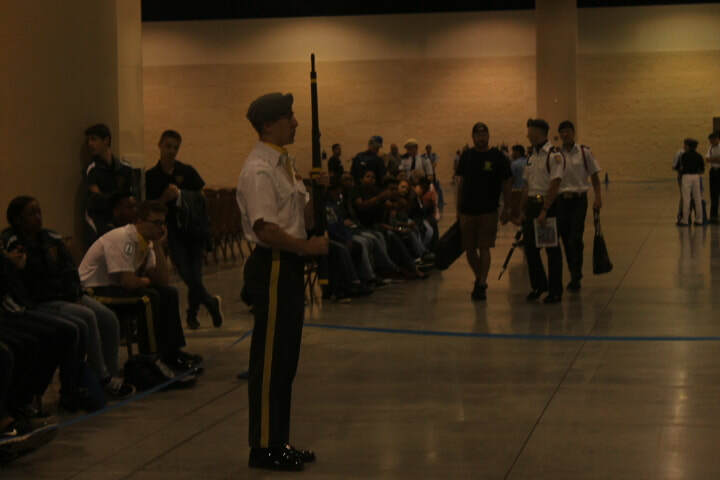 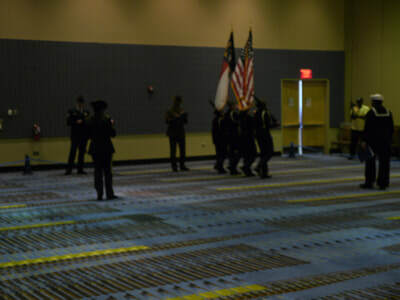 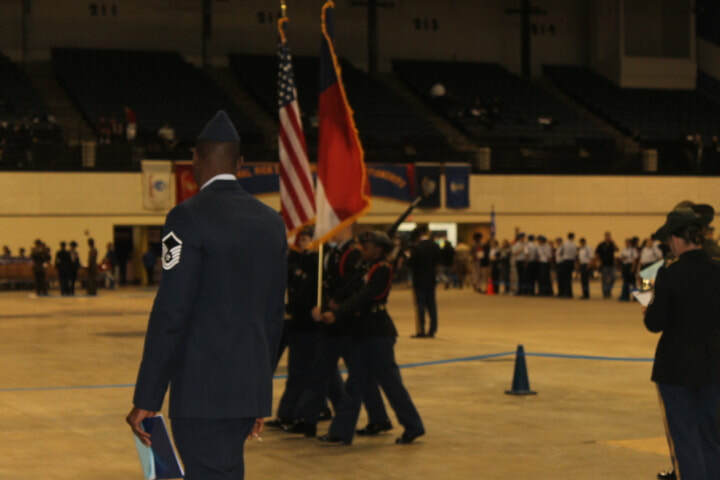 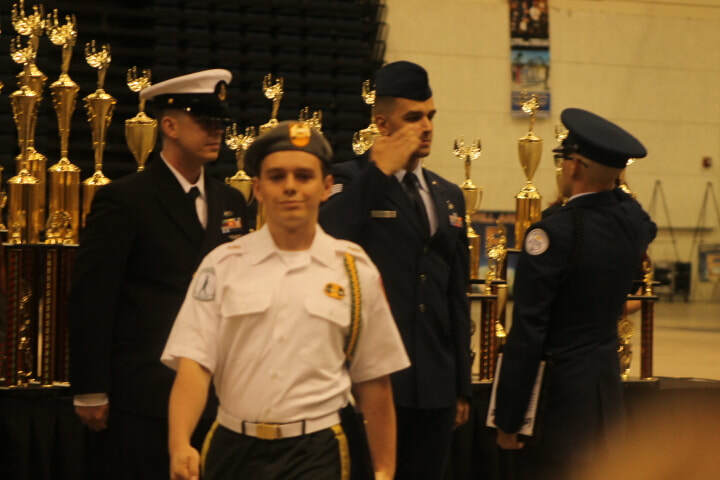 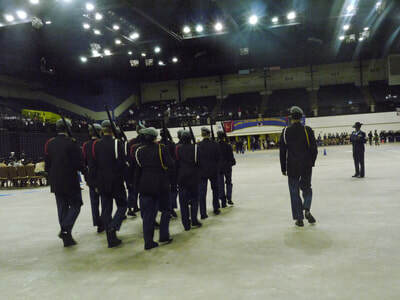 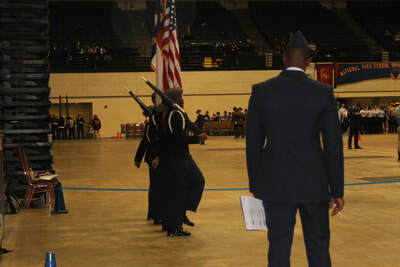 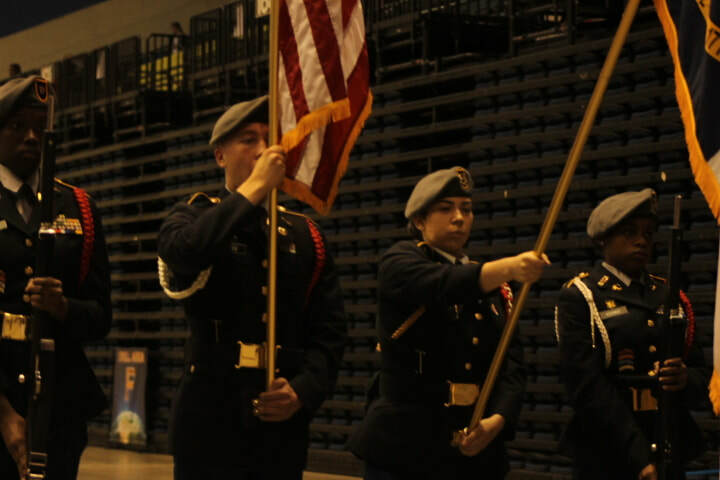 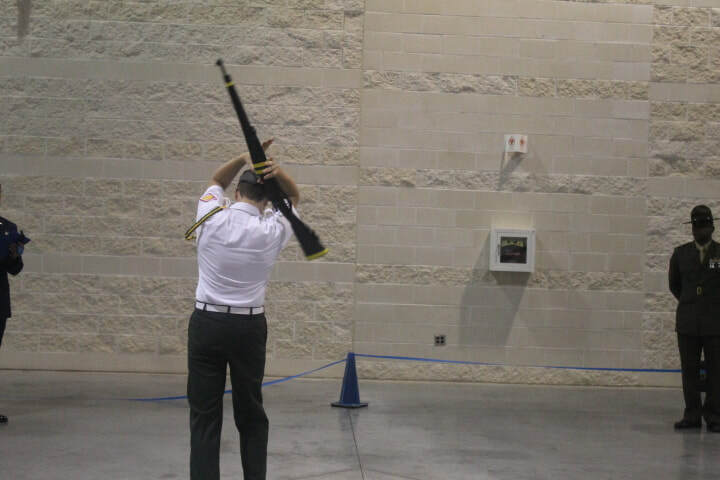 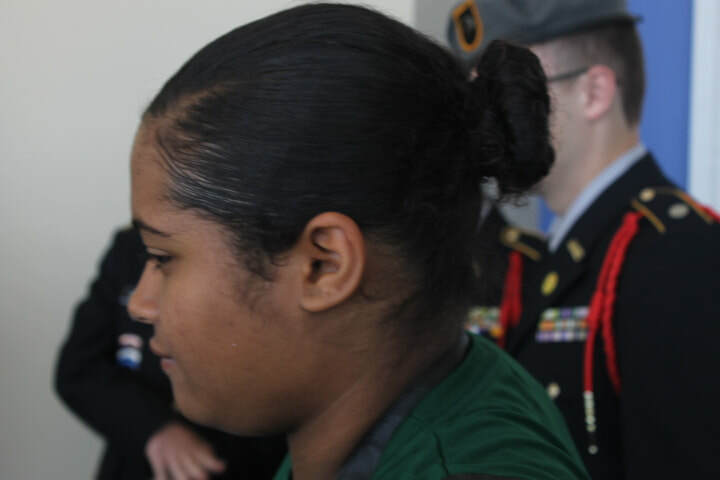 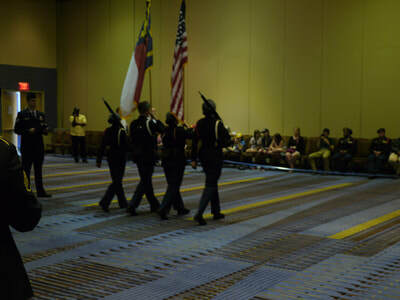 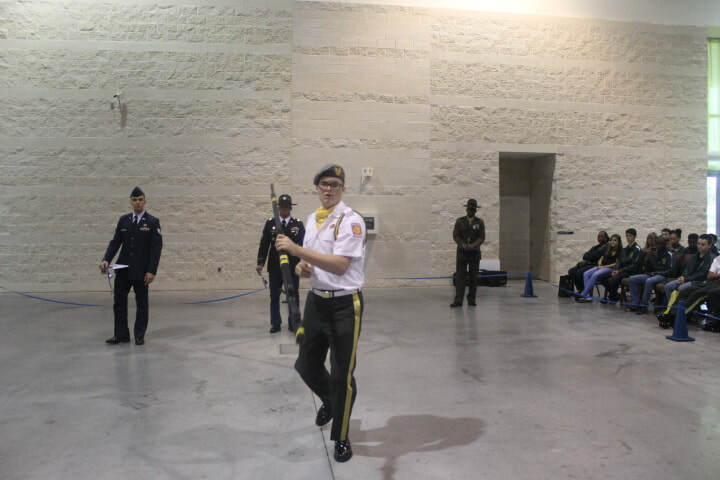 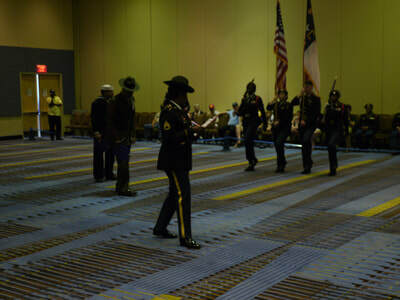 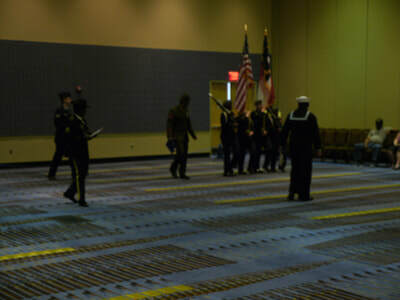 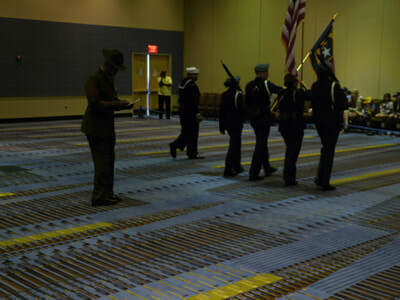 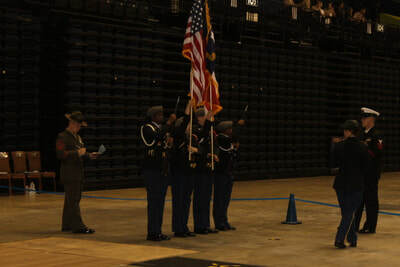 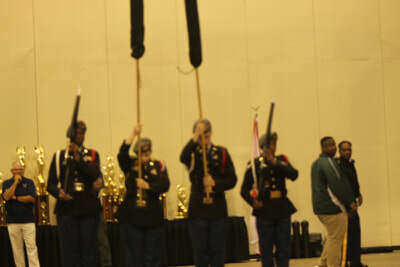 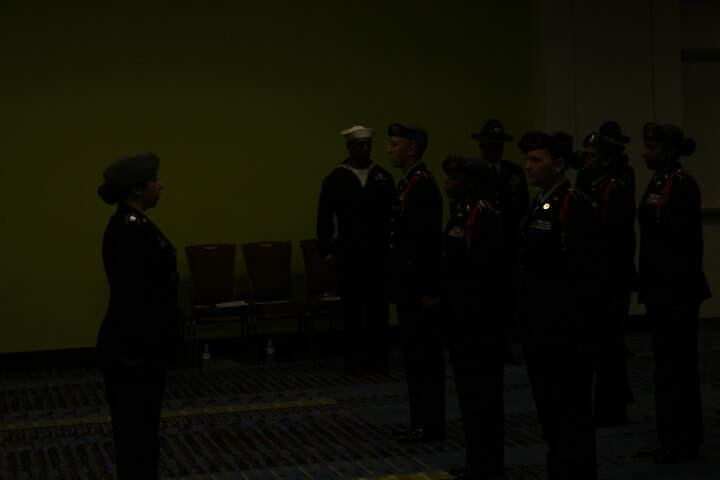 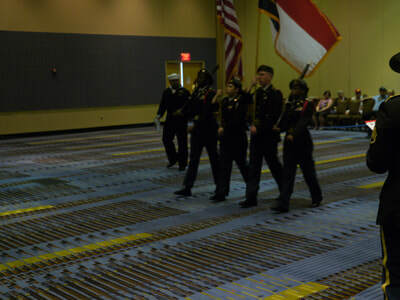 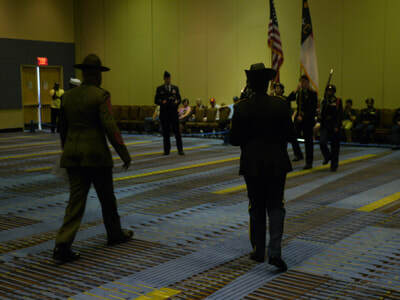 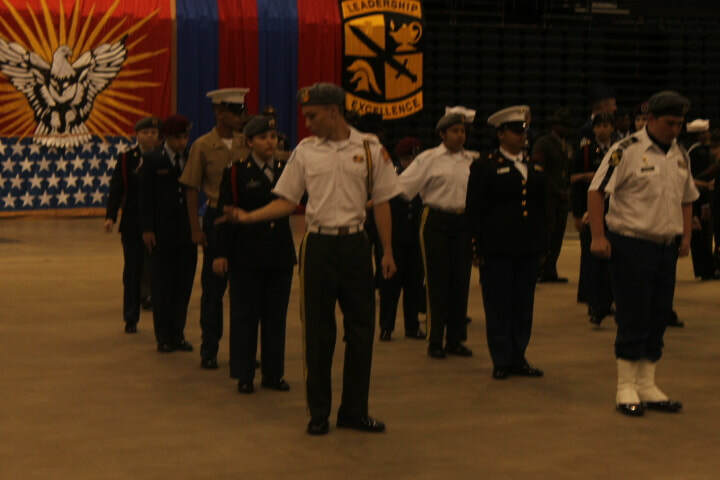 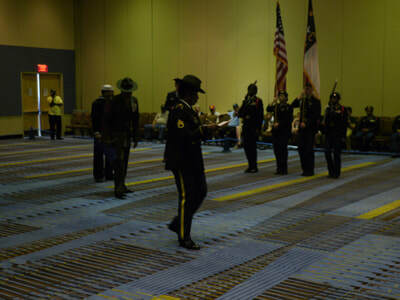 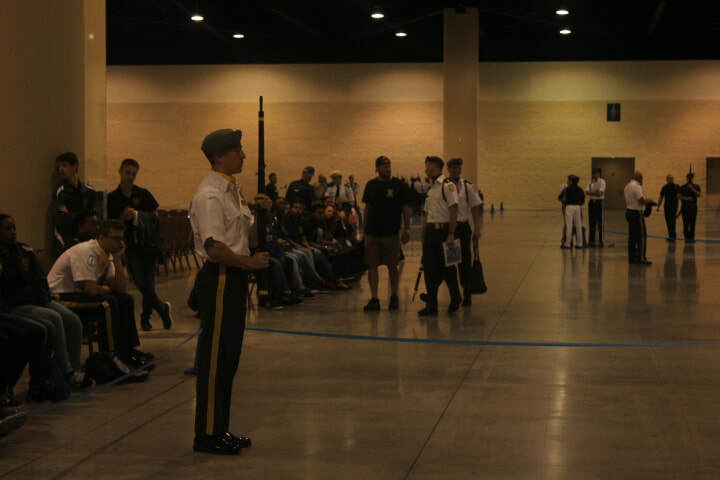 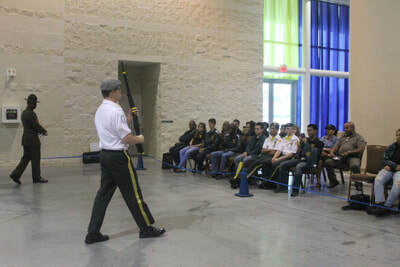 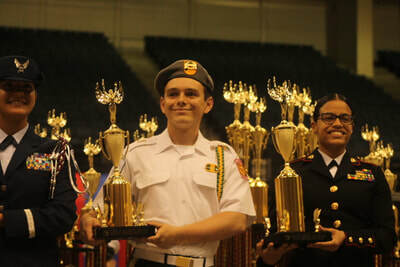 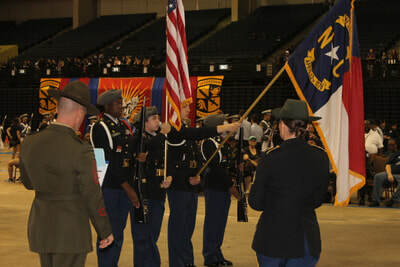 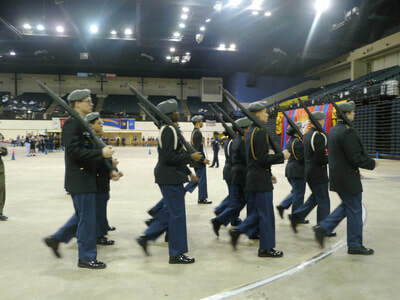 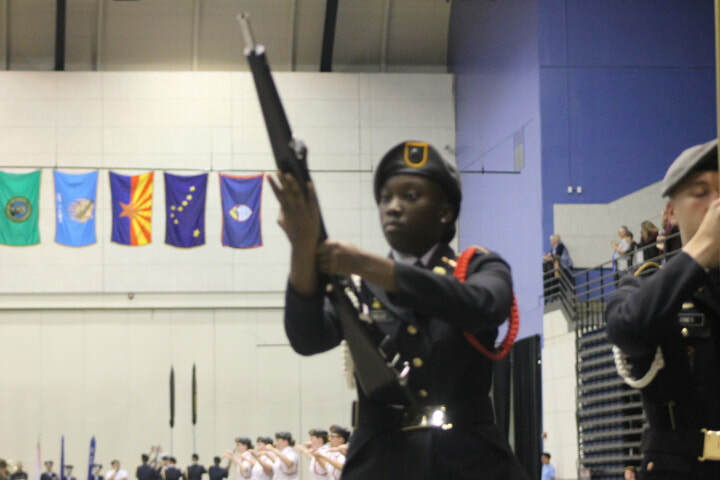 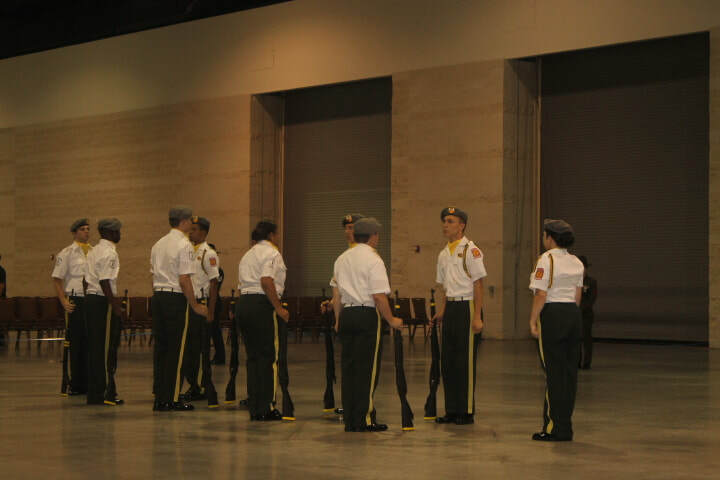 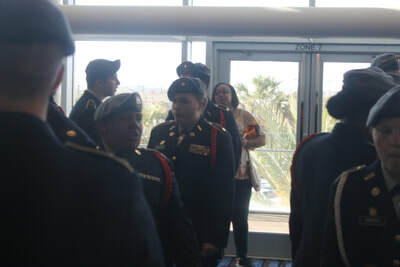 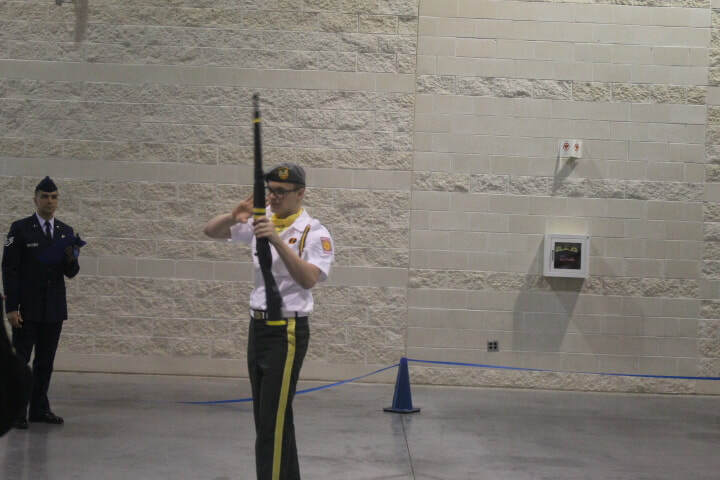 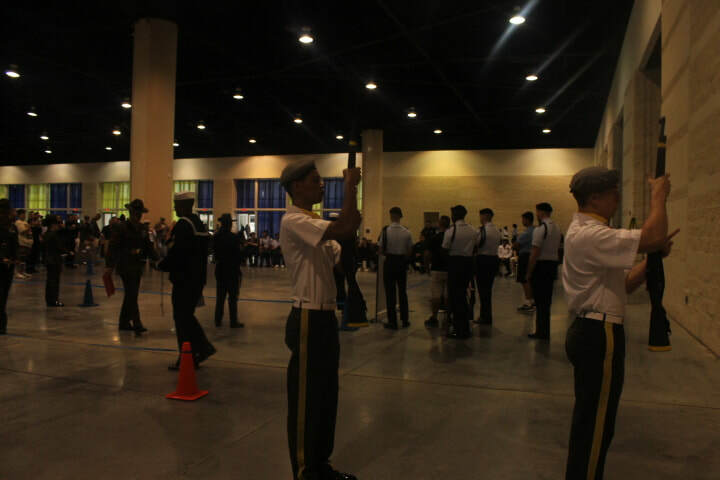 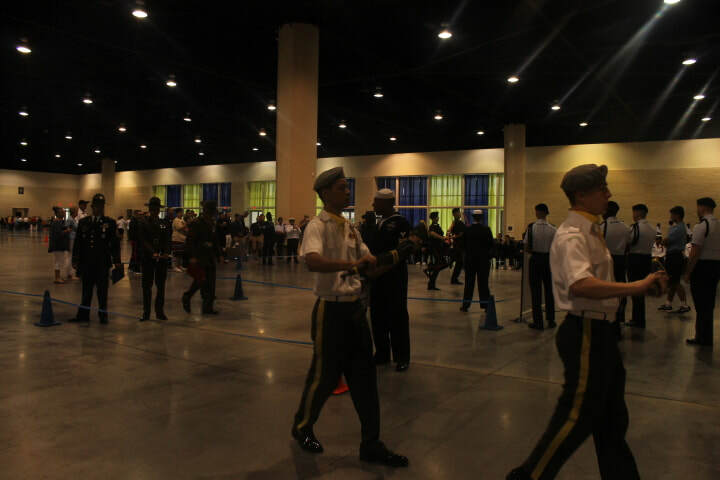 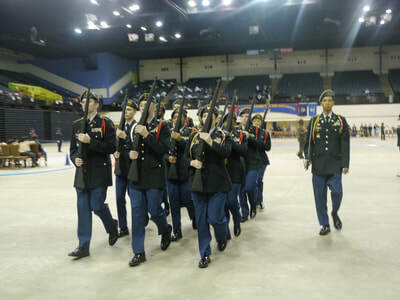 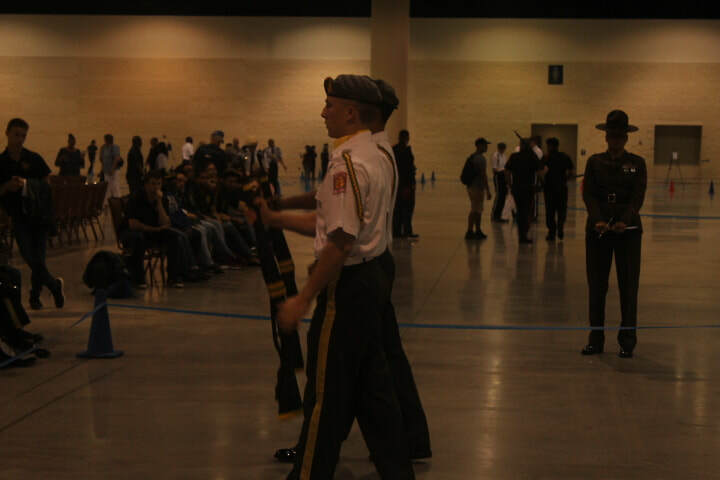 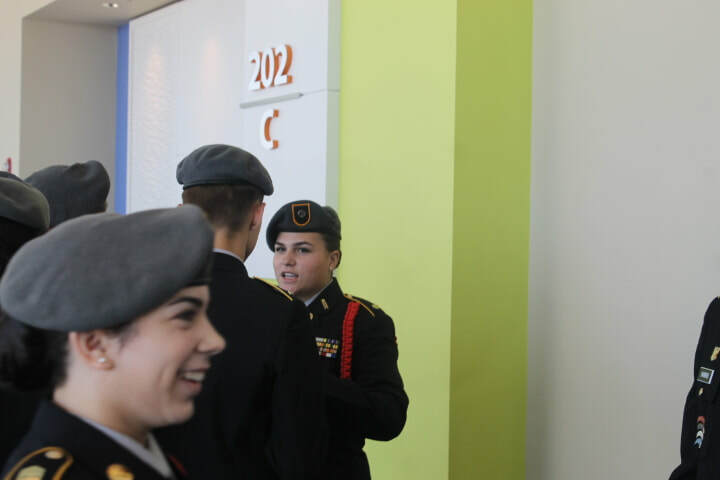 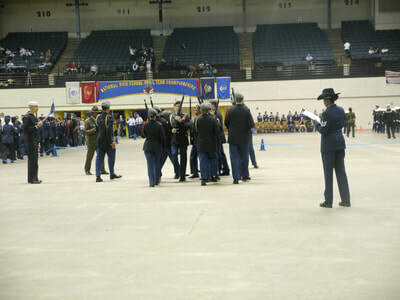 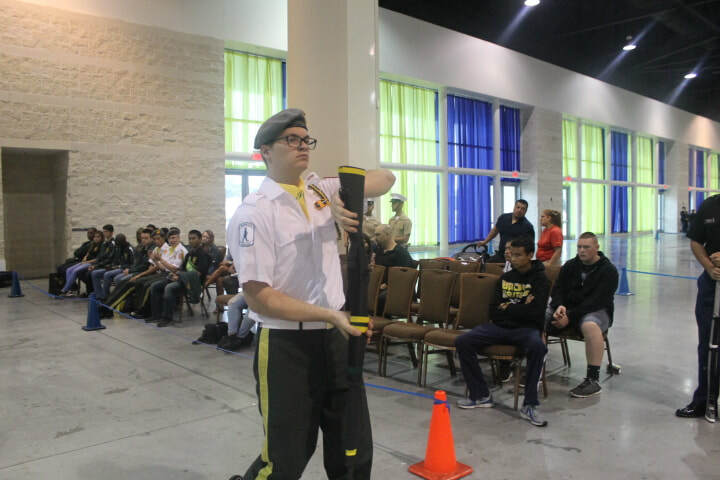 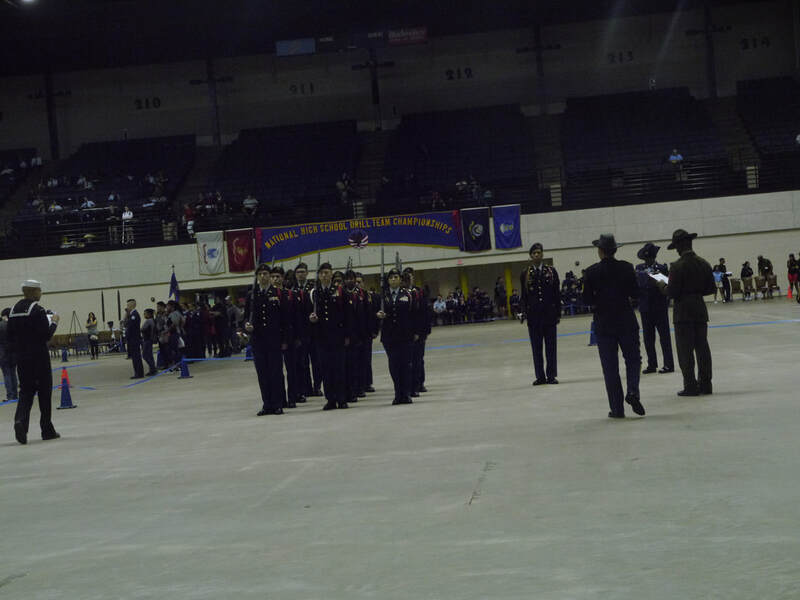 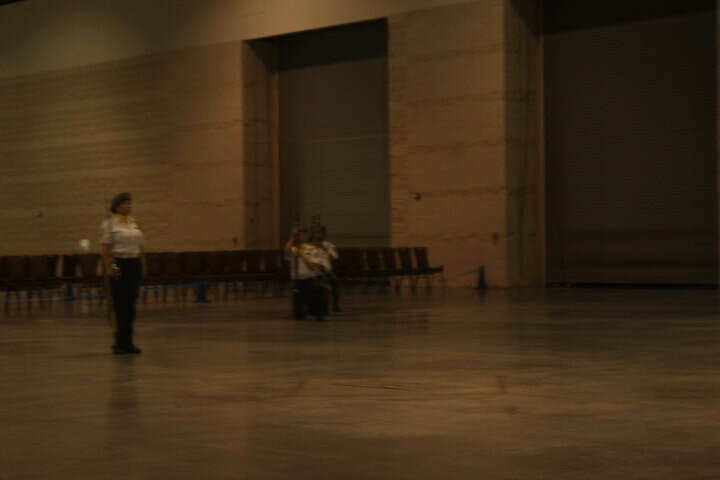 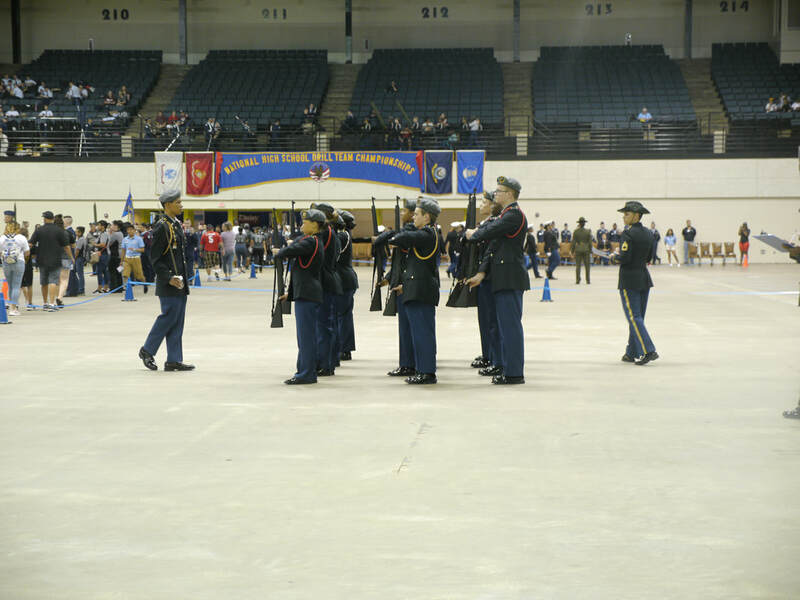 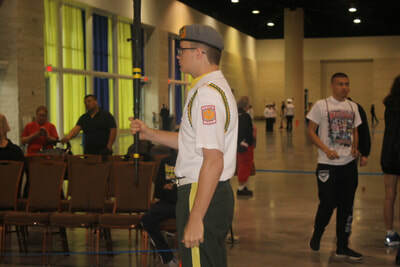 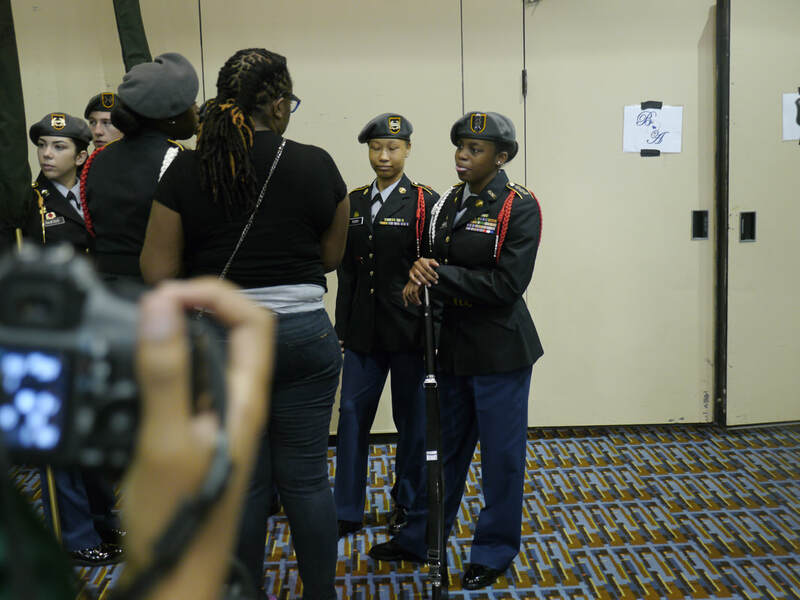 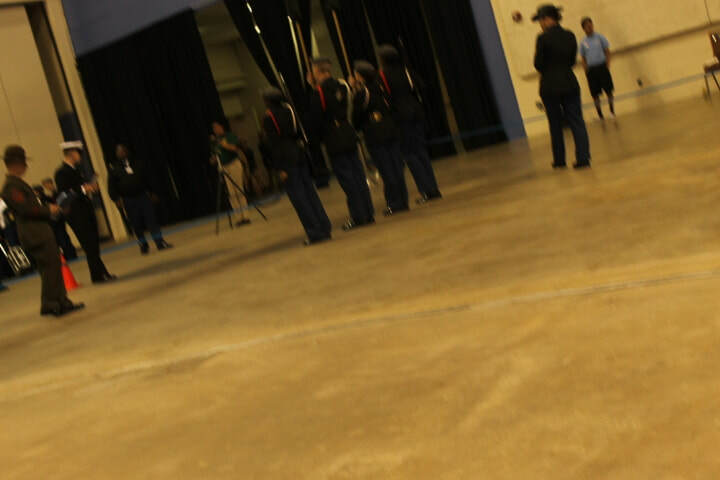 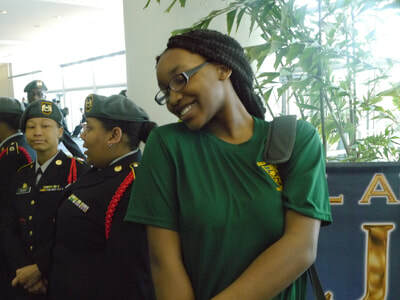 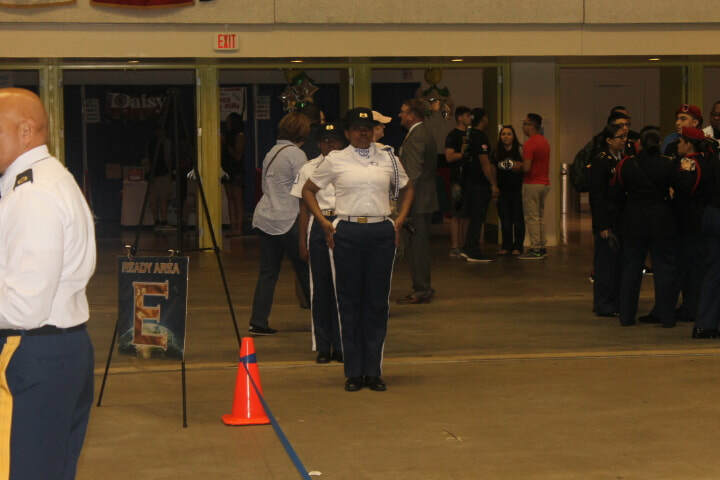 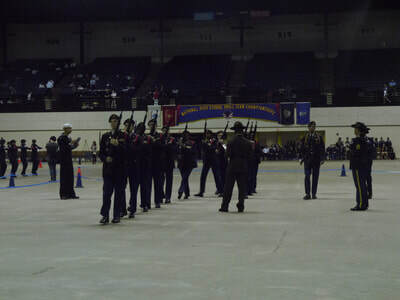 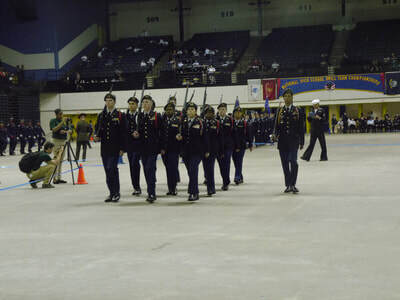 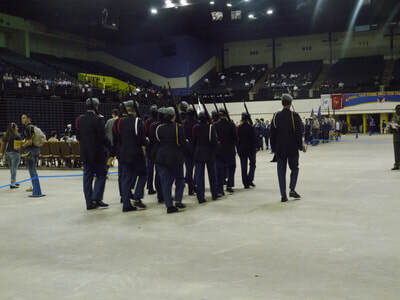 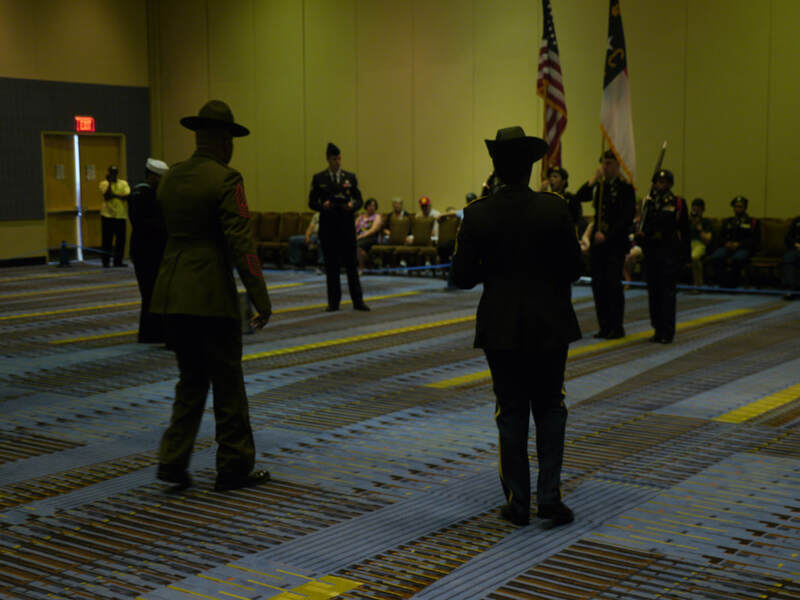 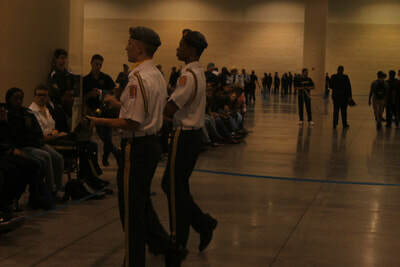 The Eagle Battalion went to the All-Services National Drill Competition and returned with several awards: 5th place Unarmed Regulation Platoon (Charles Johnson, above), 2nd Place Best Commander for the Unarmed Division (Charles Johnson) and a $1000 Jean Weil Memorial Scholarship (Olivia DeJesus). 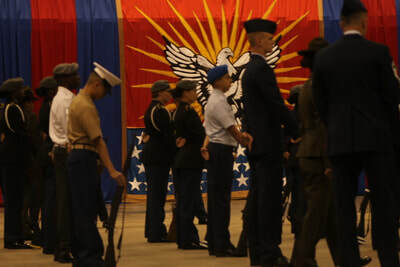 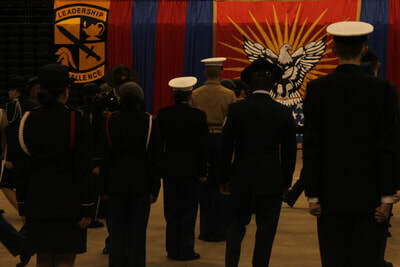 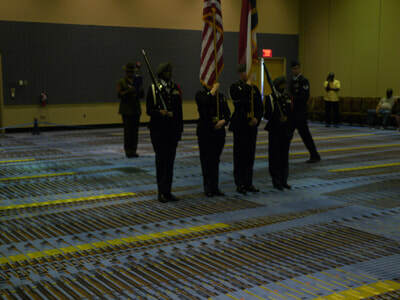 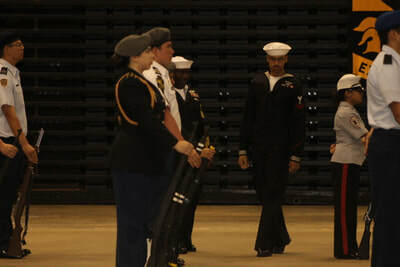 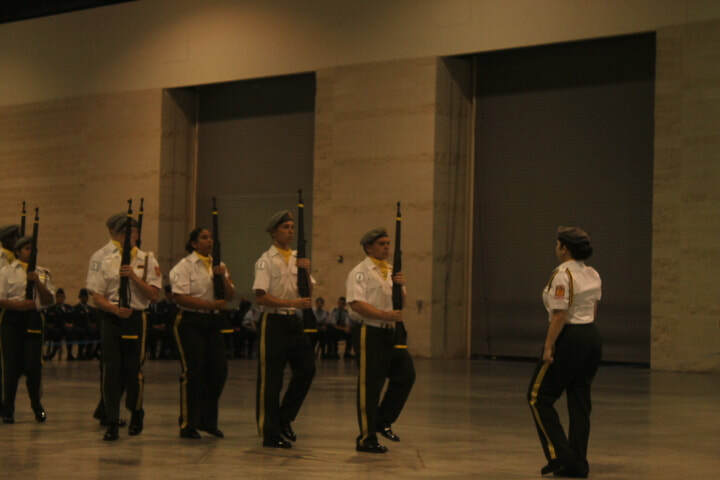 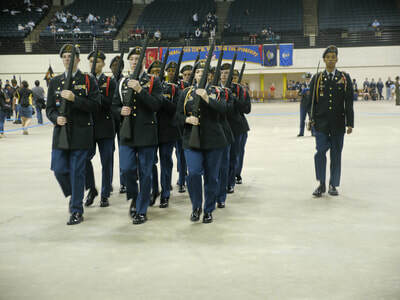 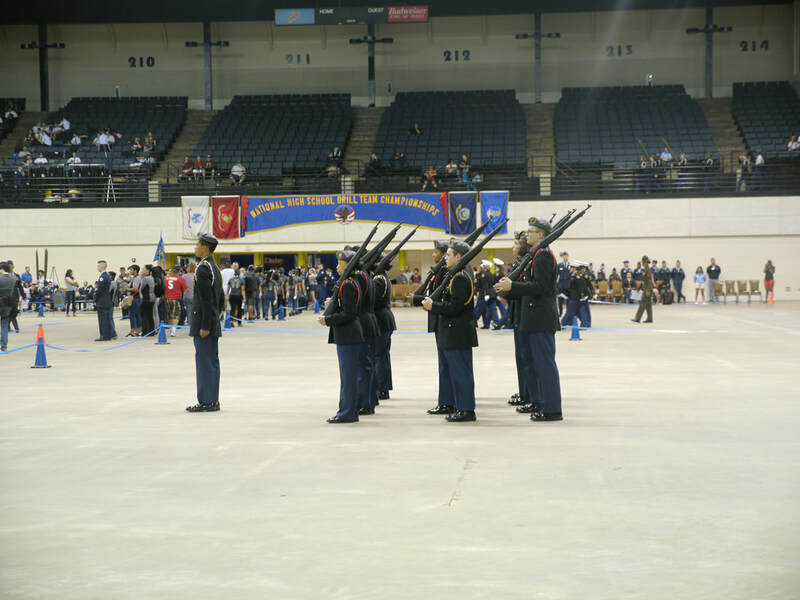 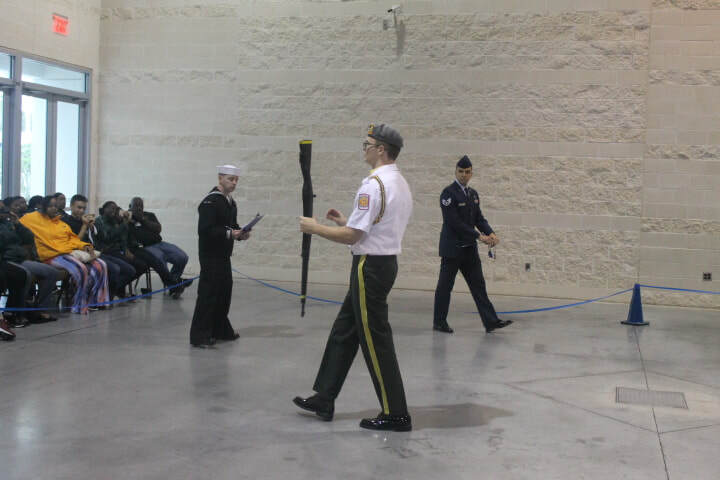 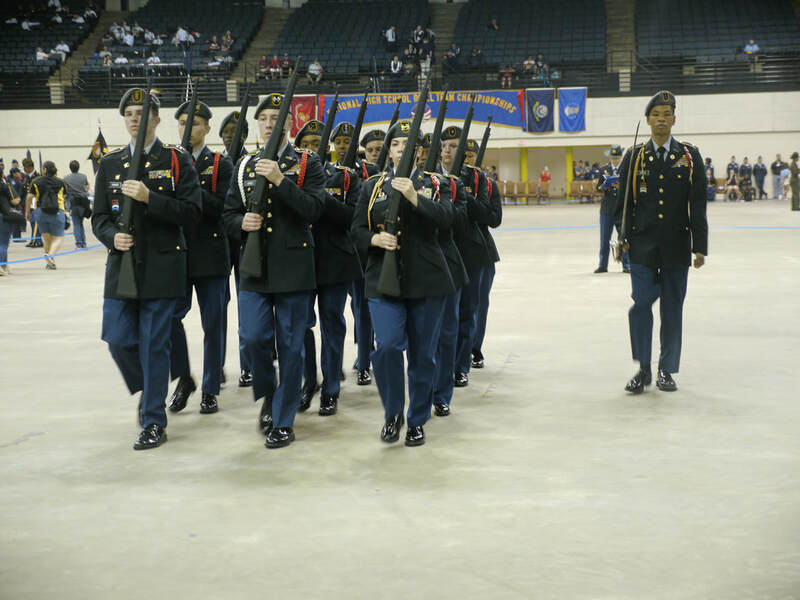 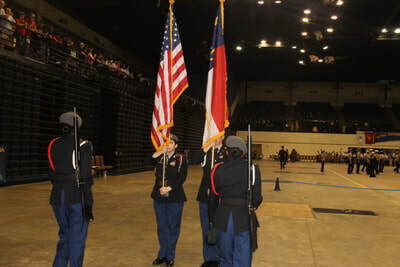 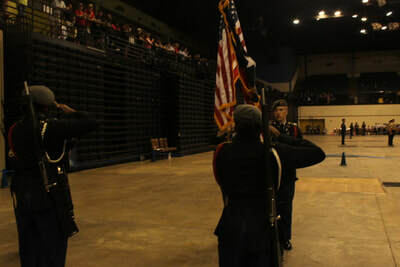 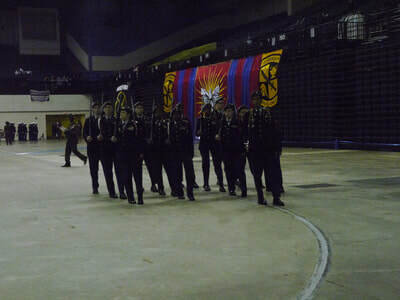 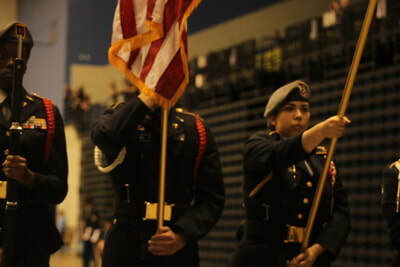 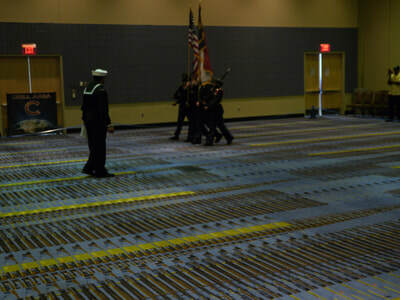 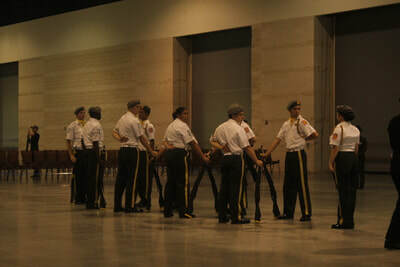 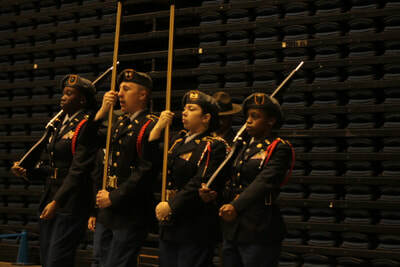 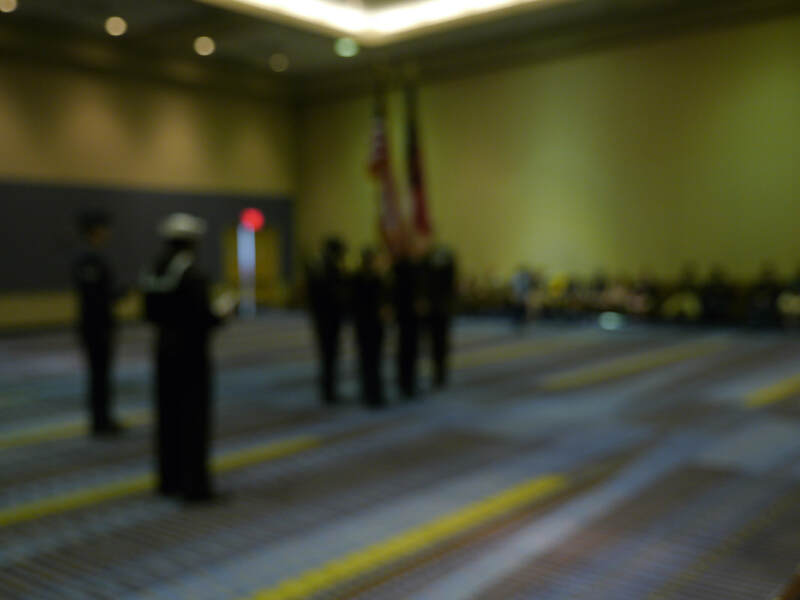 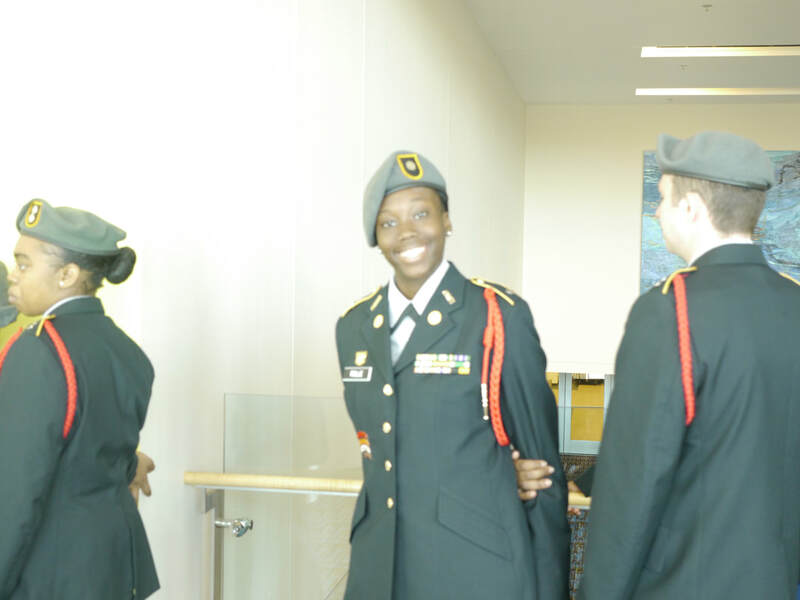 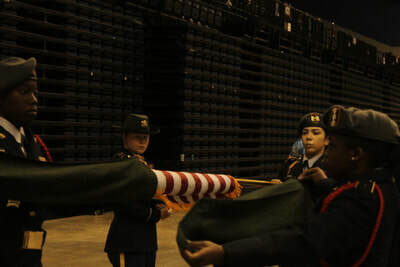 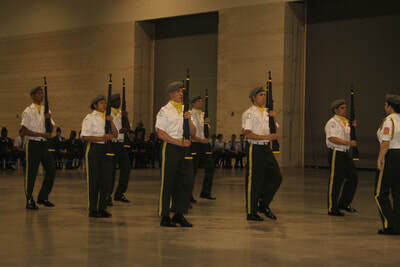 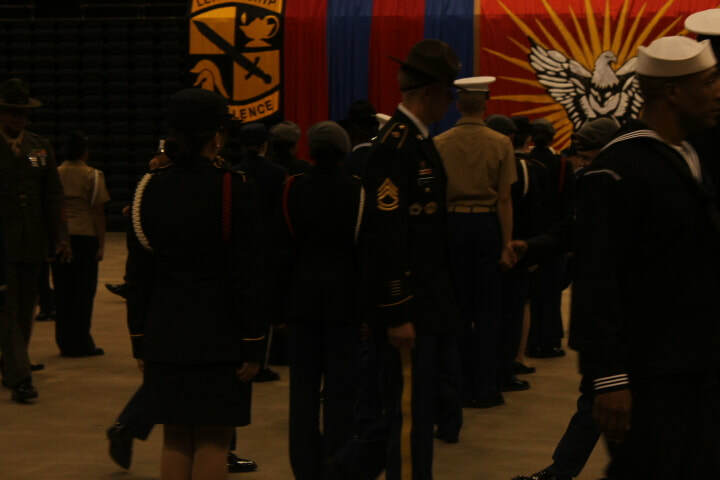 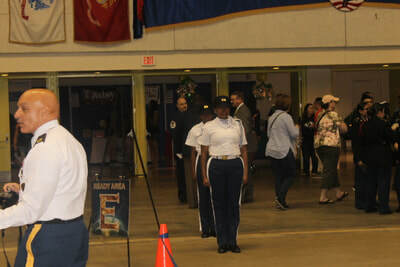 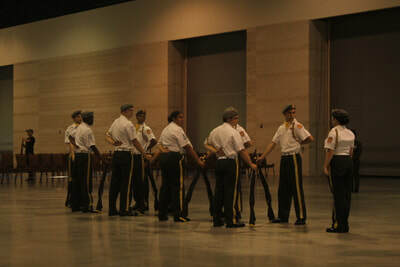 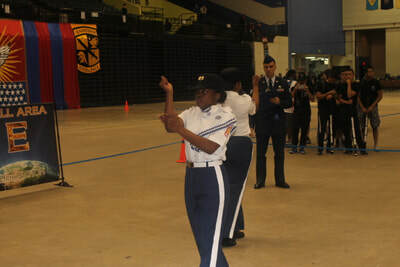 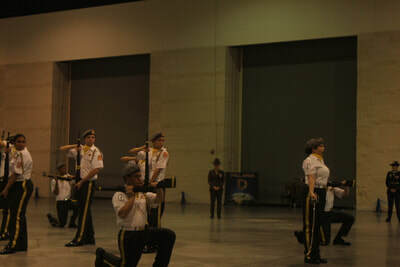 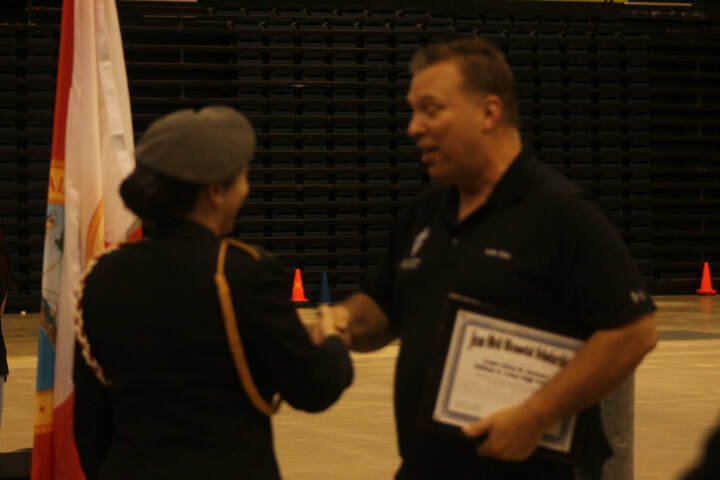 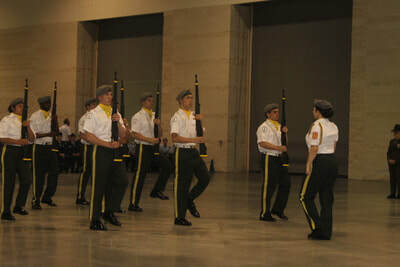 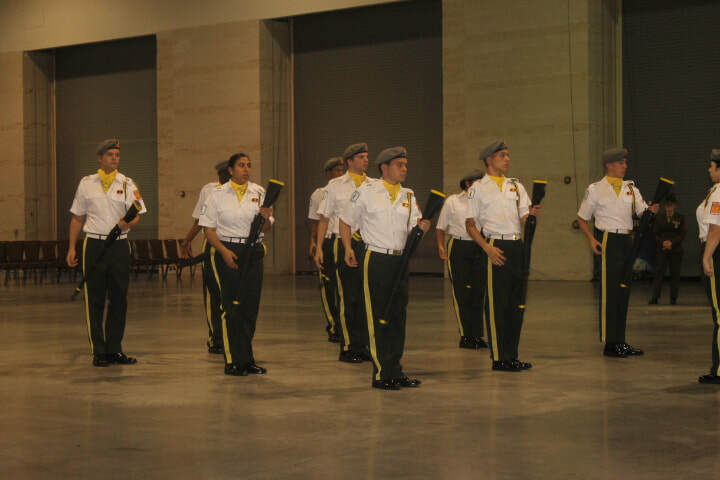 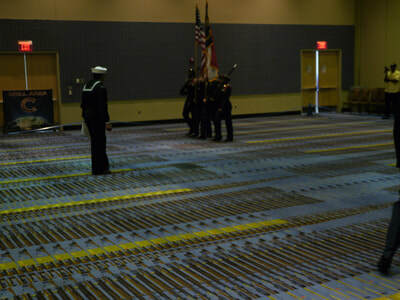 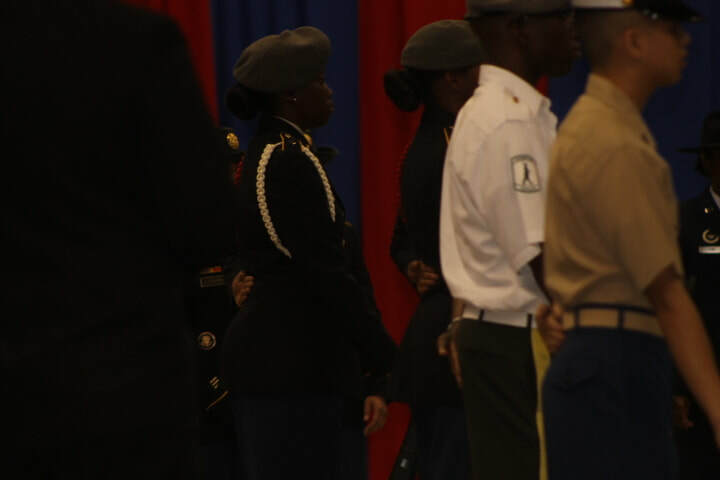 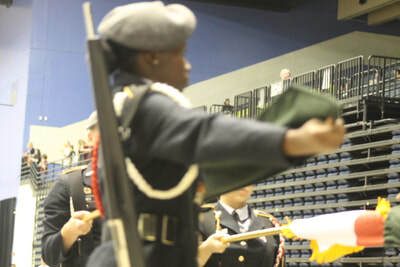 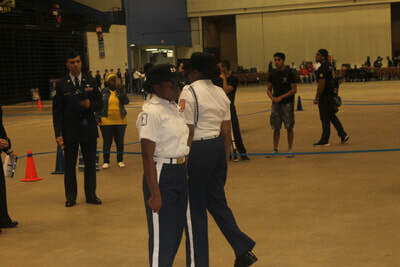 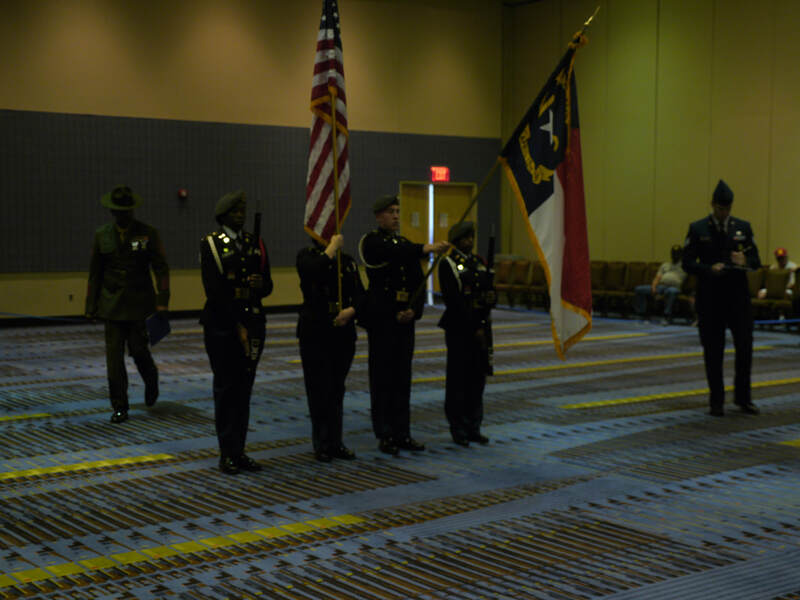 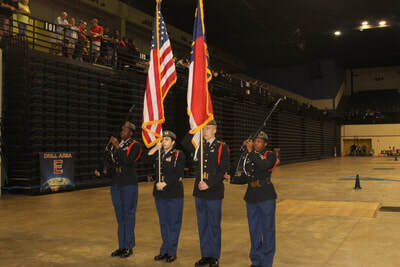 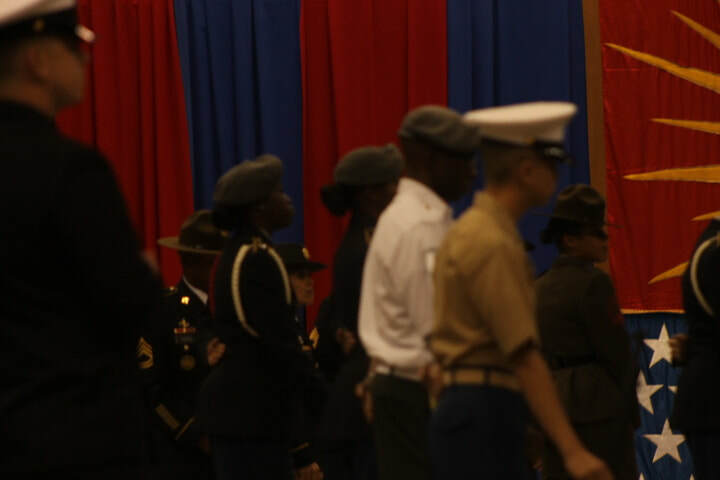 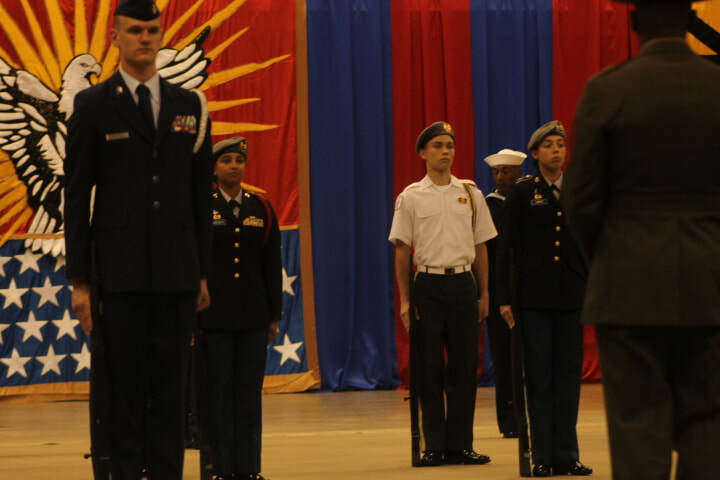 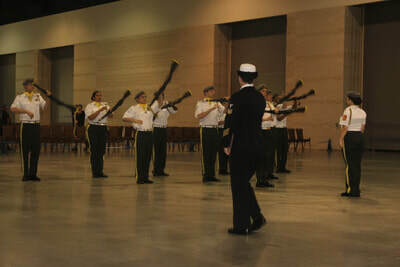 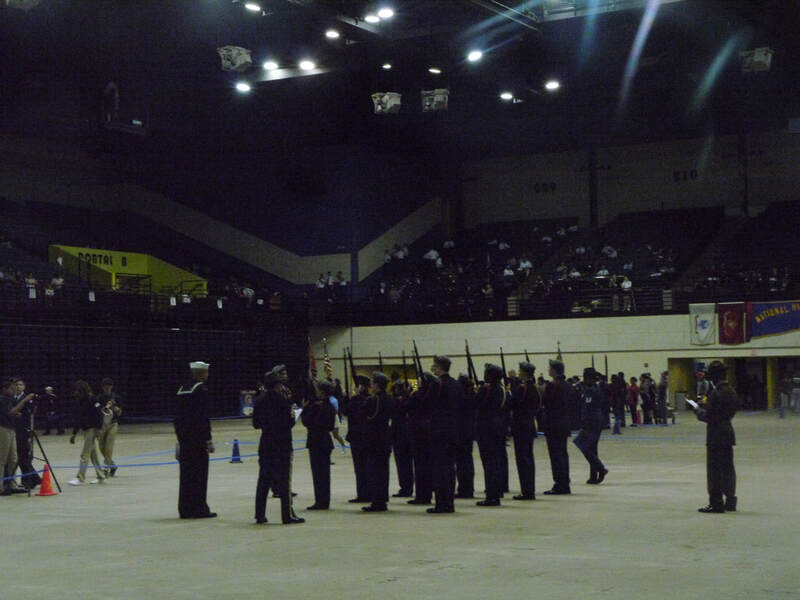 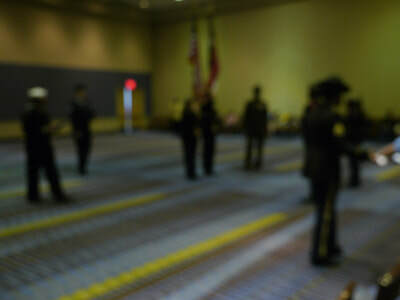 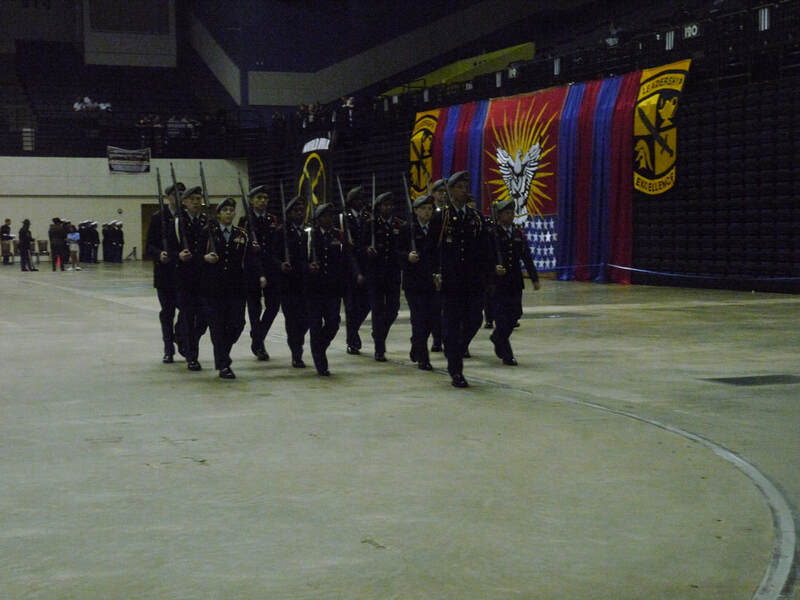 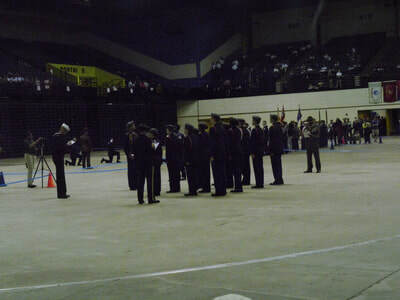 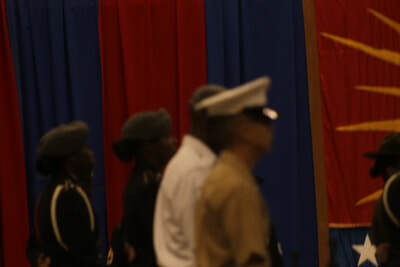 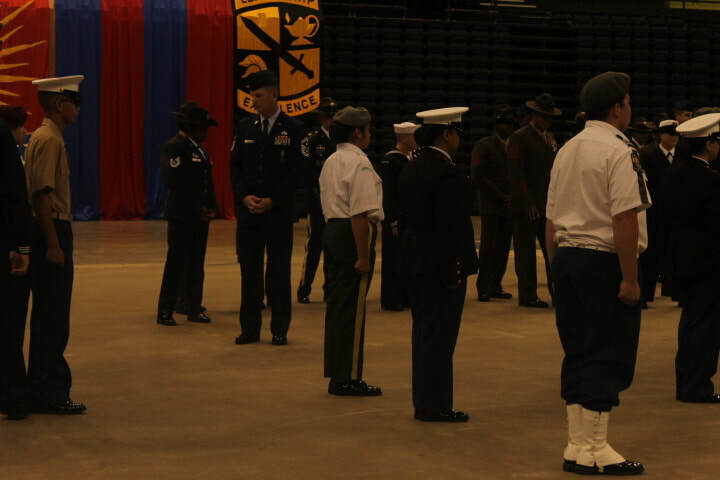 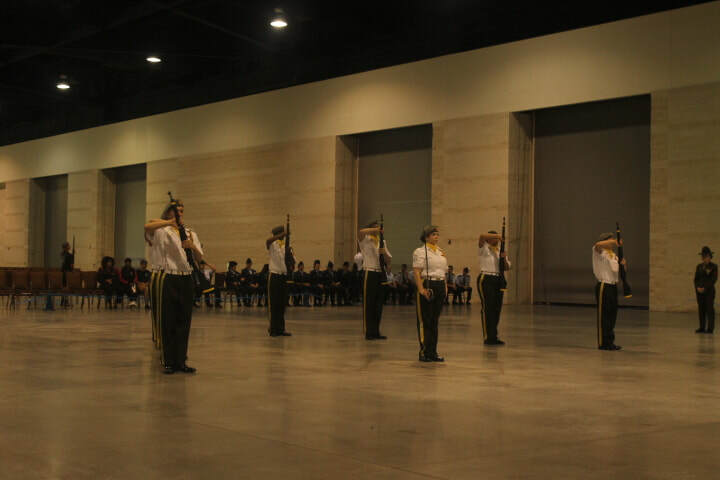 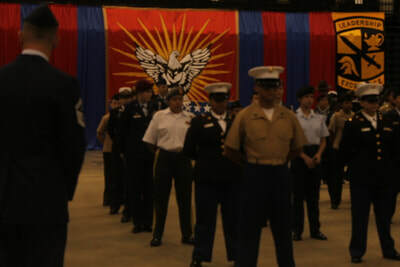 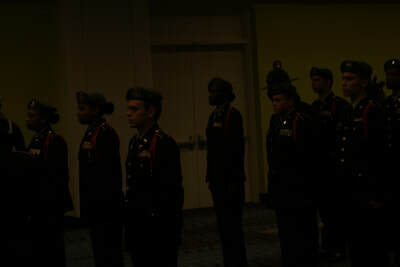 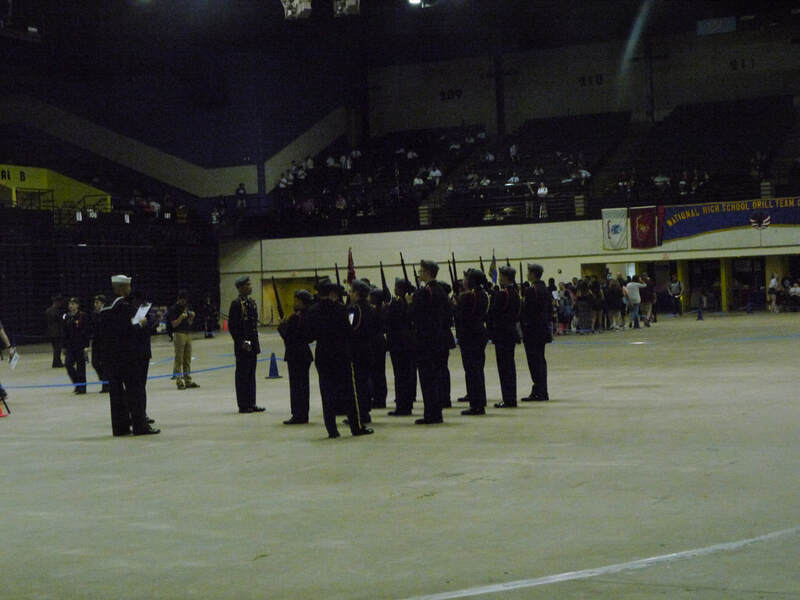 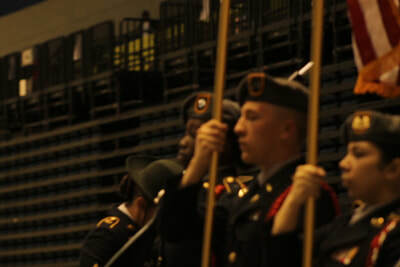 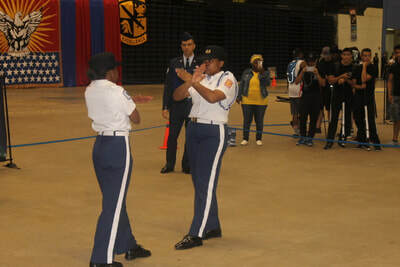 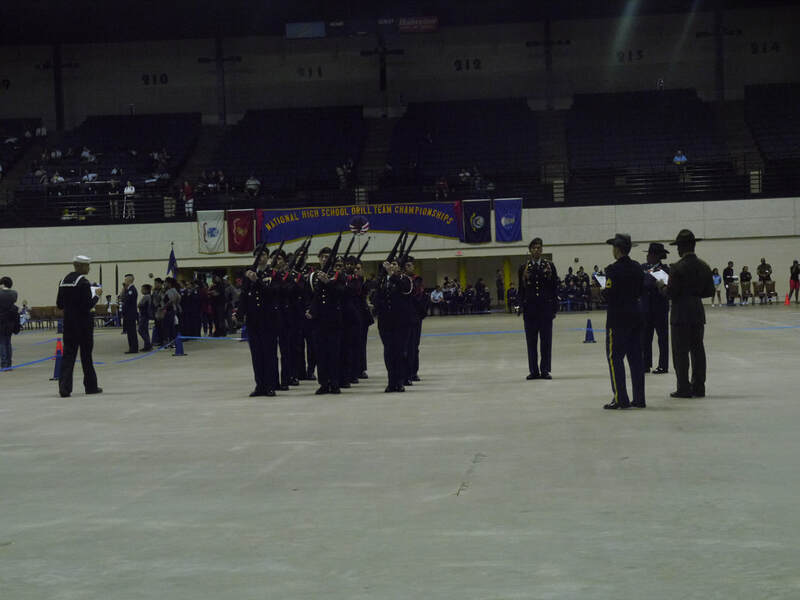 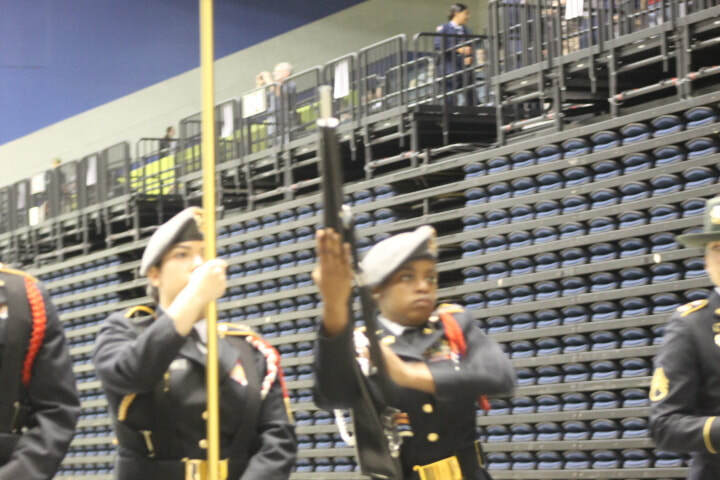 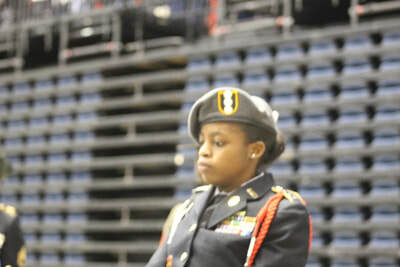 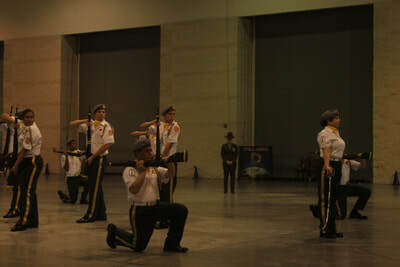 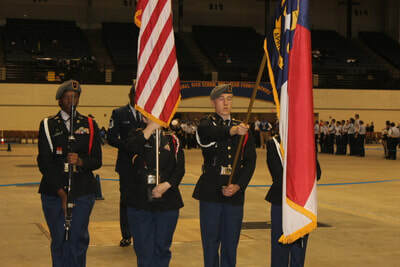 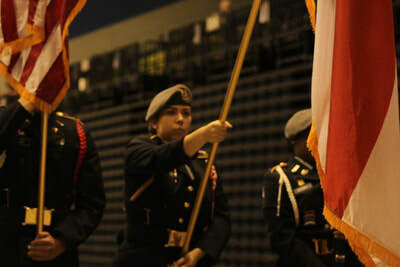 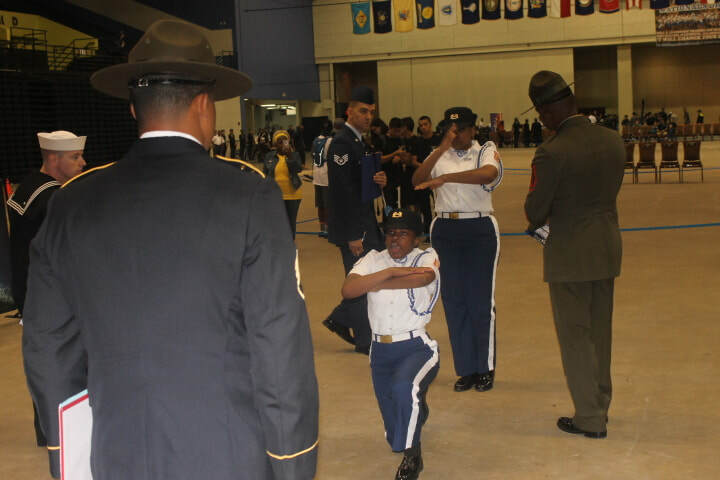 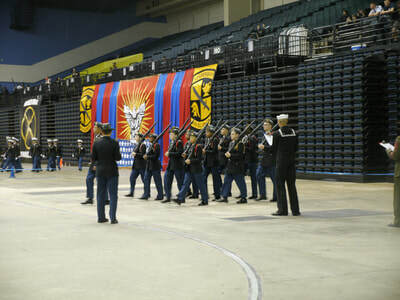 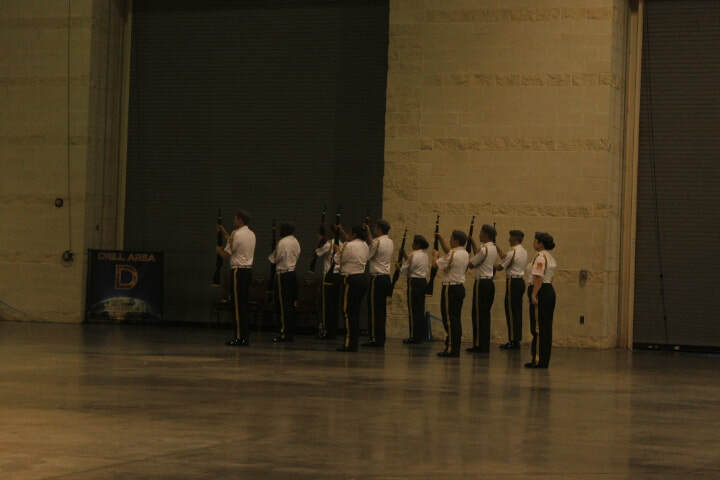 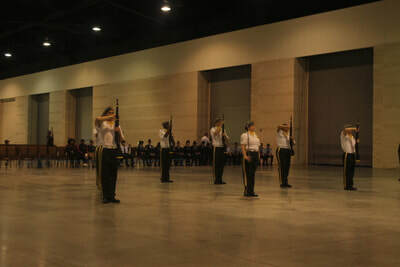 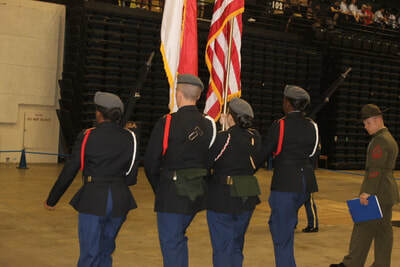 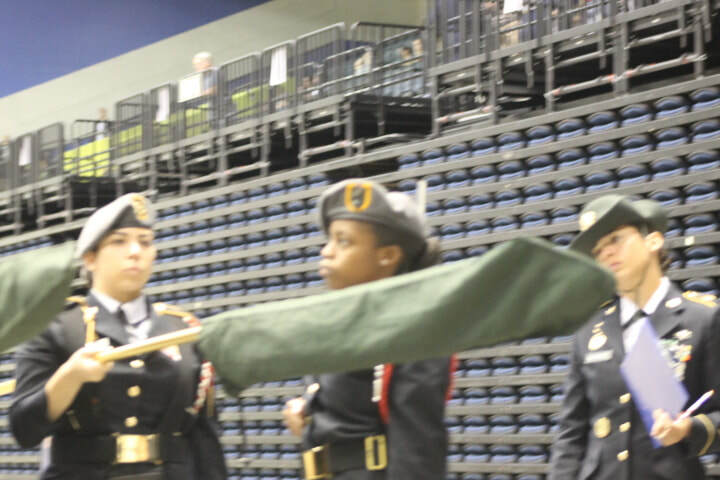 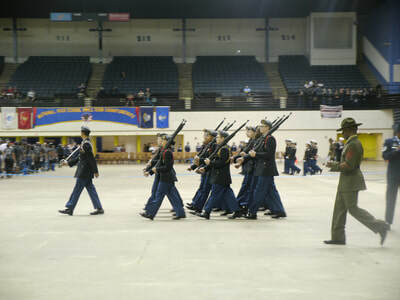 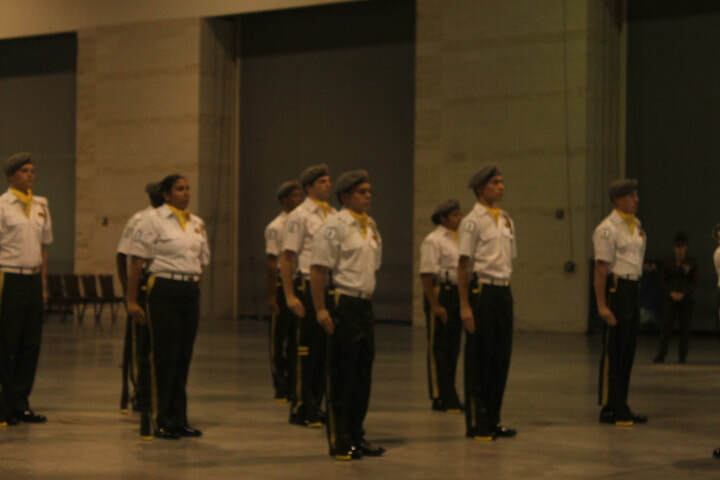 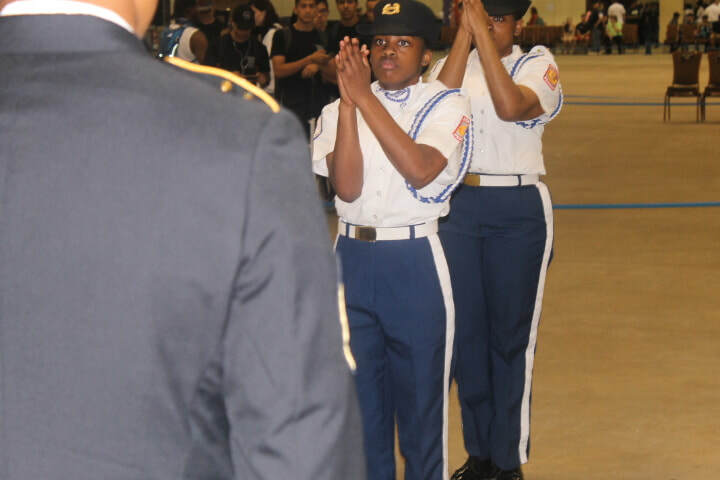 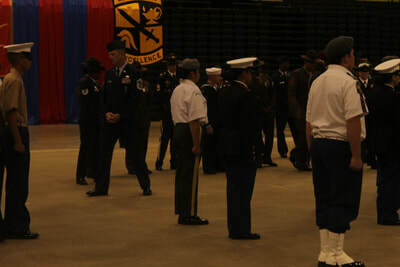 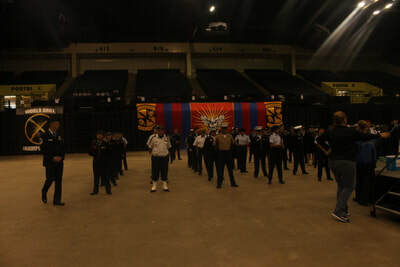 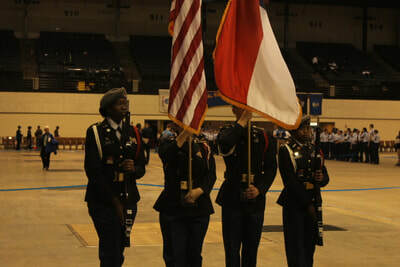 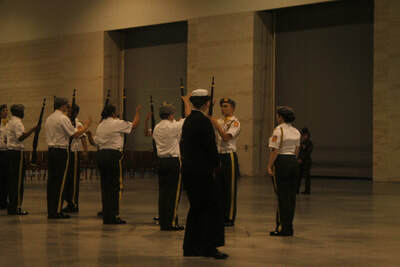 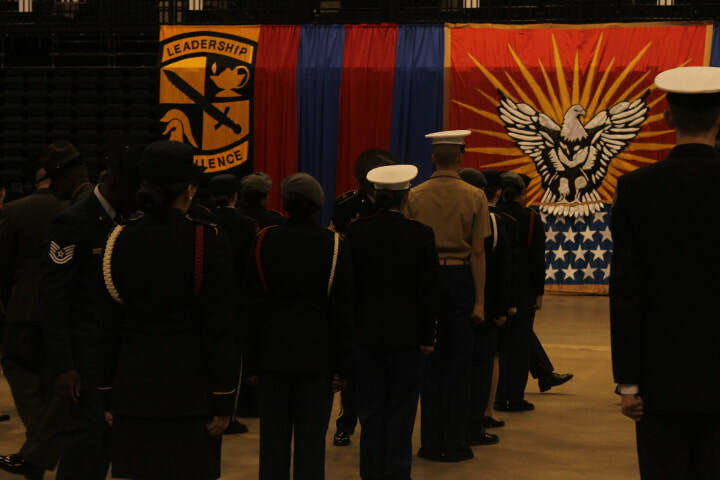 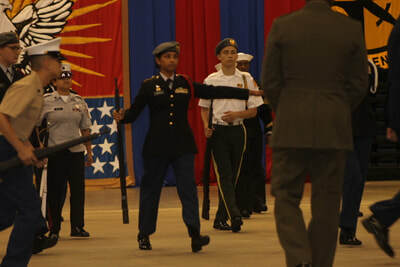 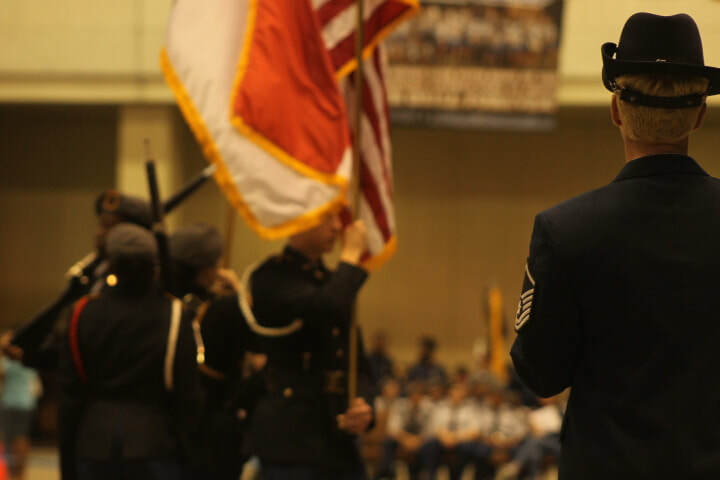 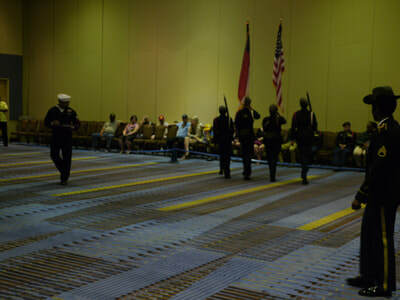 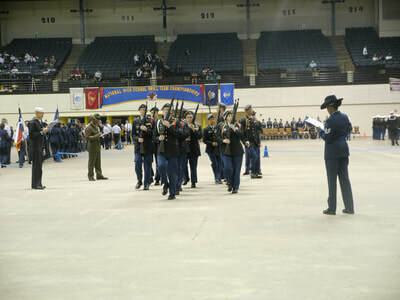 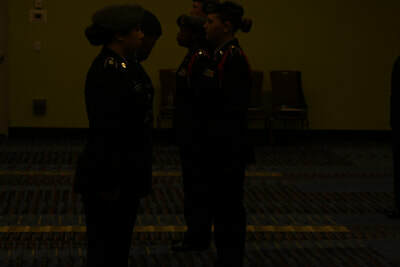 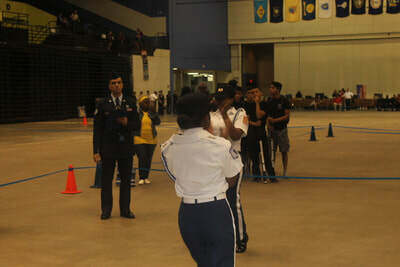 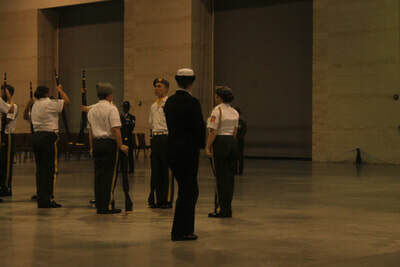 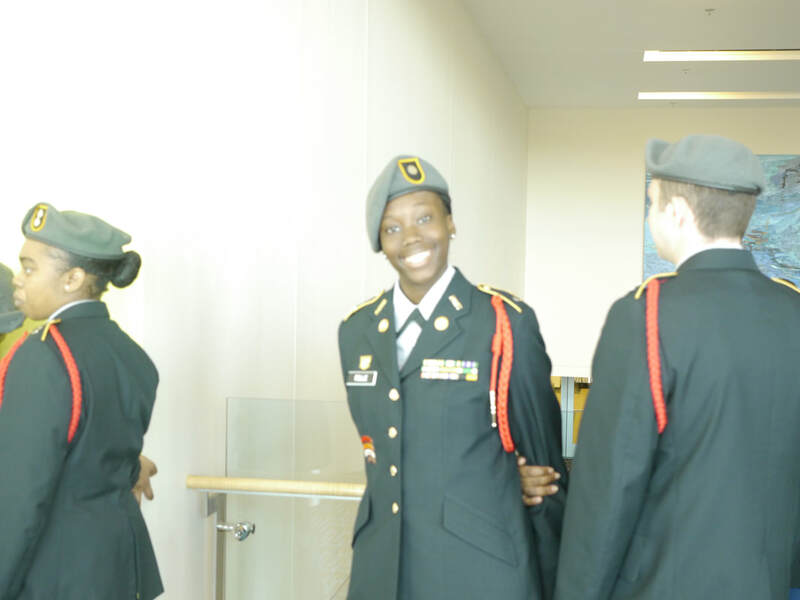 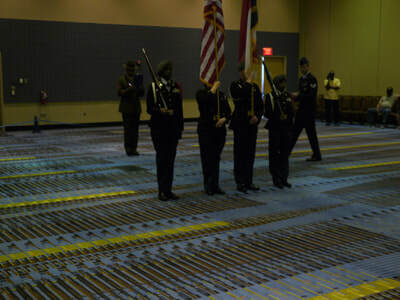 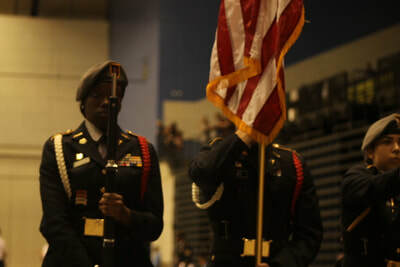 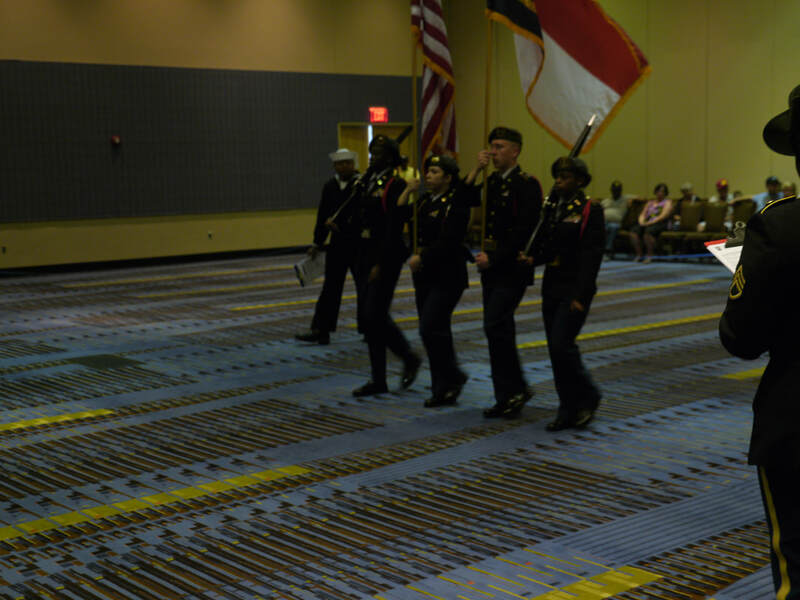 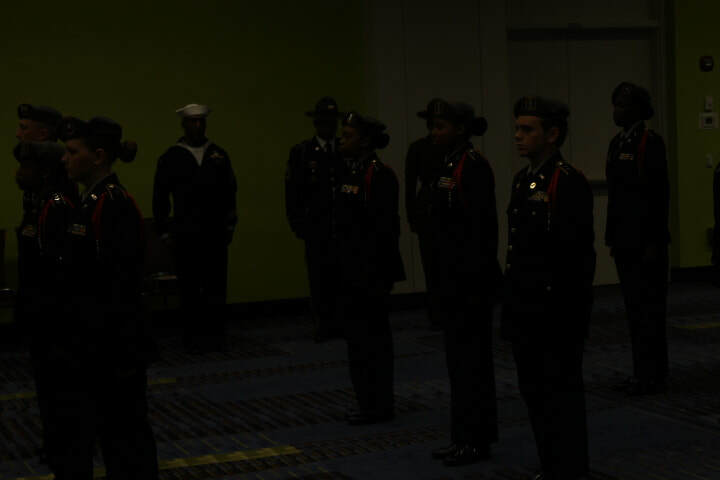 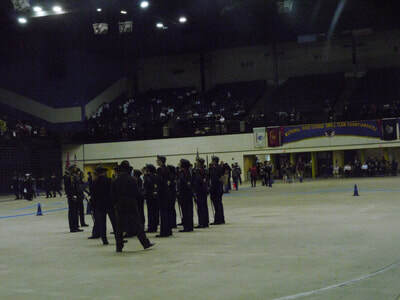 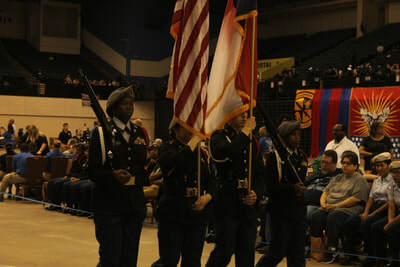 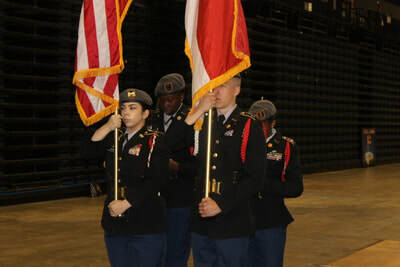 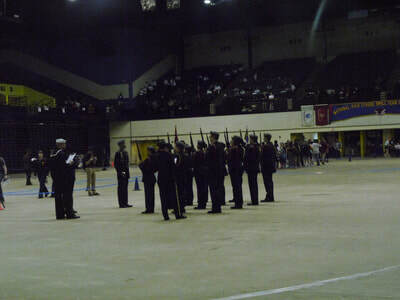 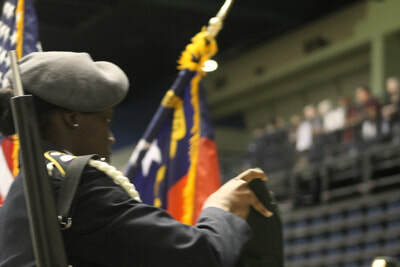 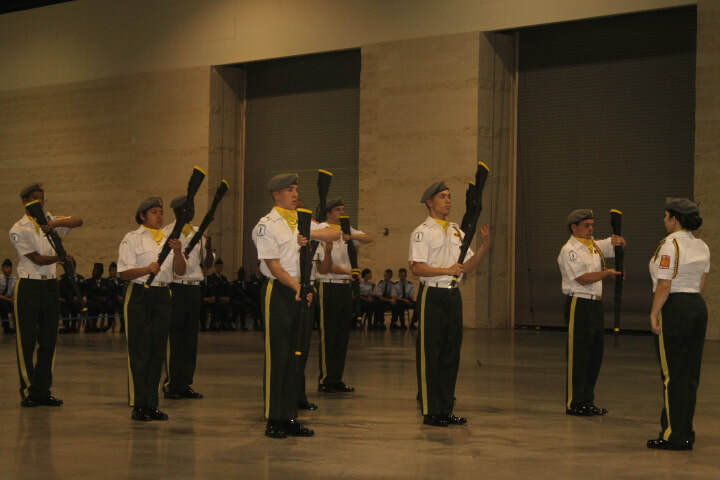 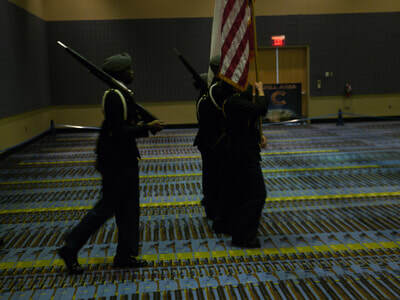 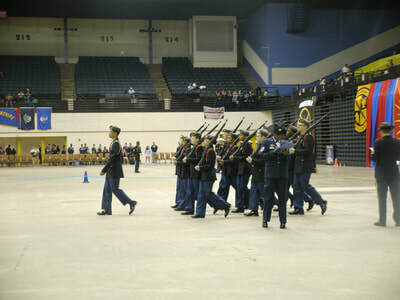 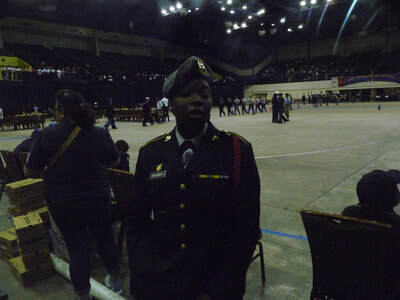 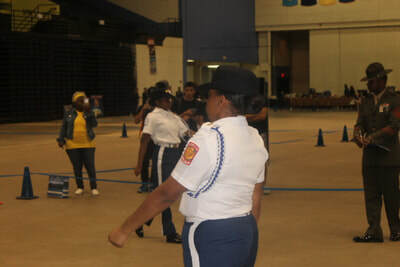 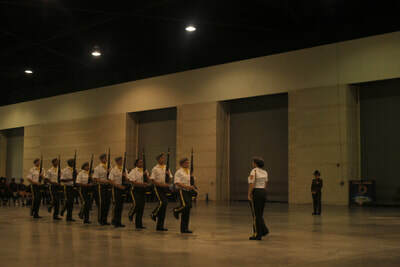 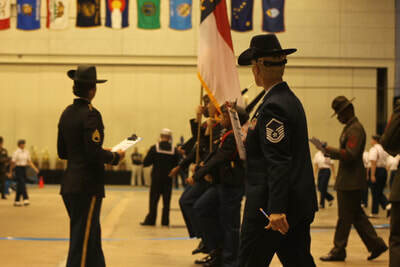 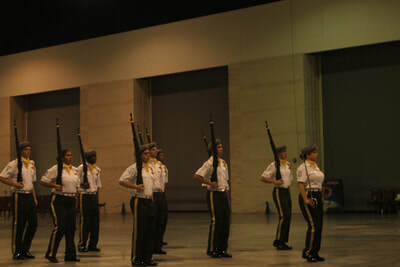 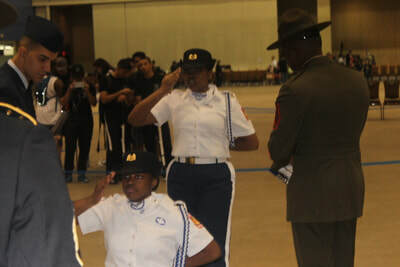 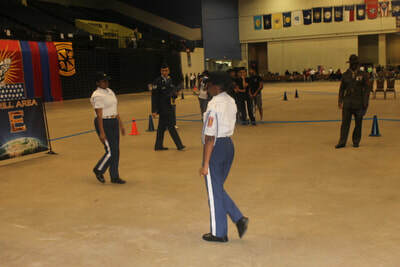 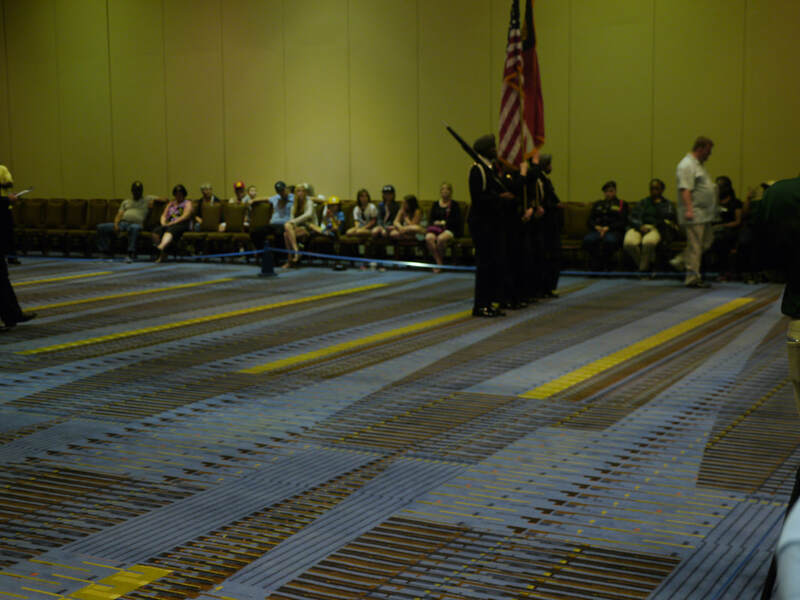 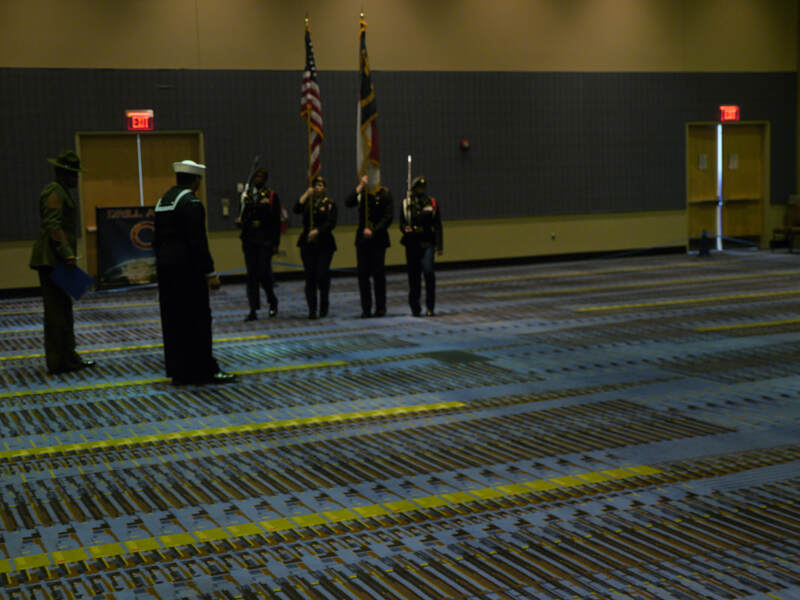 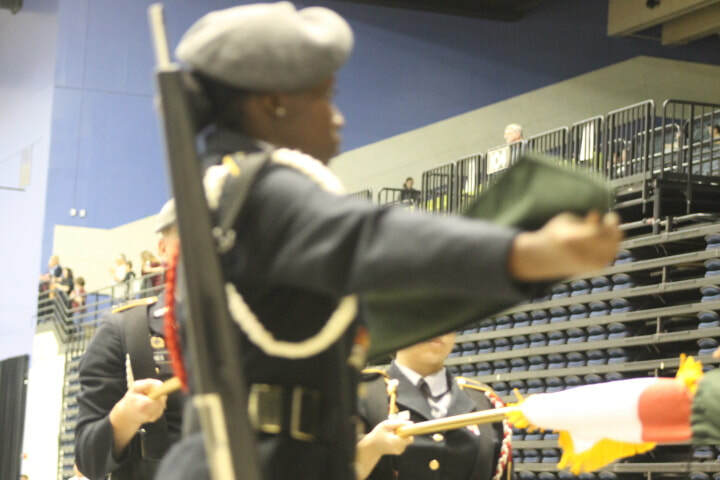 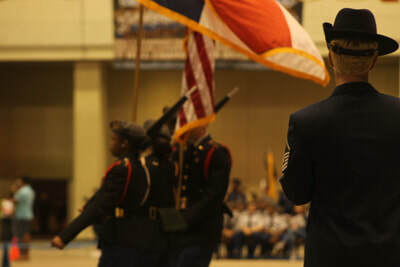 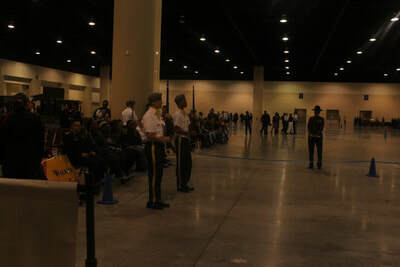 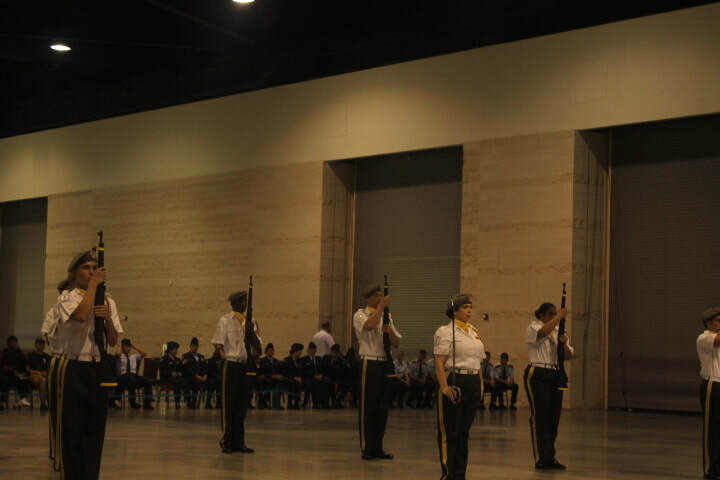 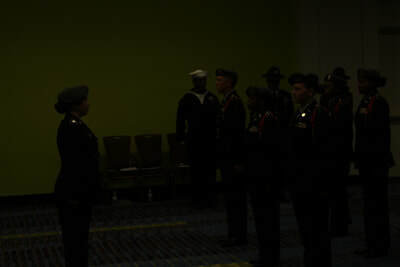 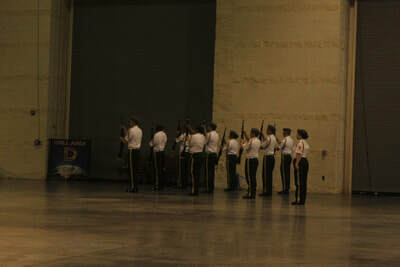 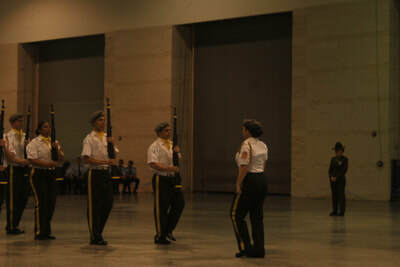 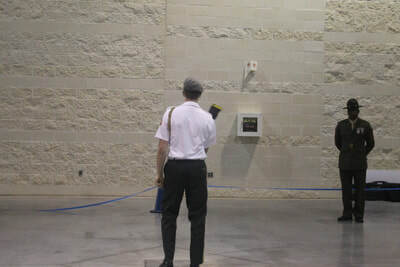 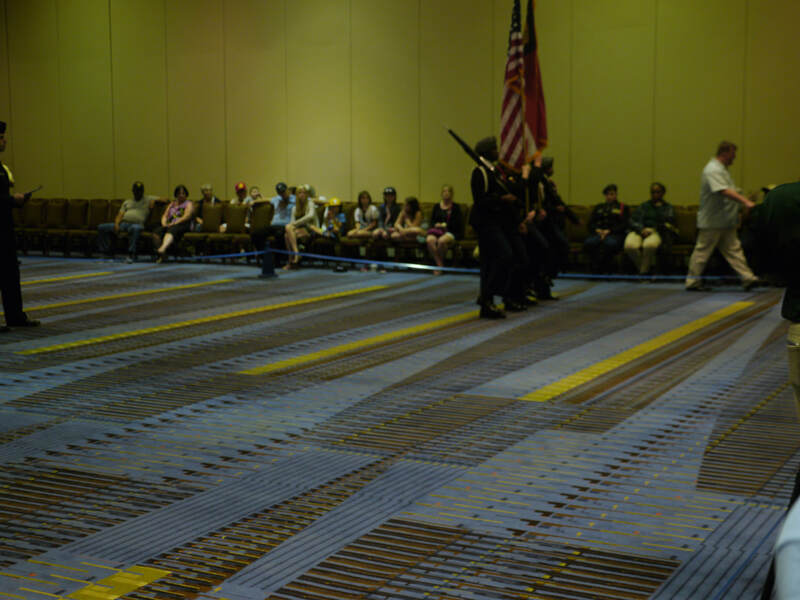 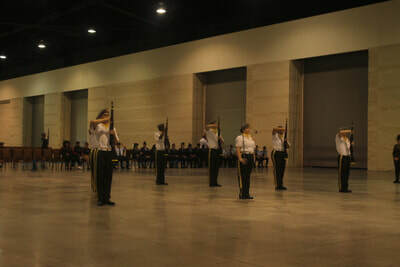 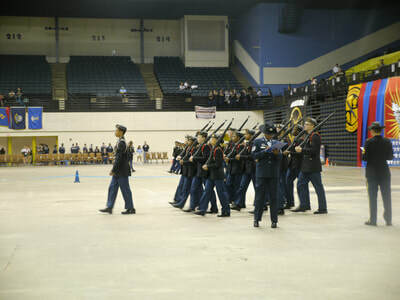 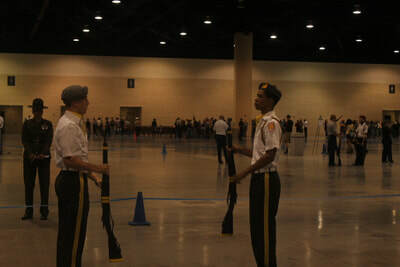 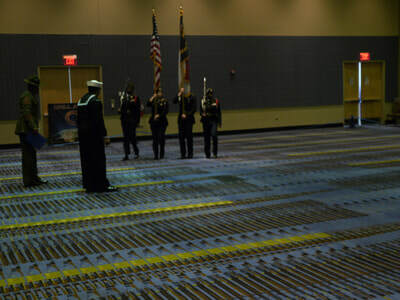 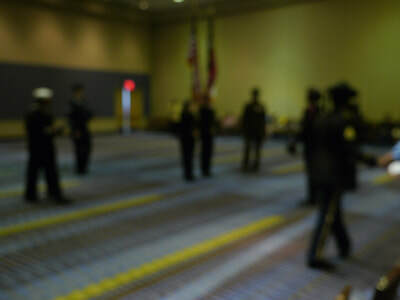 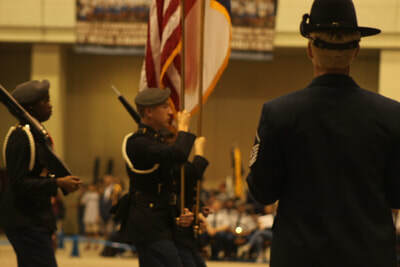 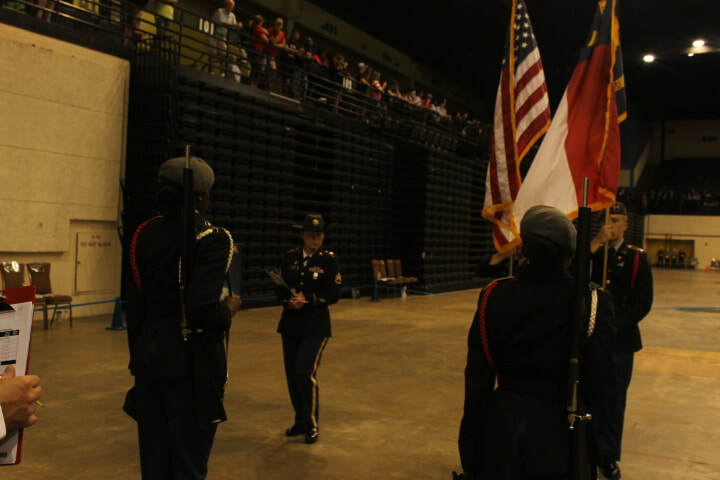 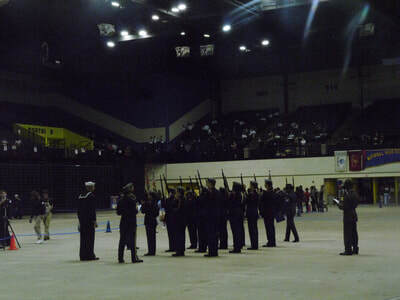 recognized features school-aged drill & ceremony units of all ability levels and from all of the four service branches. 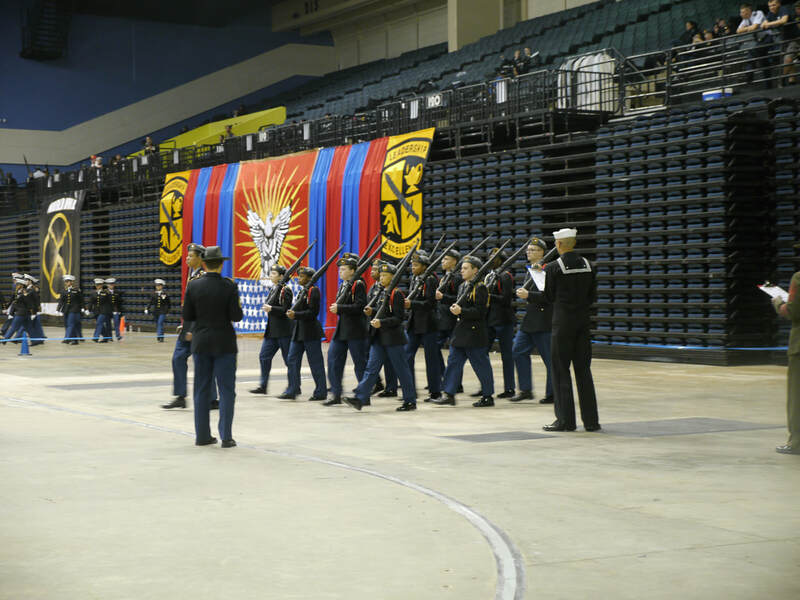 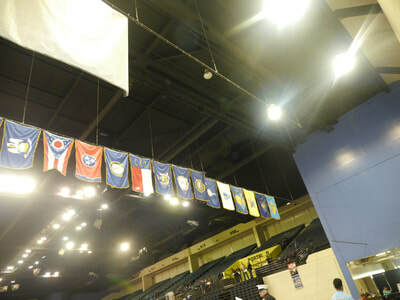 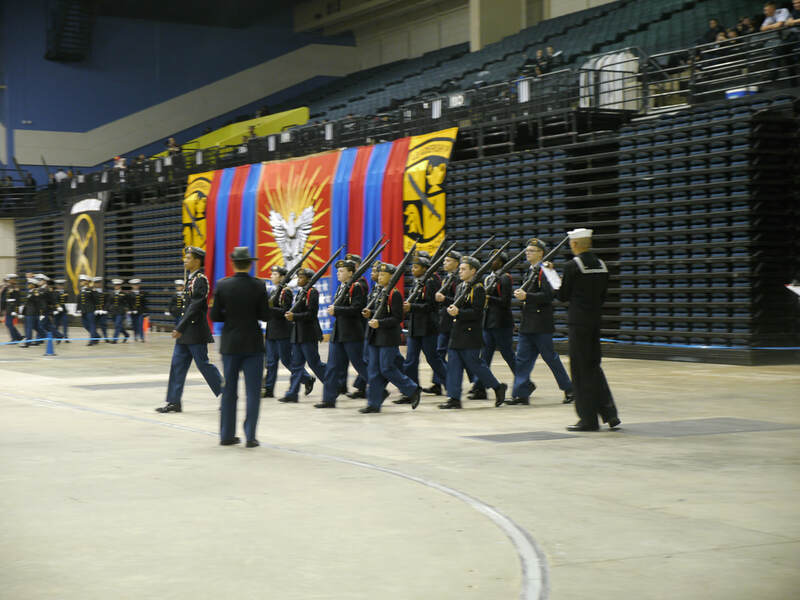 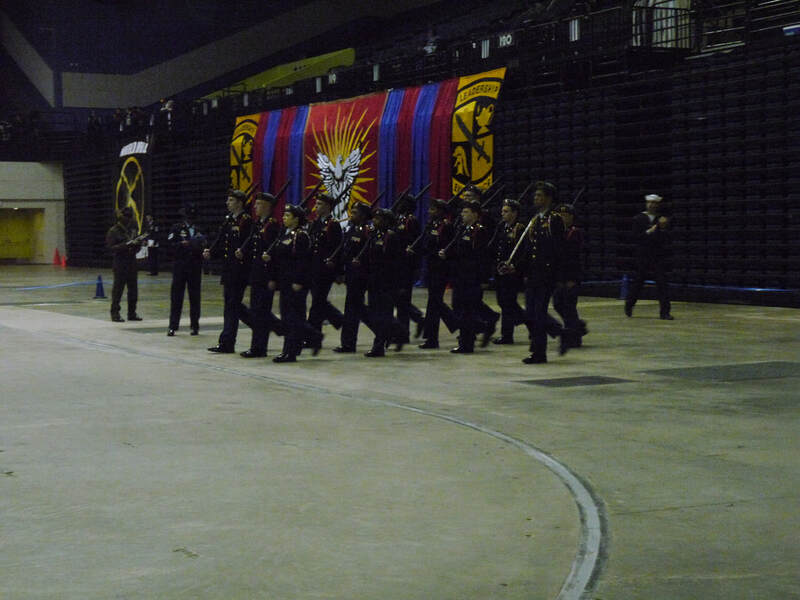 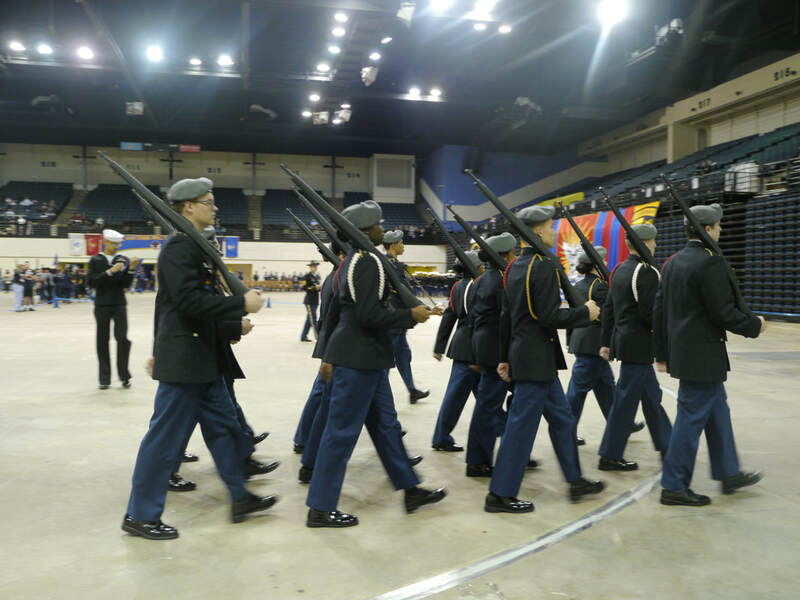 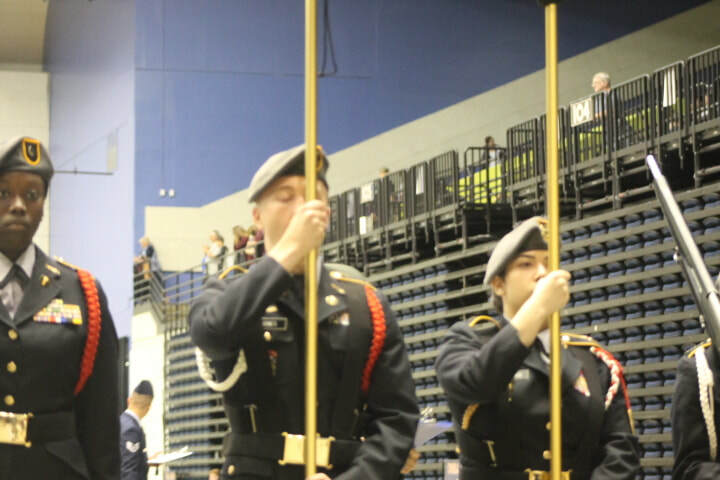 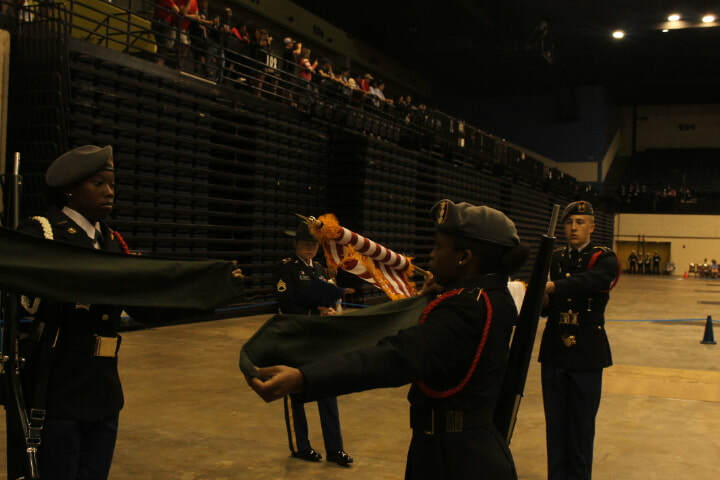 The Grand Nationals remain an unparalleled weekend of military excellence. 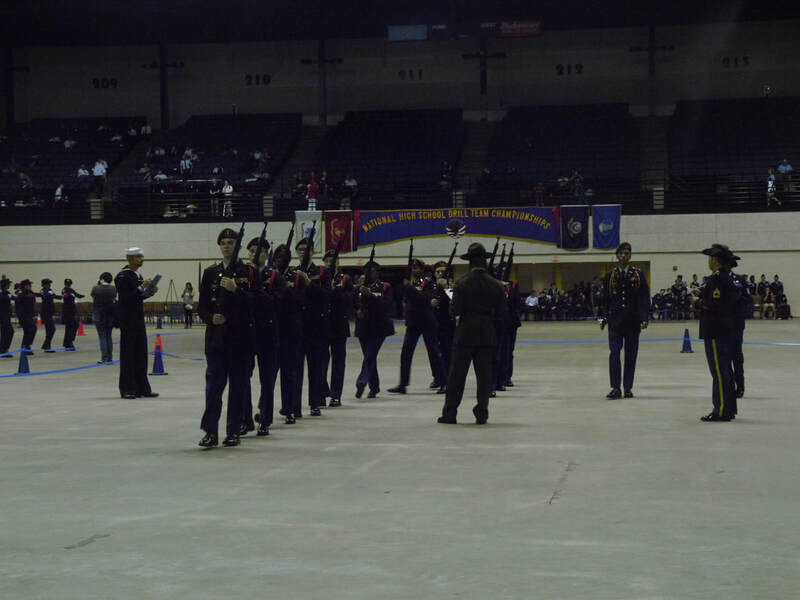 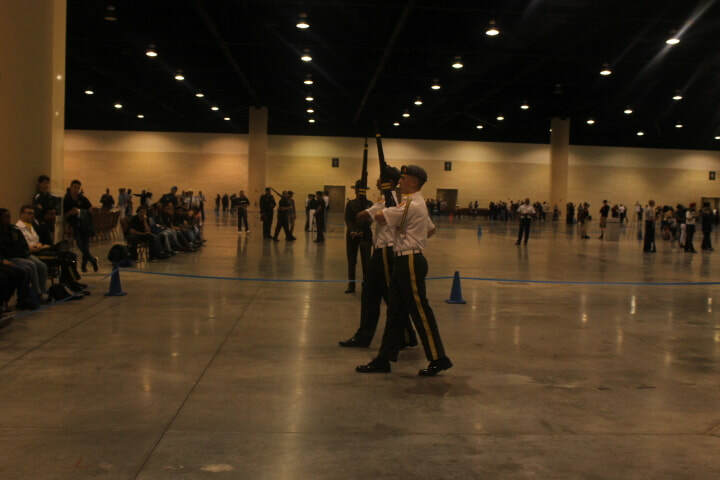 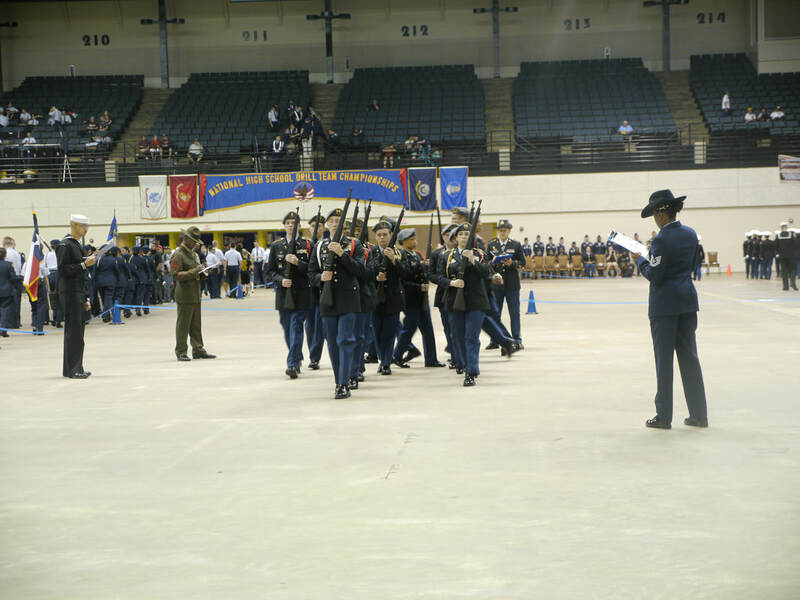 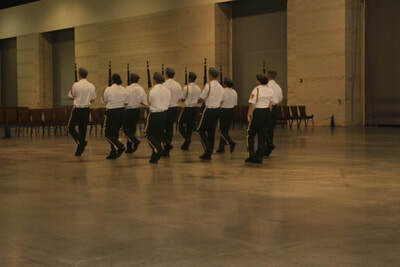 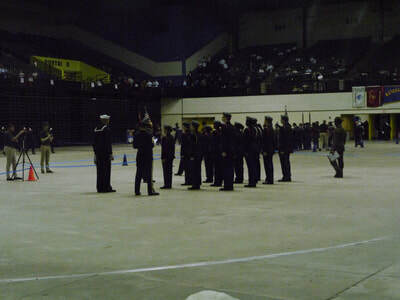 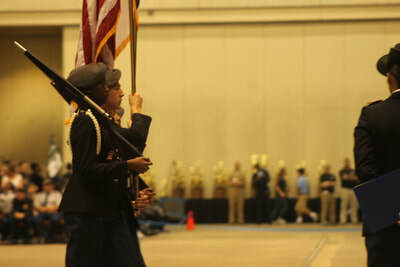 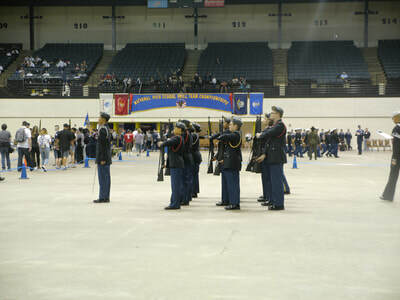 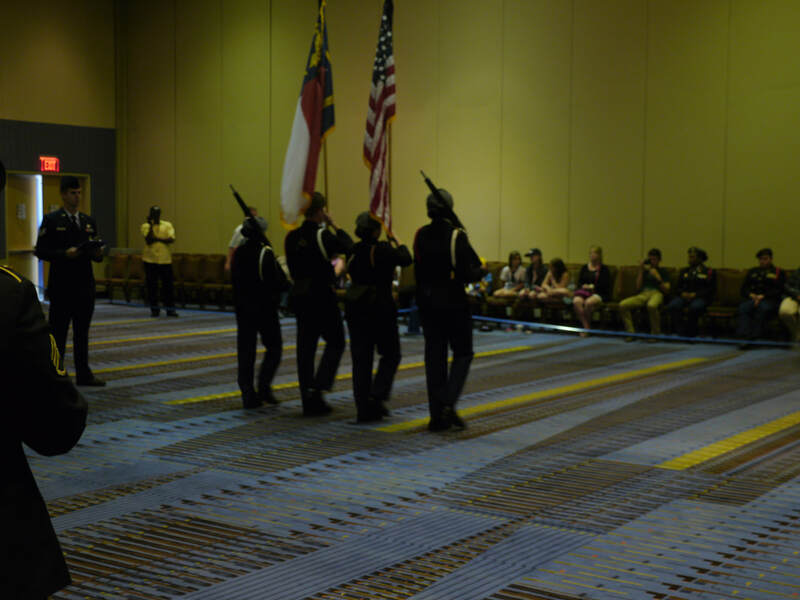 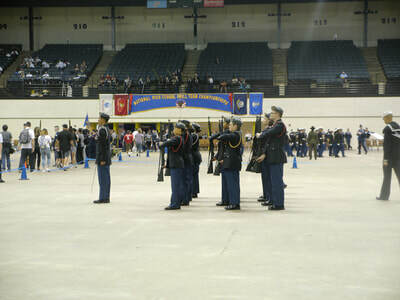 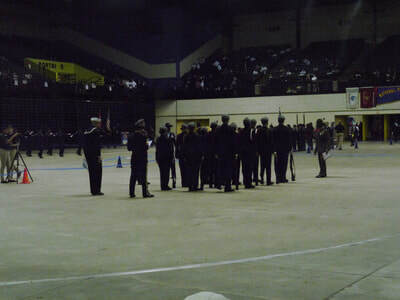 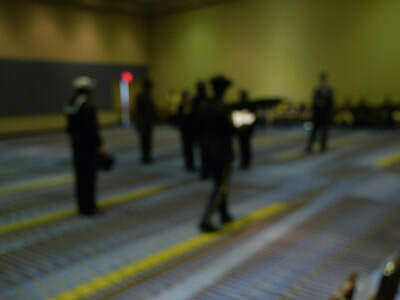 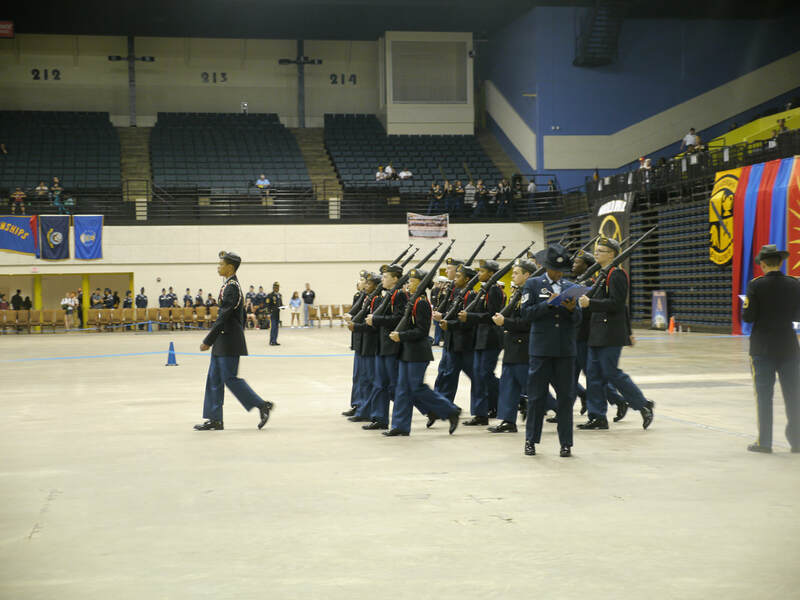 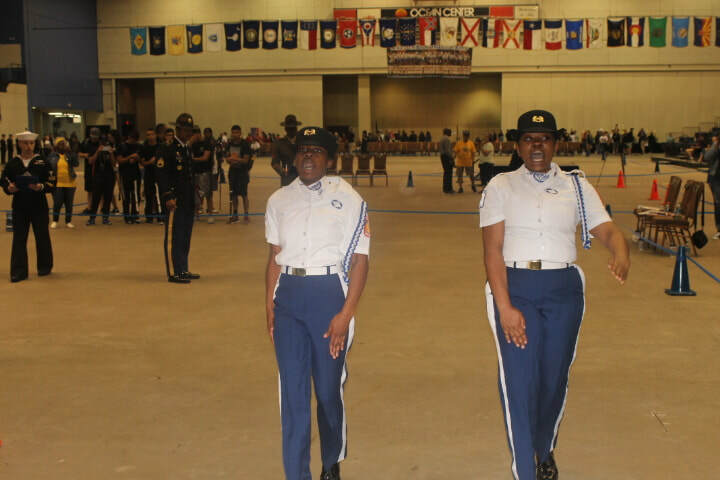 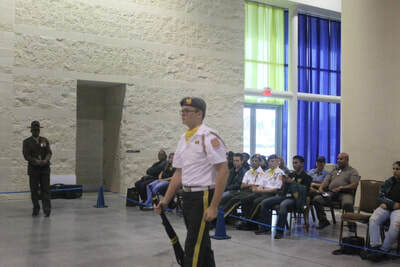 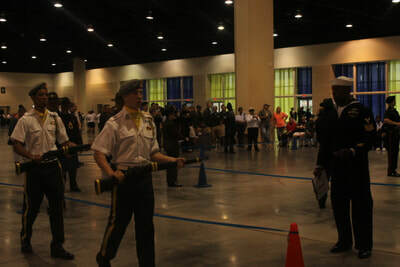 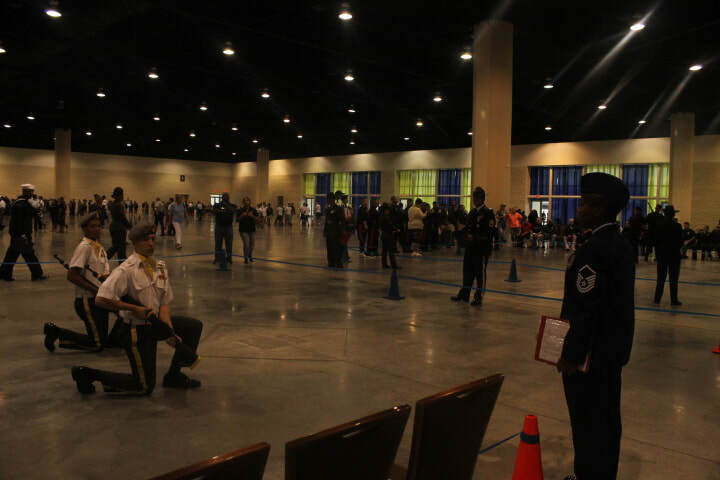 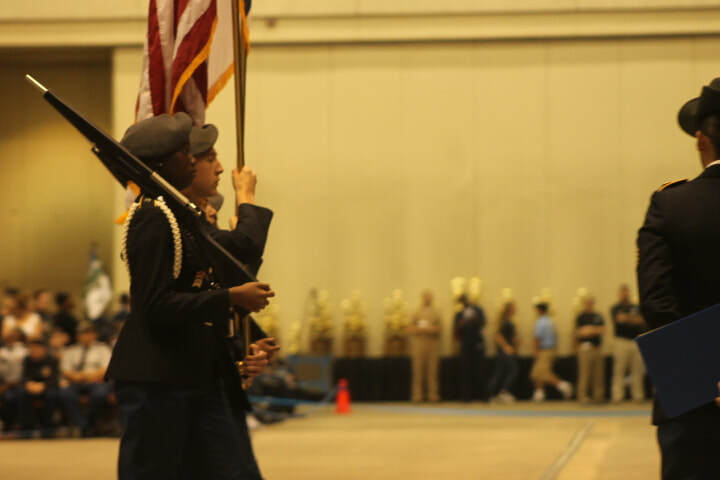 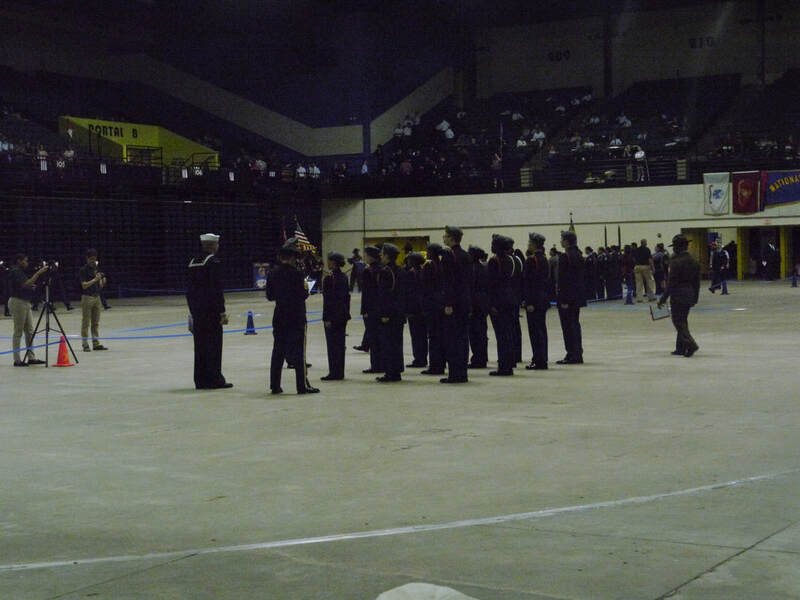 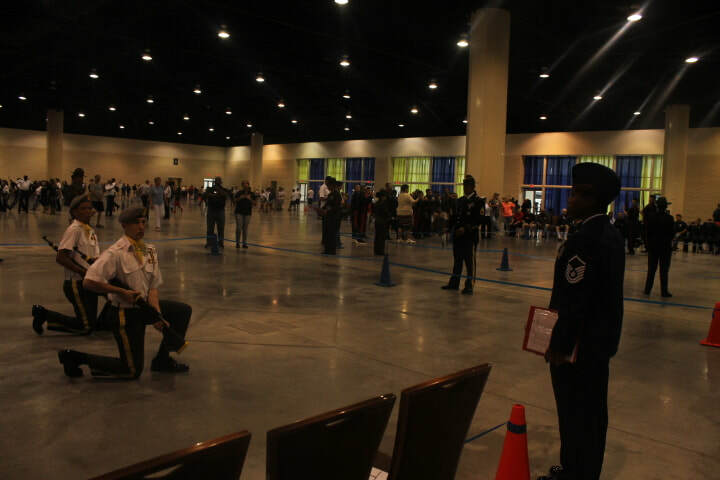 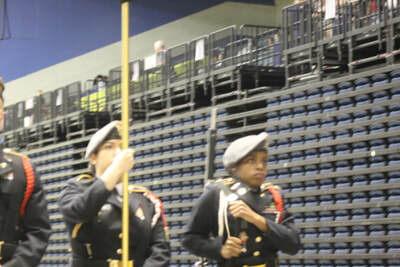 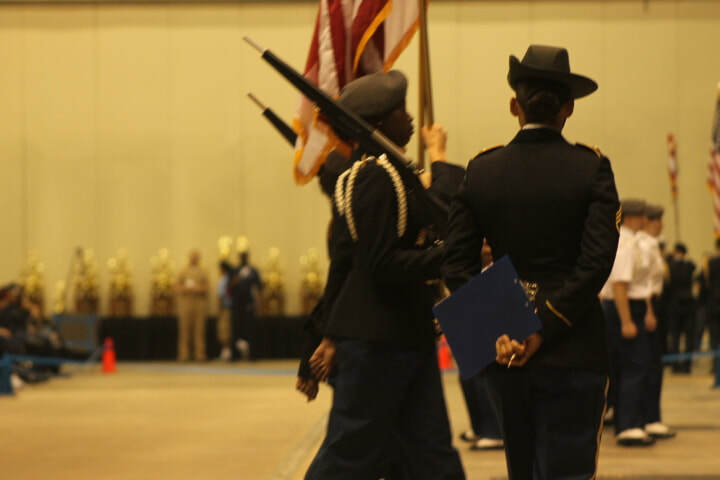 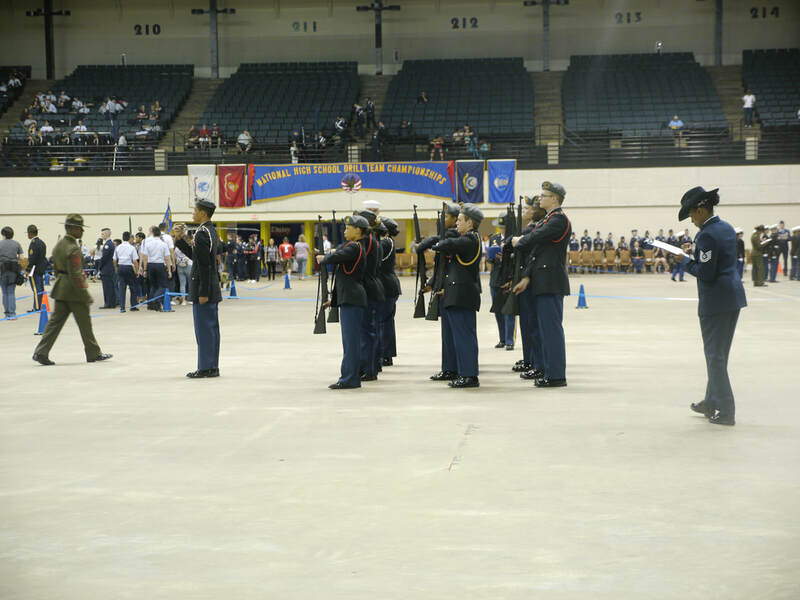 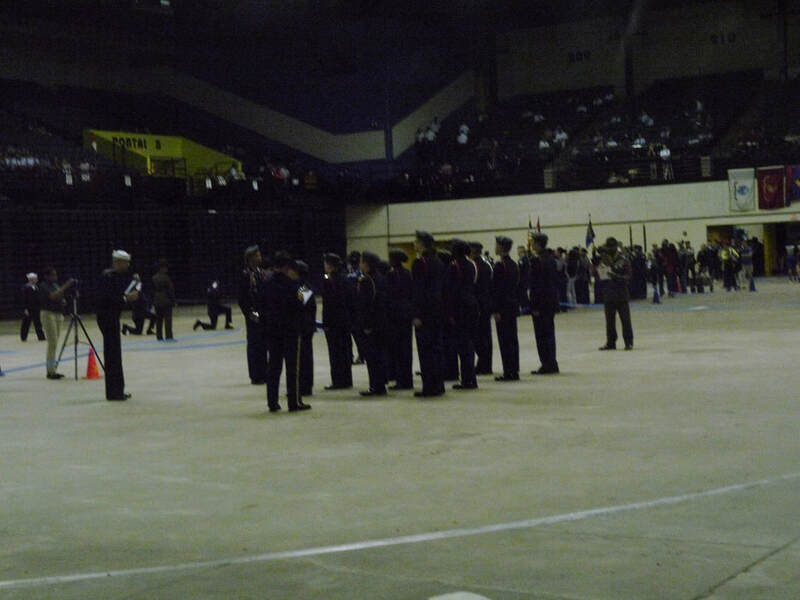 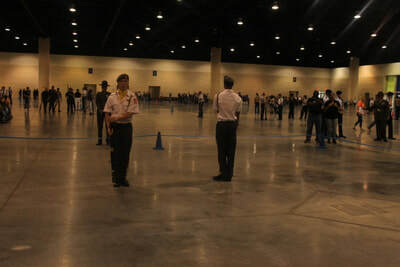 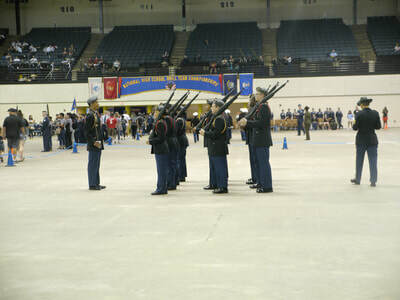 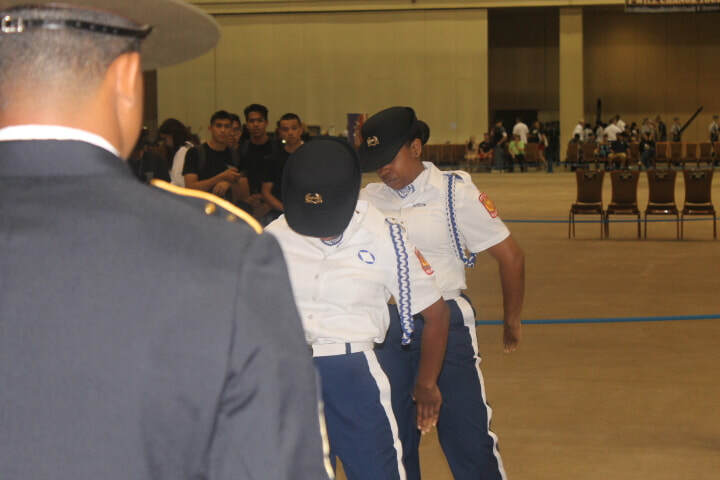 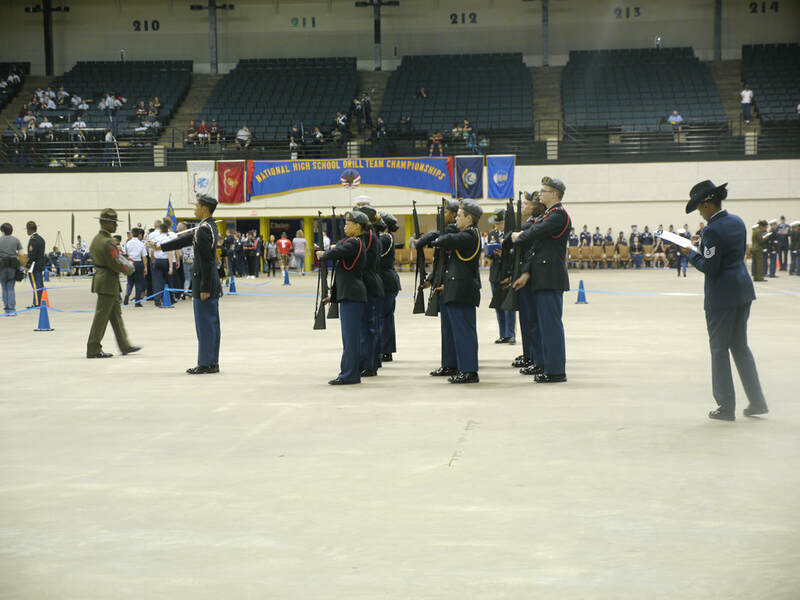 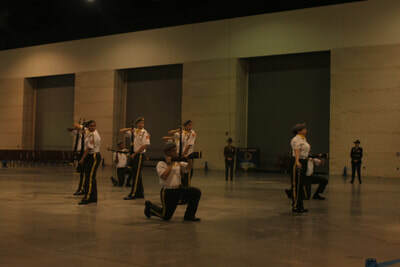 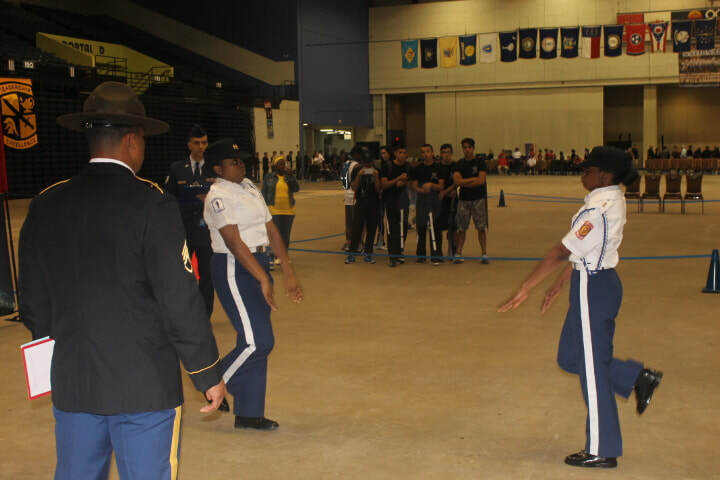 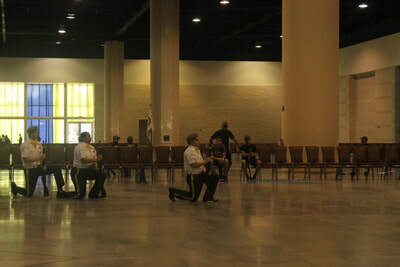 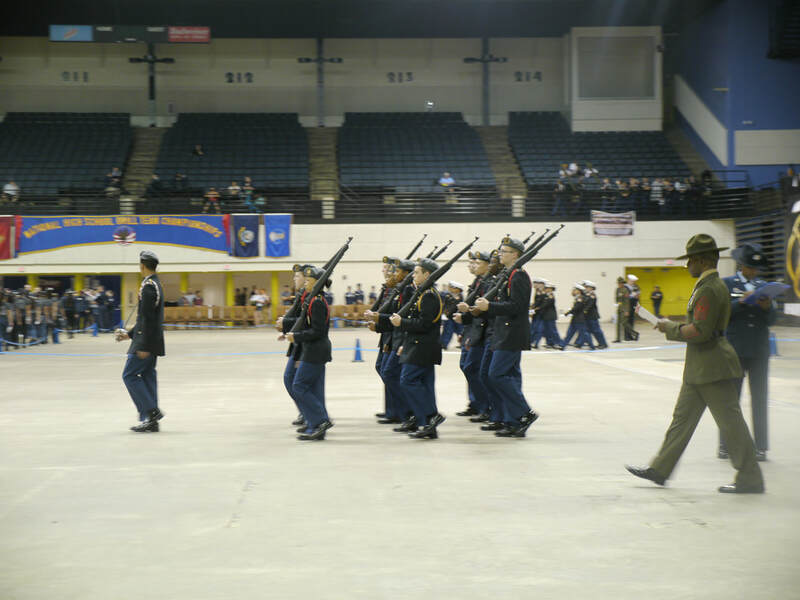 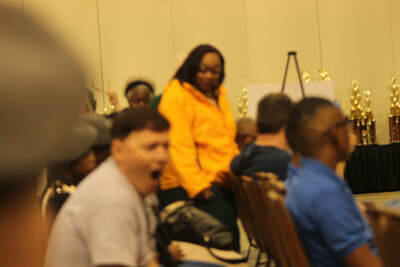 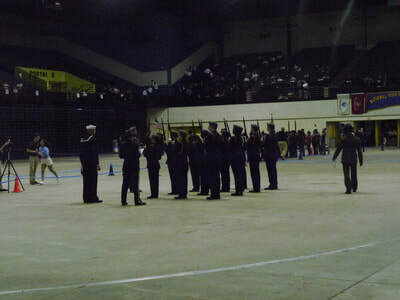 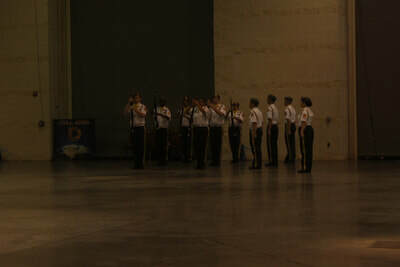 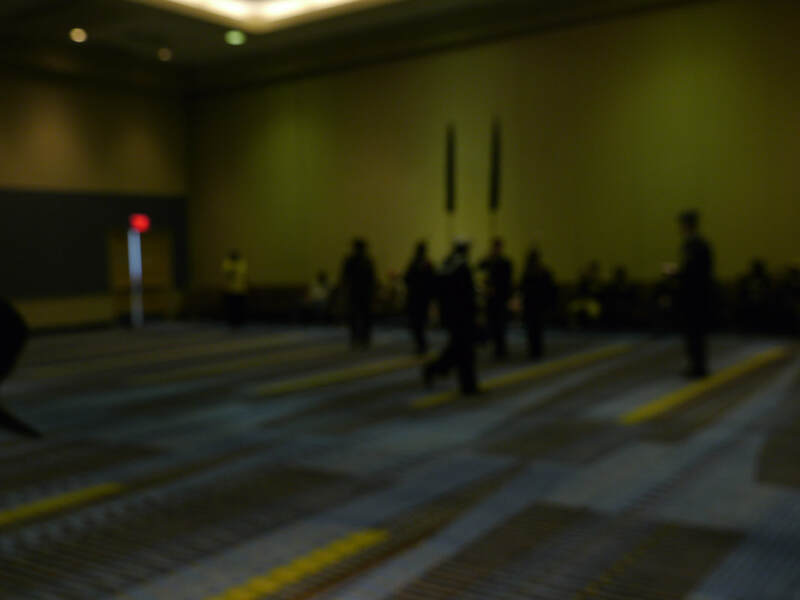 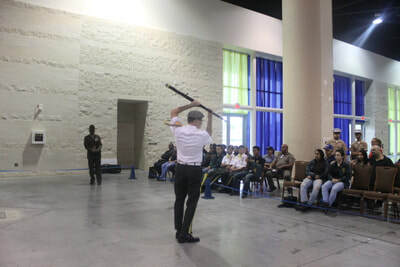 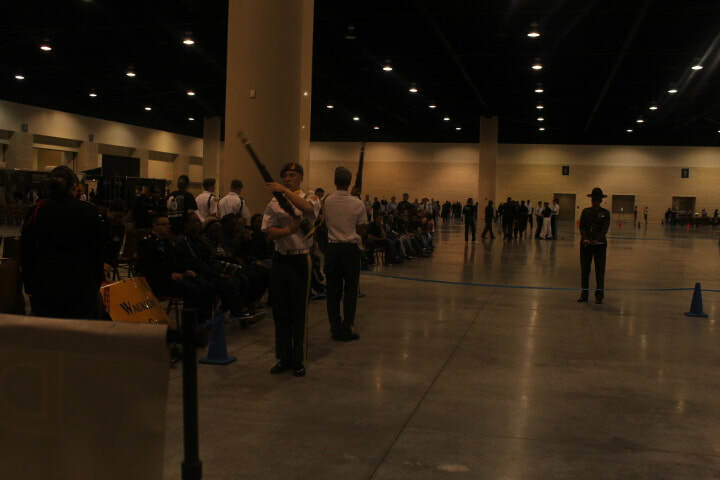 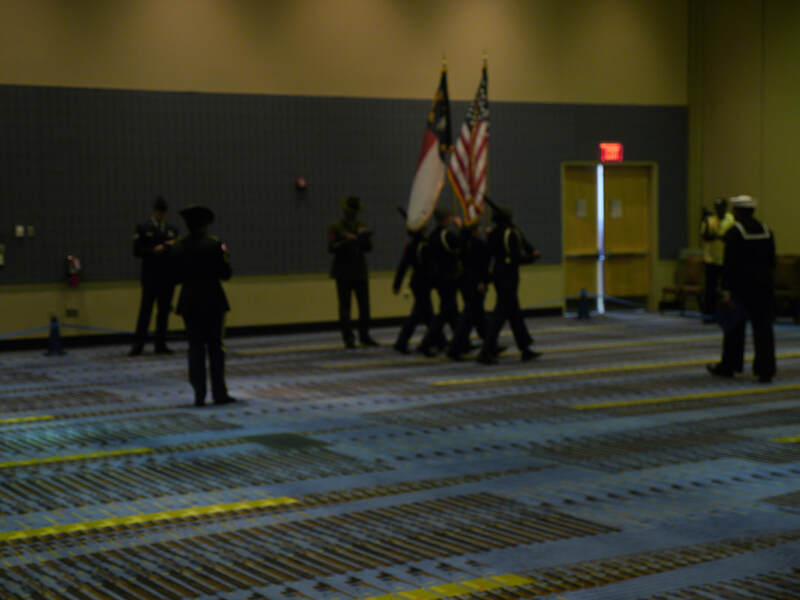 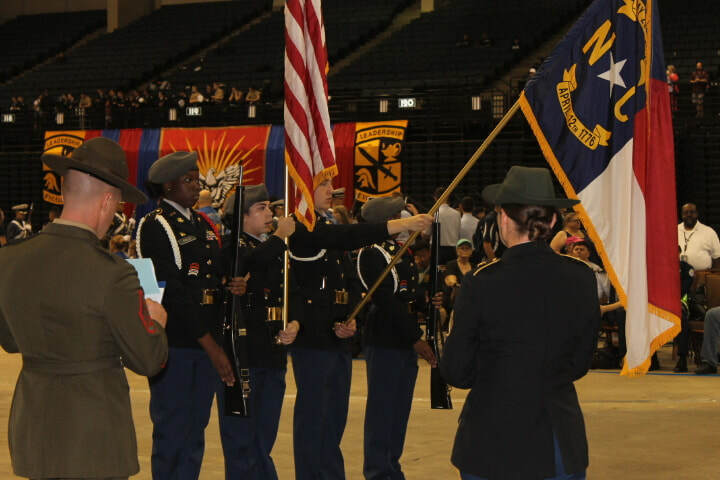 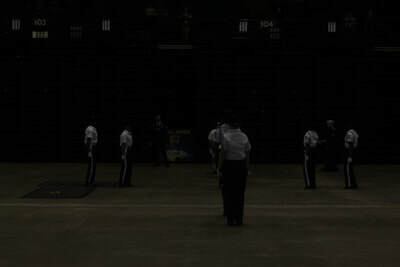 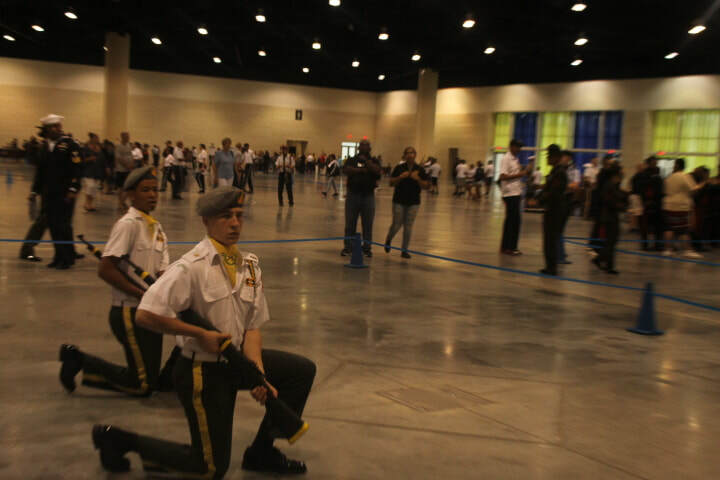 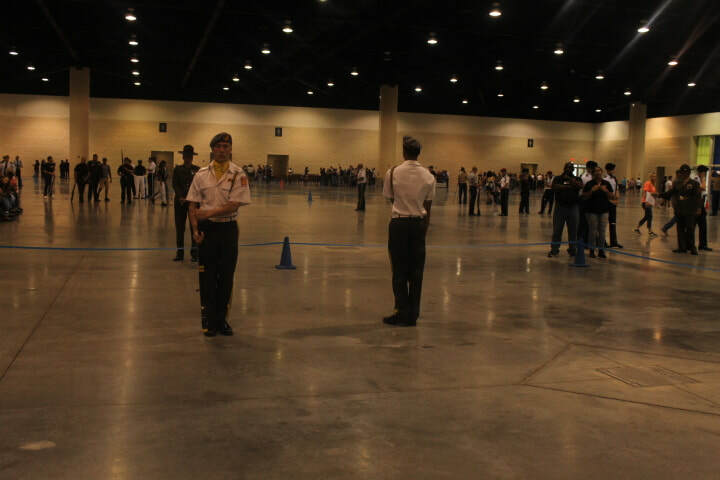 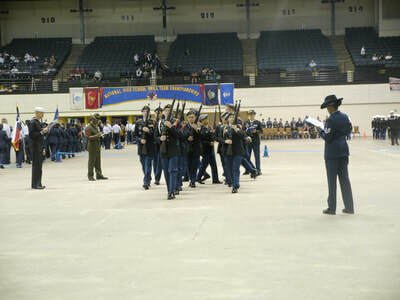 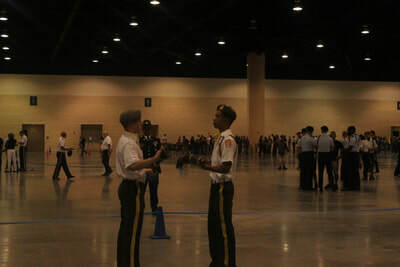 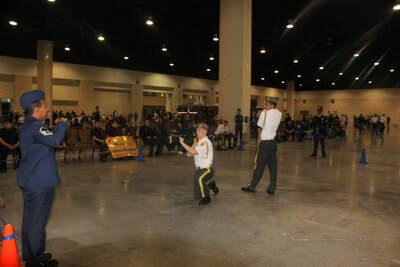 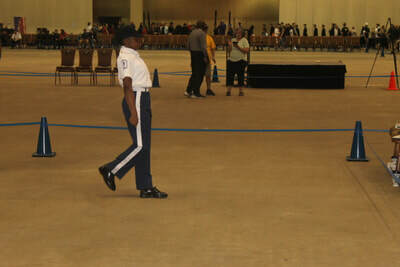 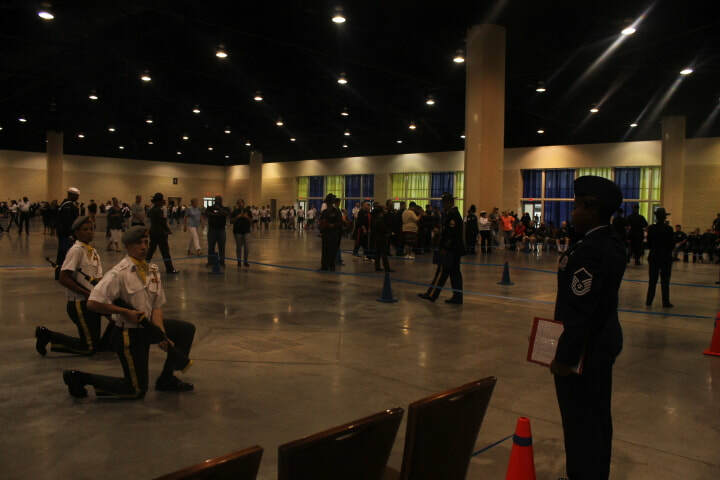 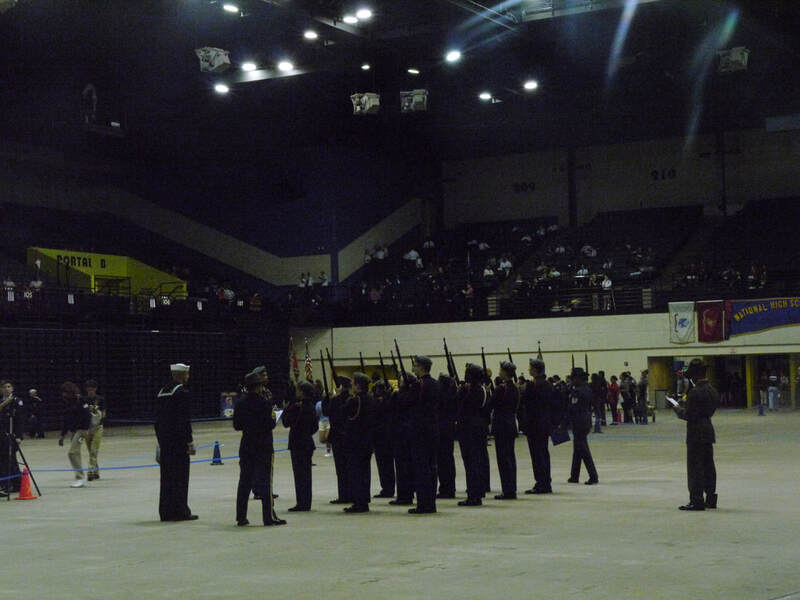 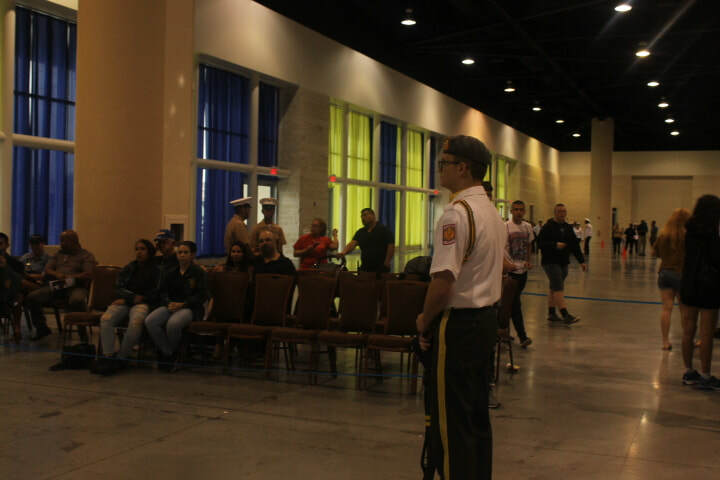 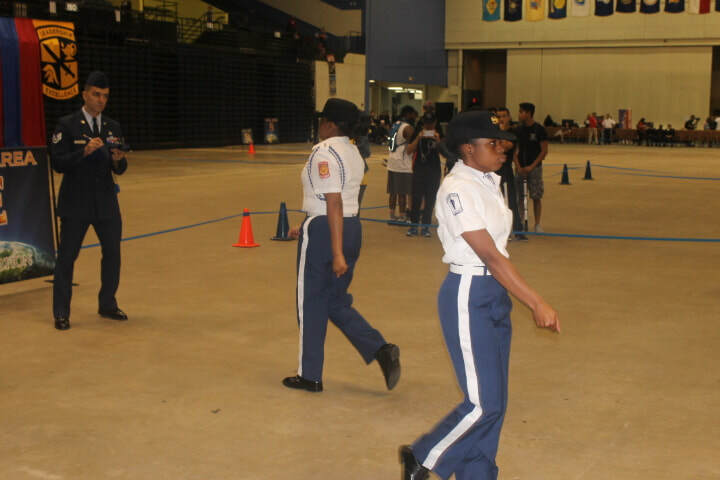 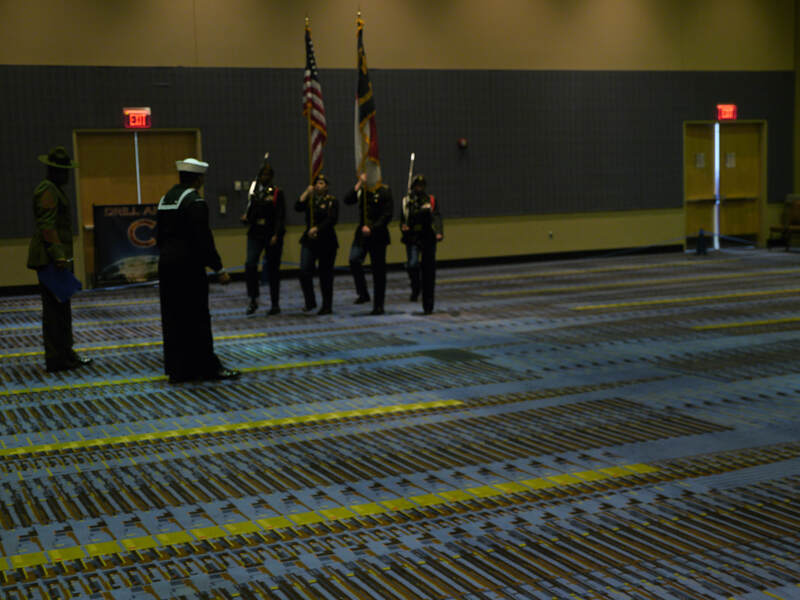 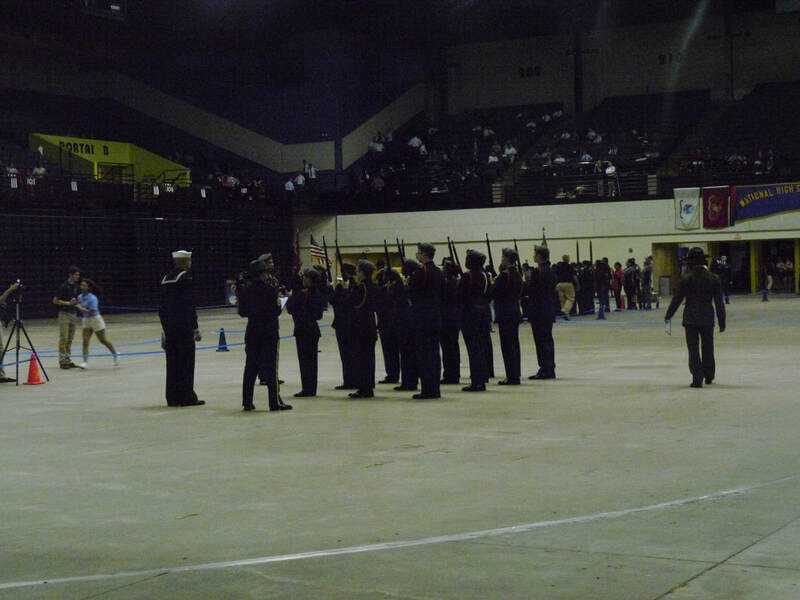 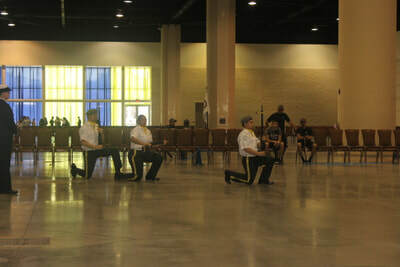 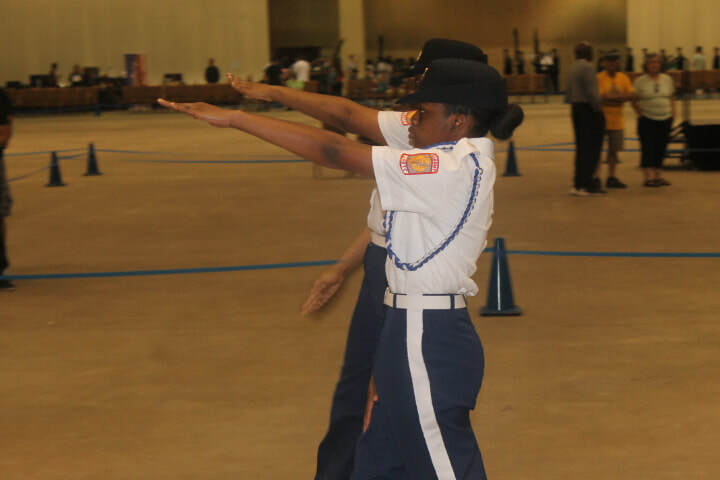 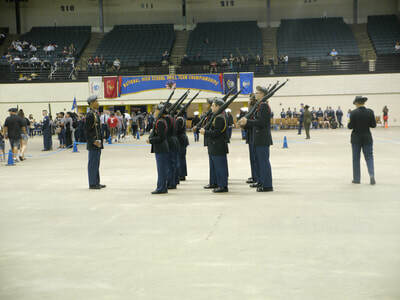 Over 180,000 cadets, instructors and parents have attended the NHSDTC competition for over 35 years. Hosted by National event leader Sports Network International, we urge you to think about the benefits your program could gain through ending your year attending the Nationals as a competitor or as a spectator.